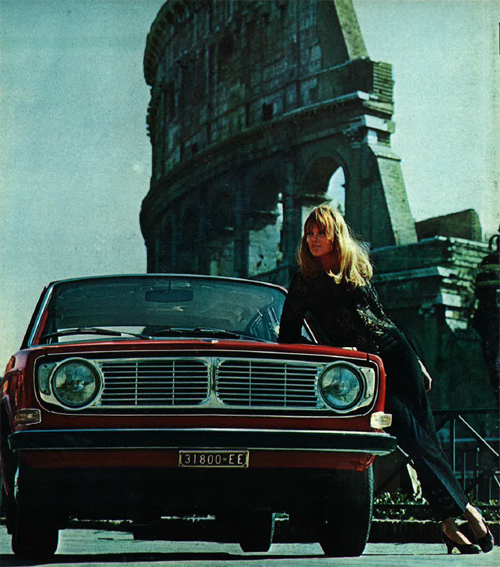 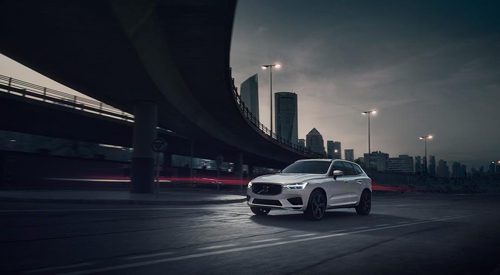 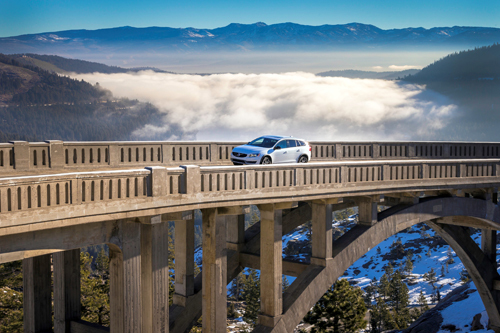 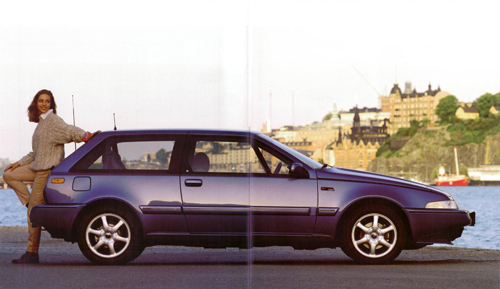 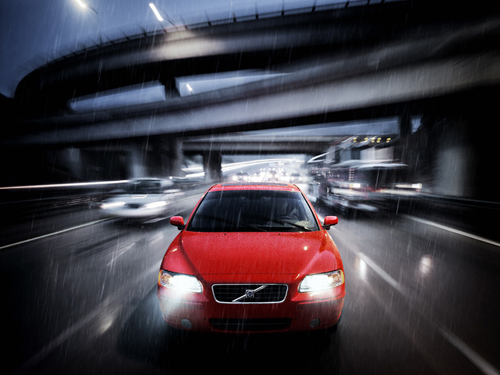 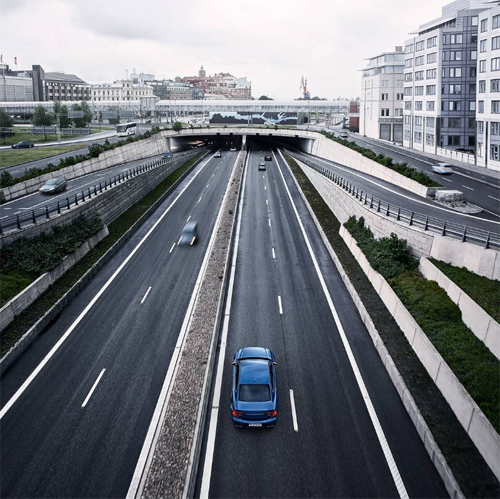 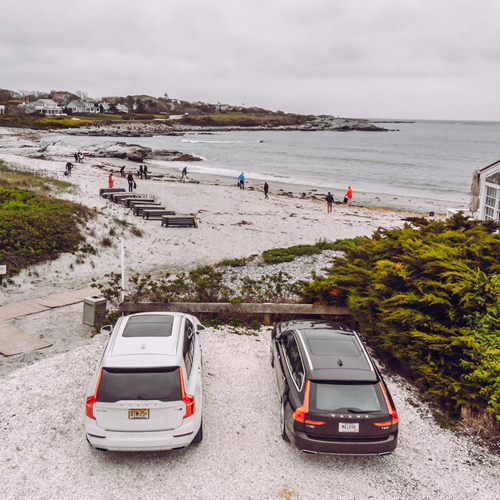 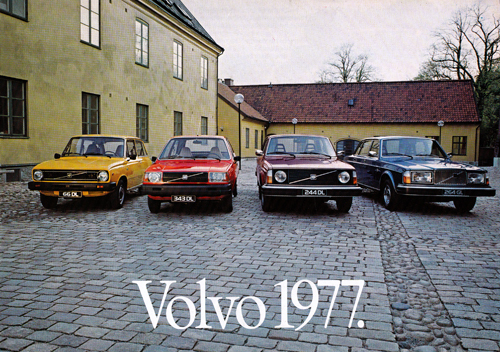 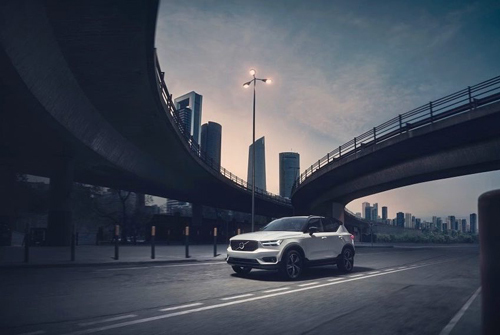 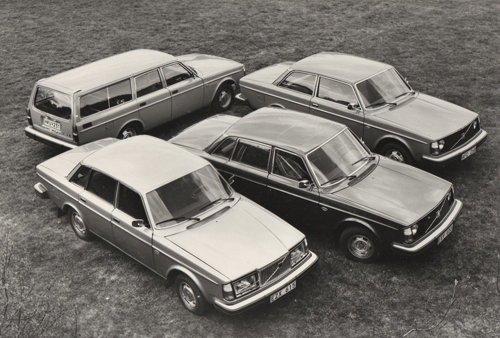 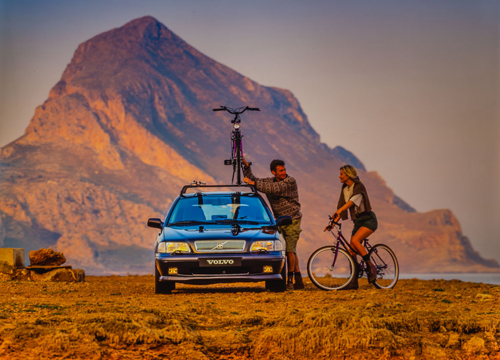 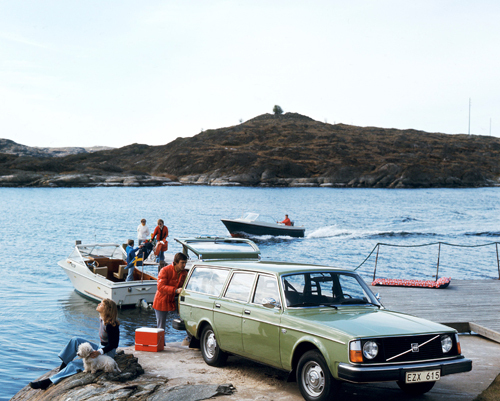 Here we list the Volvo Photo Locations that were just found. 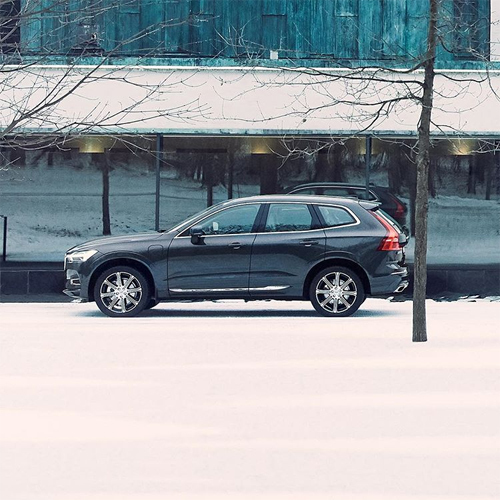 Thank you all who sent in tips through my contact form or through Instagram. 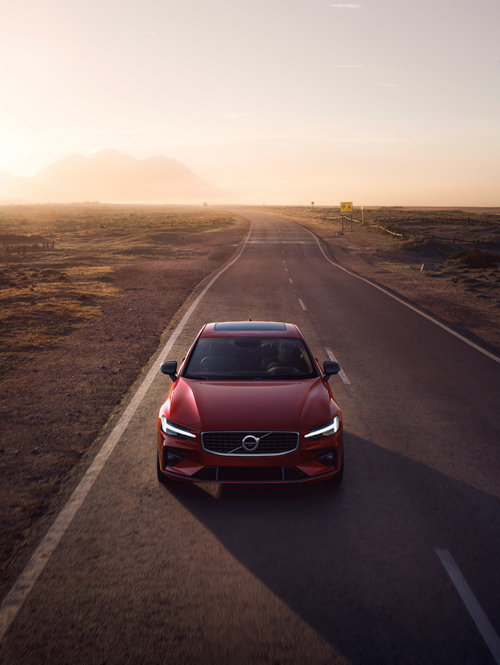 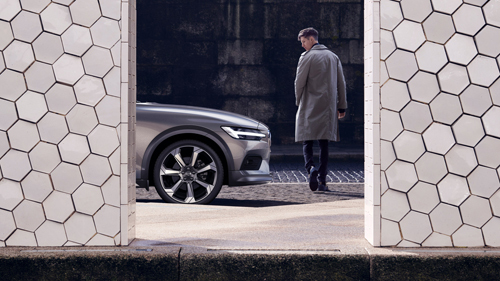 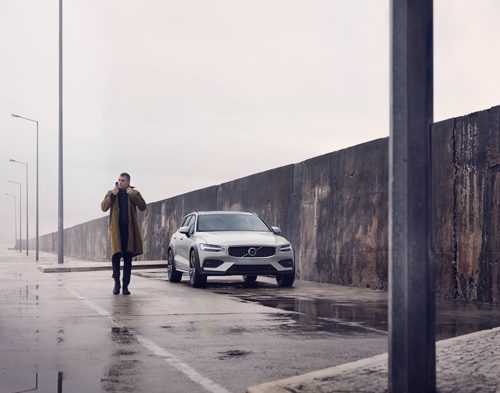 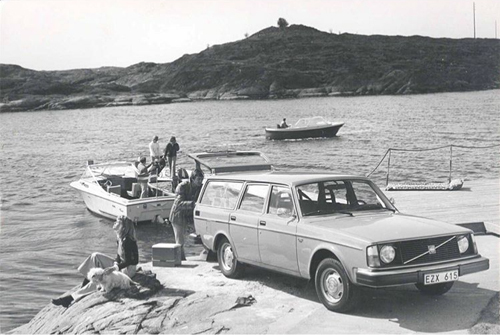 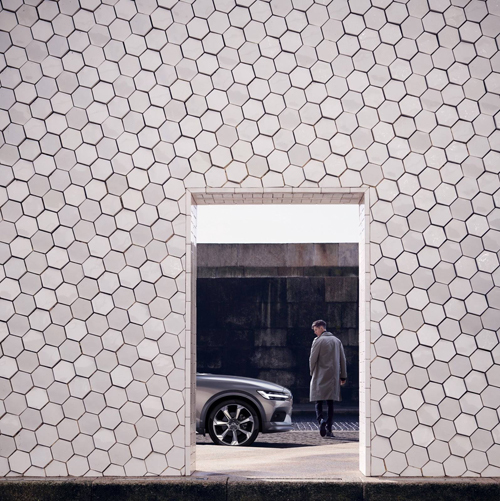 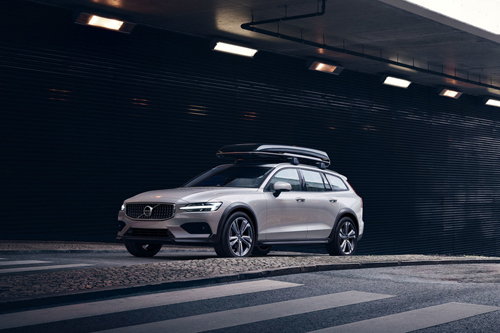 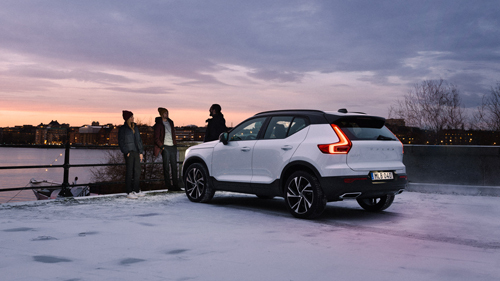 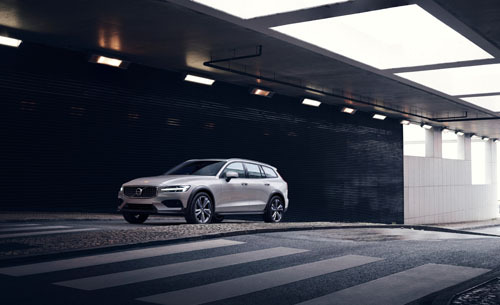 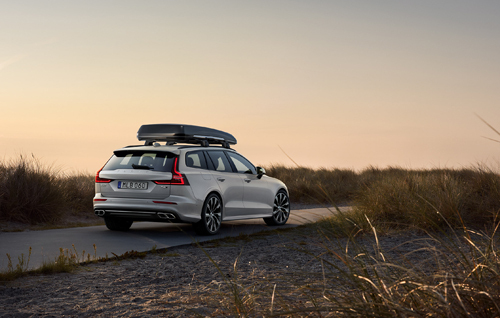 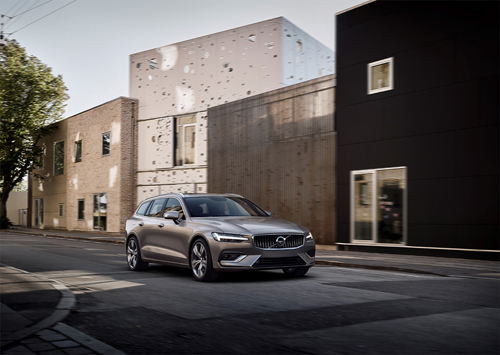 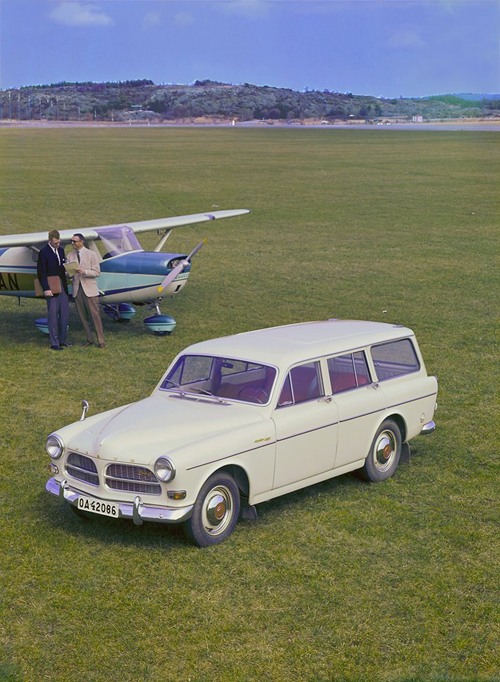 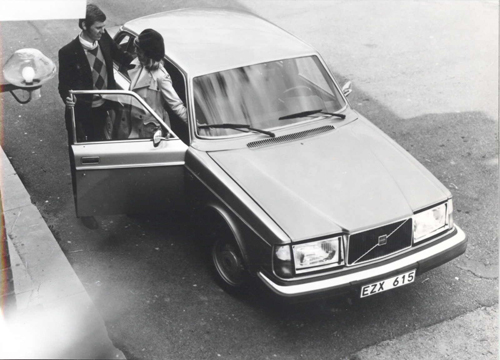 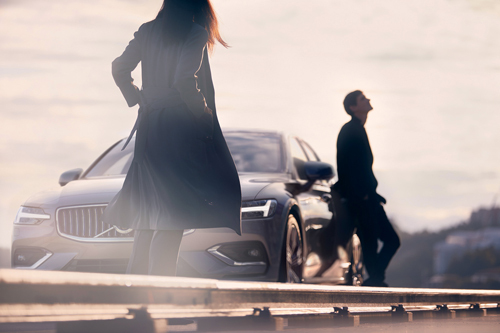 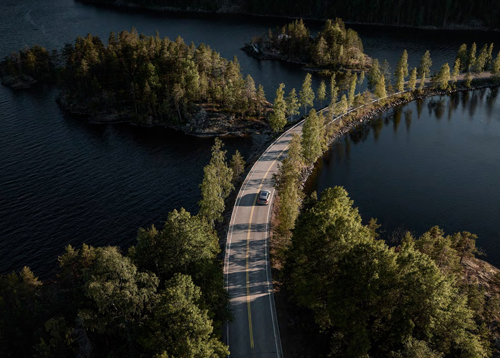 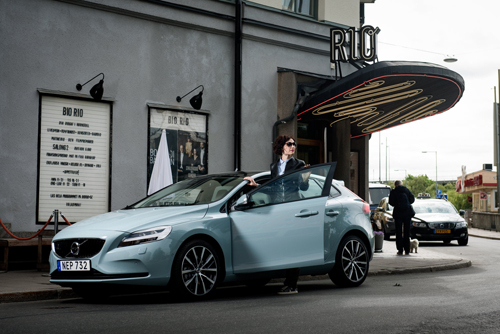 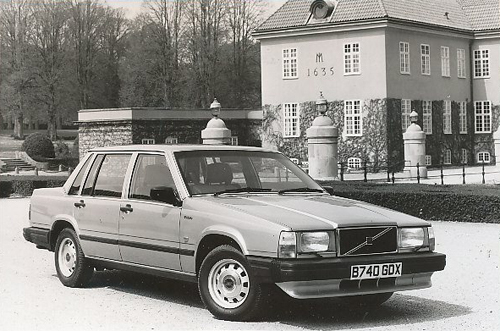 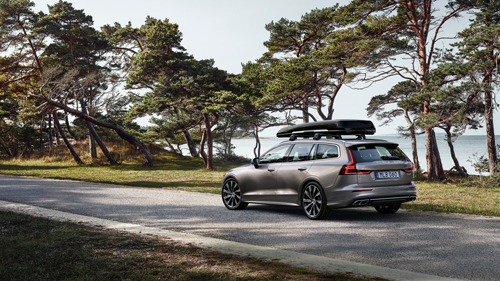 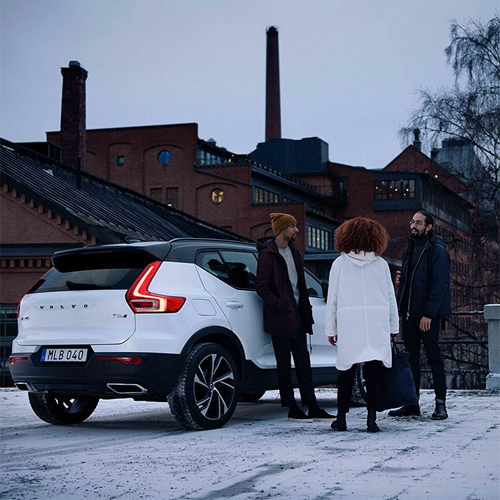 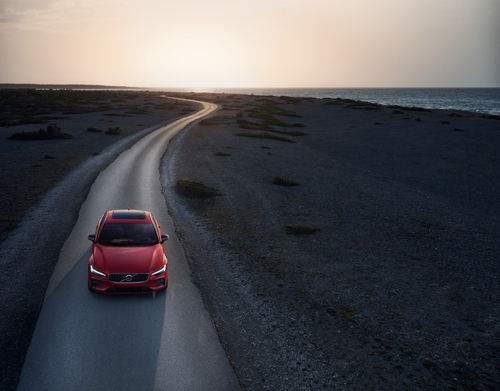 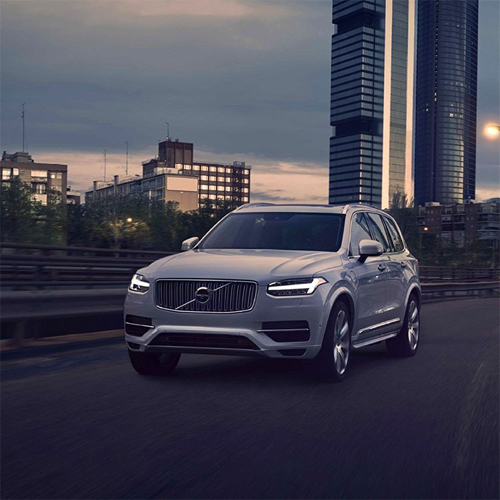 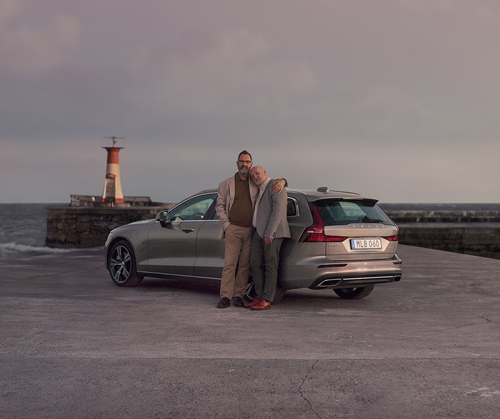 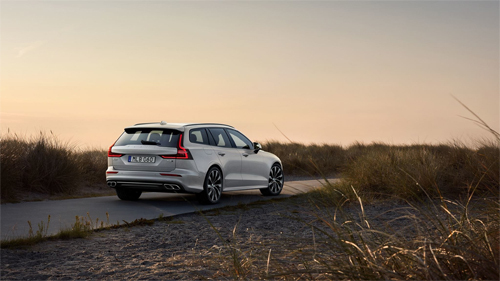 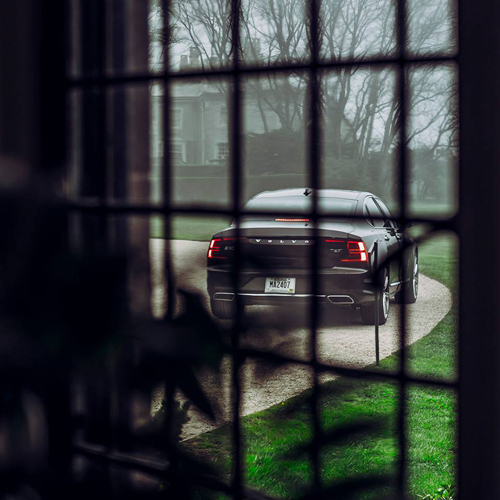 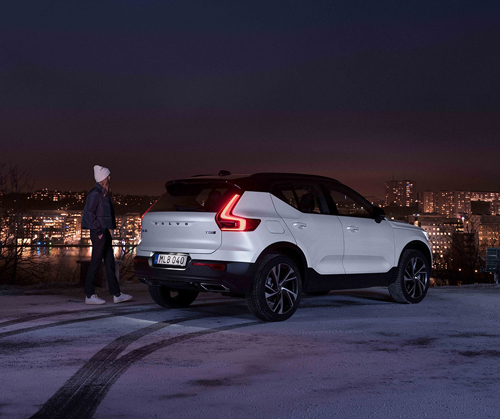 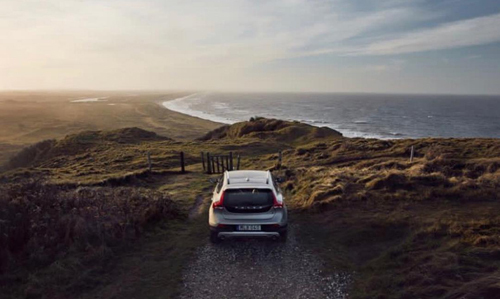 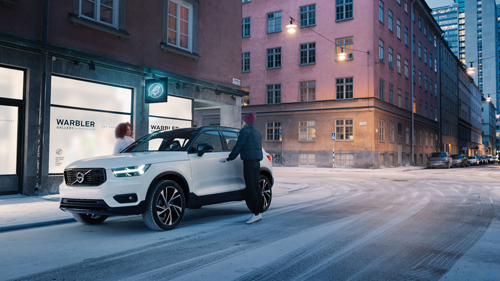 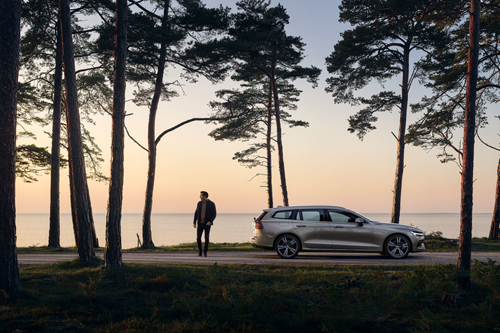 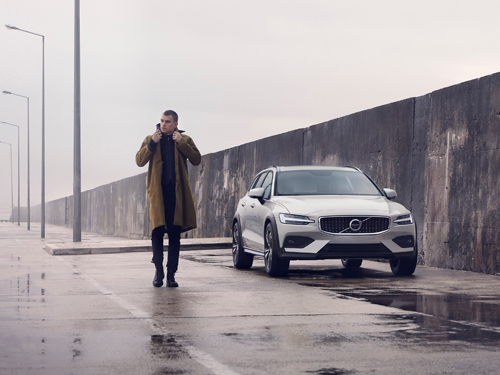 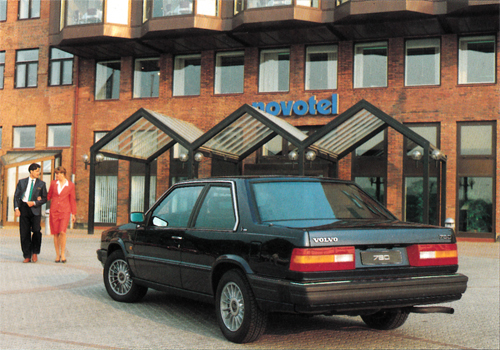 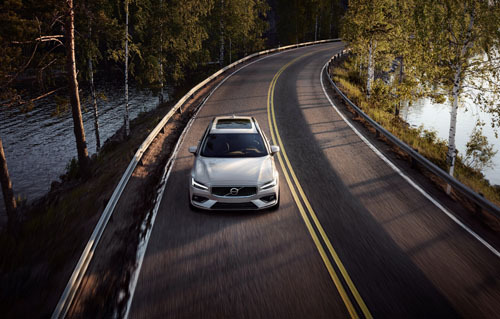 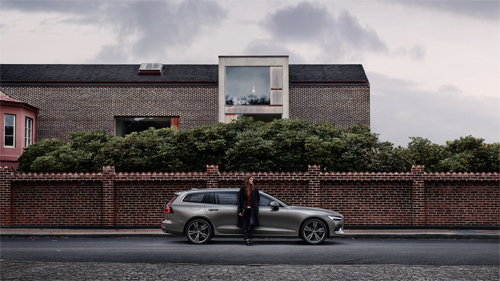 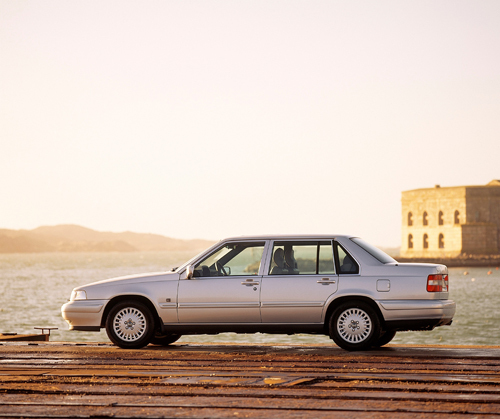 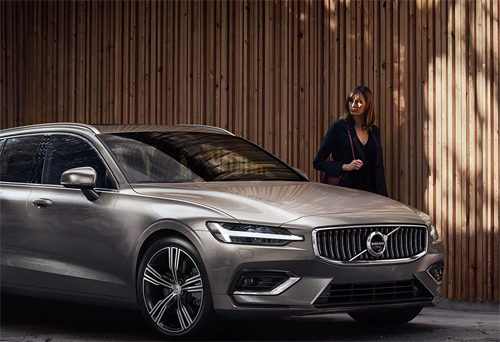 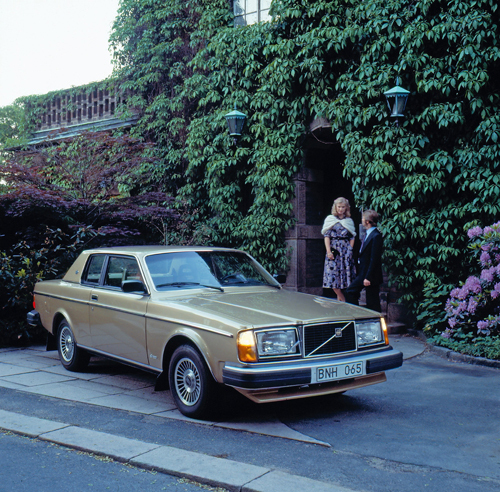 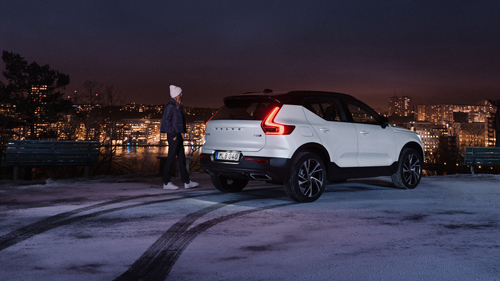 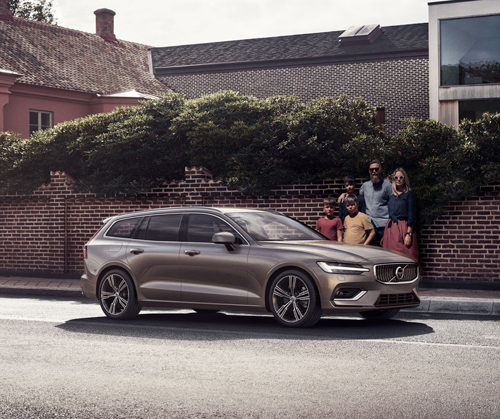 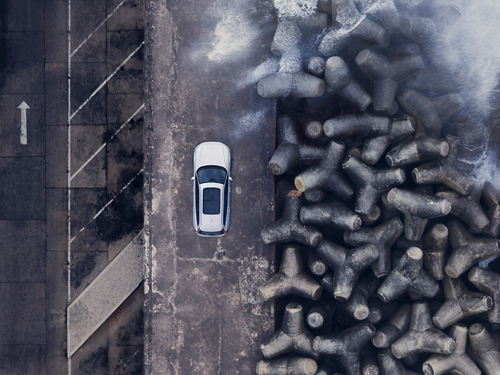 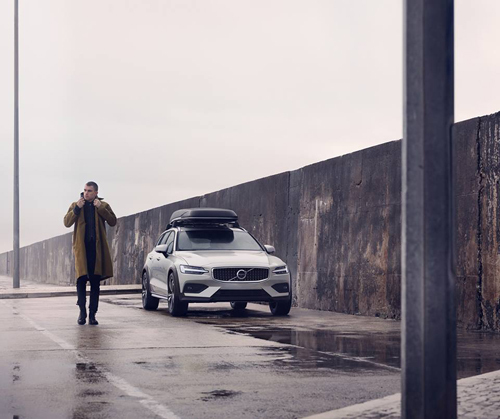 Do you want to help and search for the locations where the photos were made, have a look at the unkown Volvo Photo Locations page. 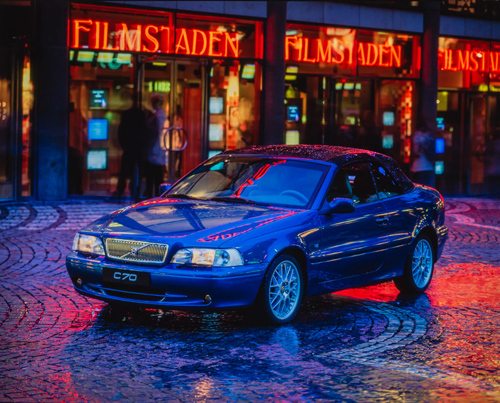 Your help and any tips are highly appreciated. 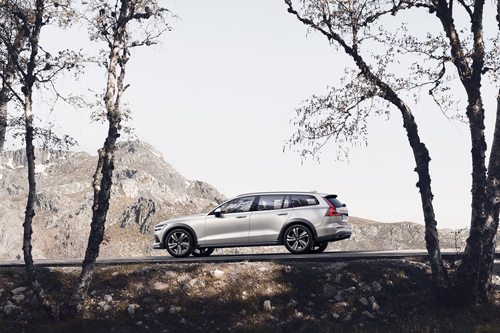 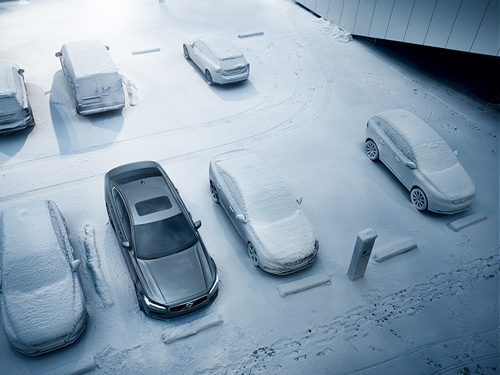 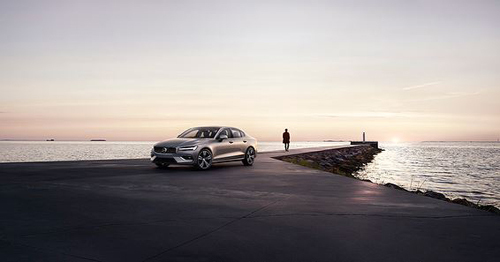 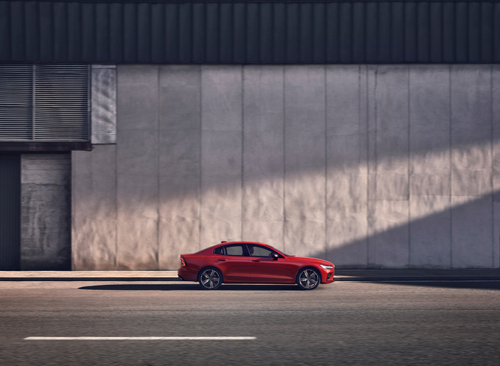 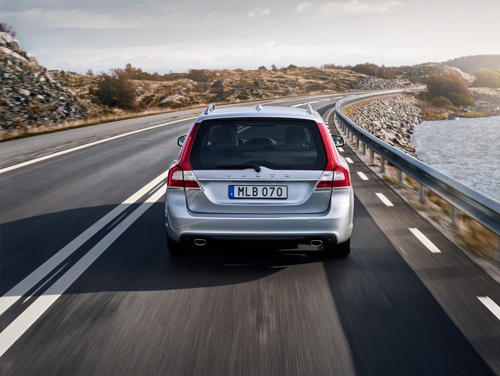 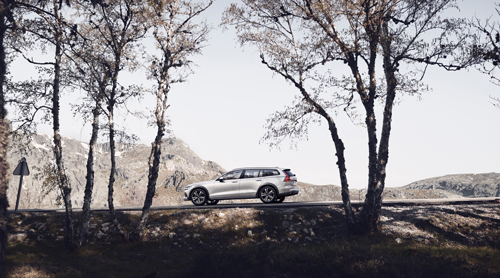 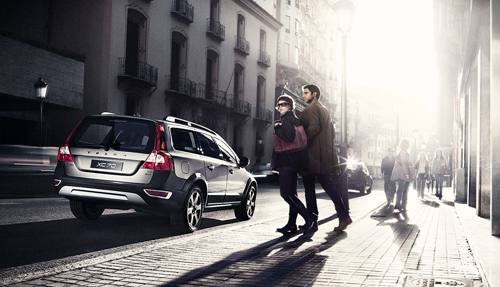 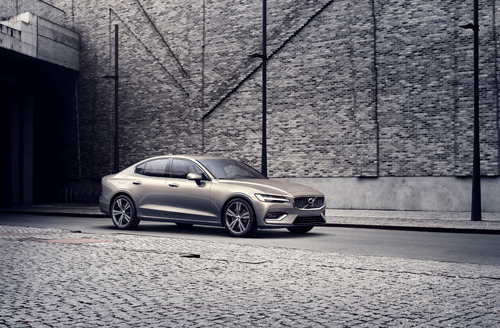 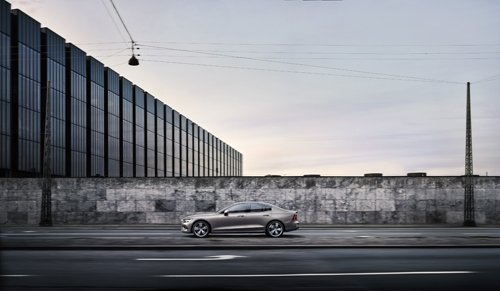 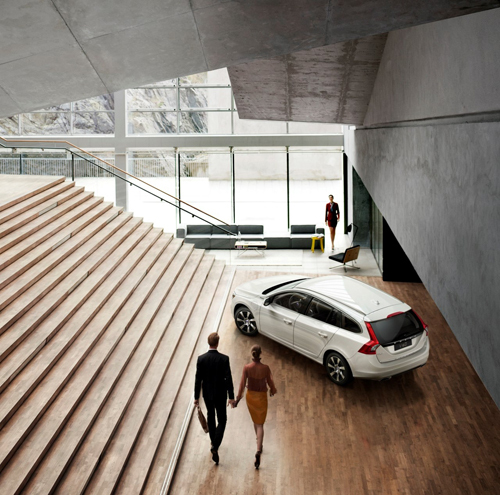 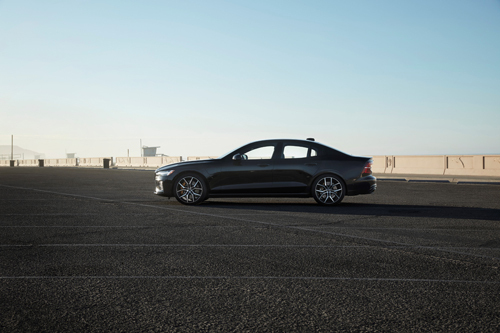 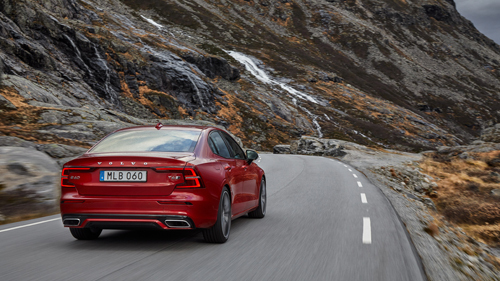 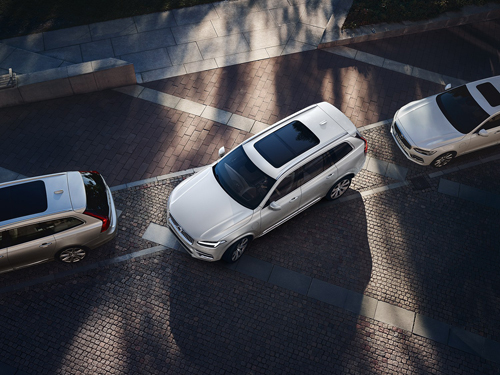 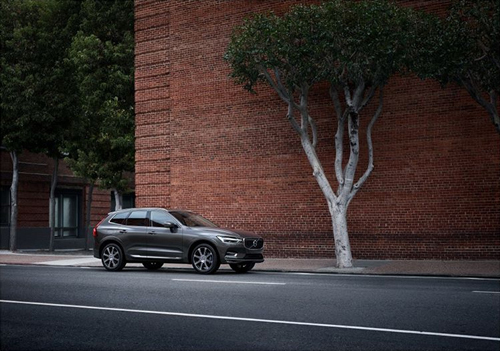 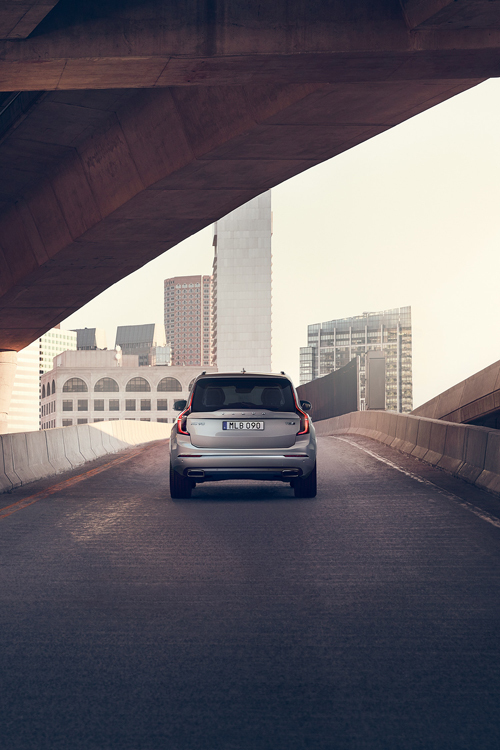 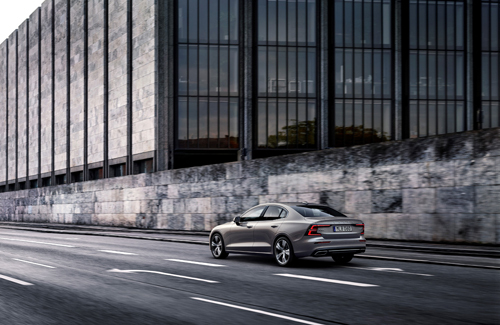 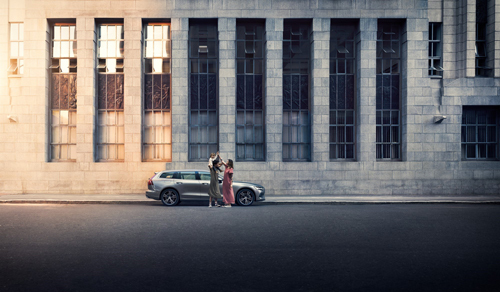 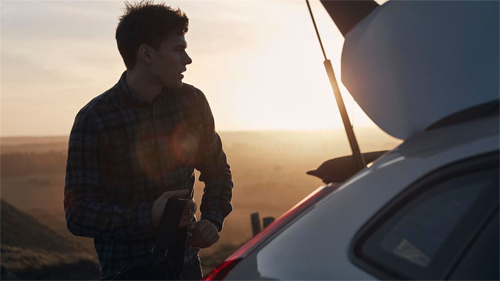 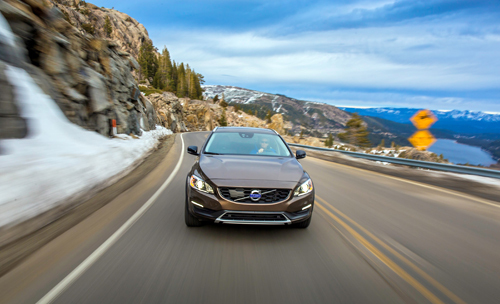 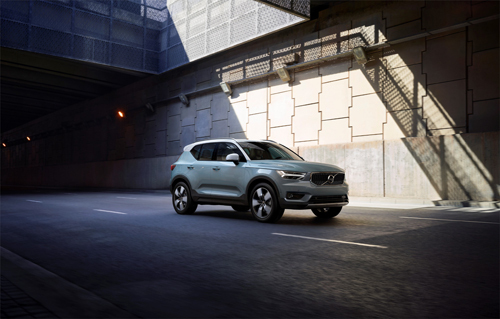 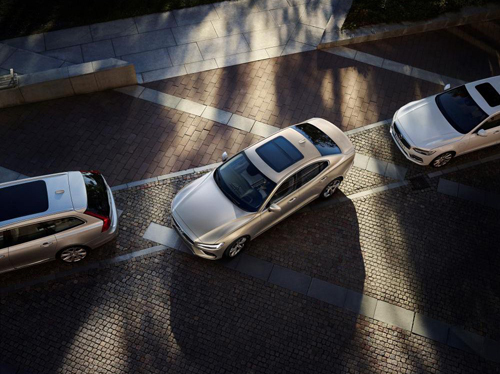 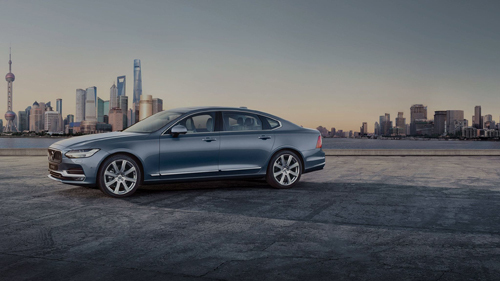 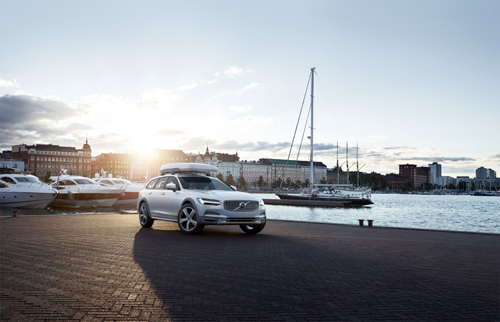 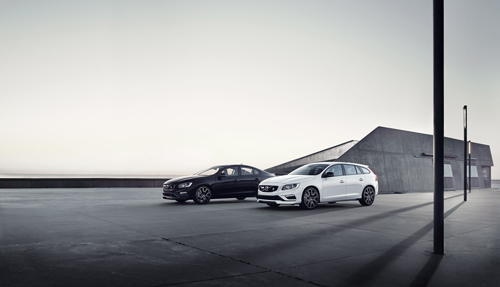 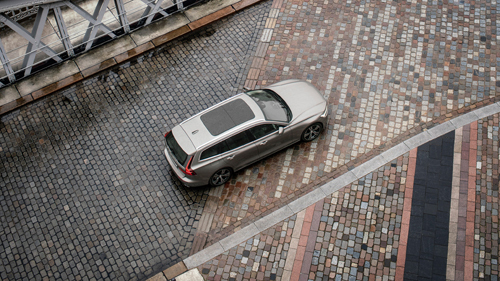 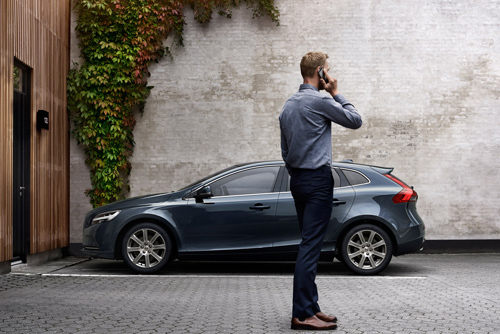 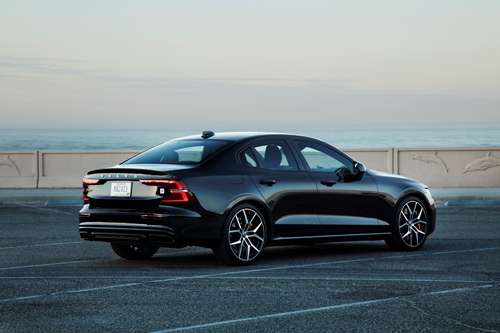 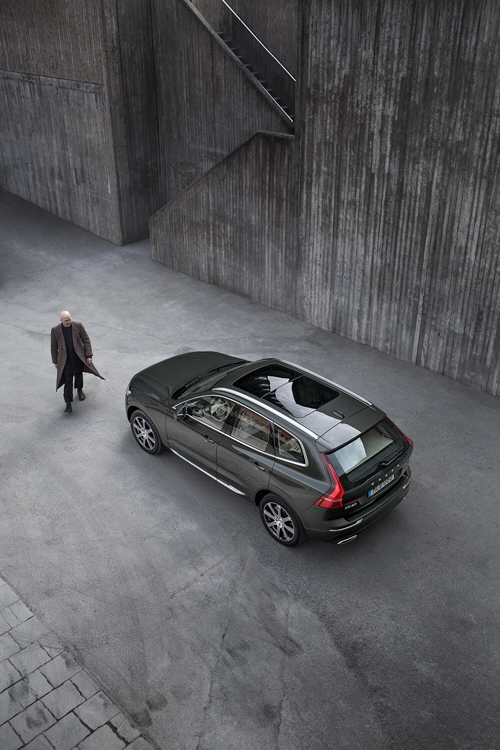 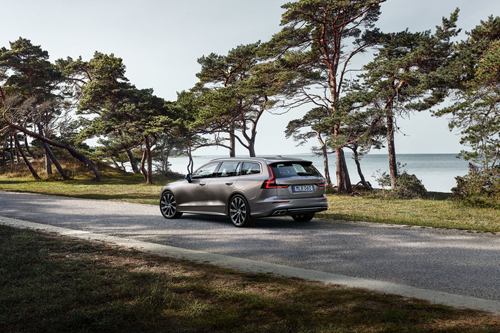 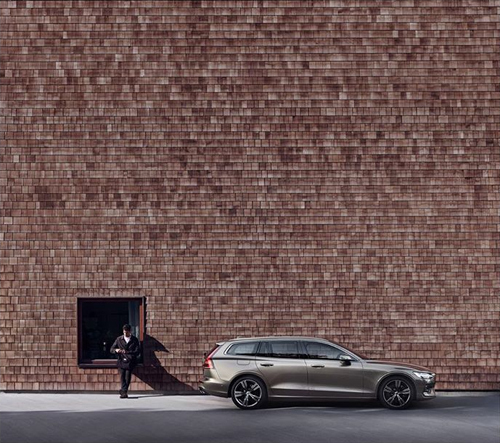 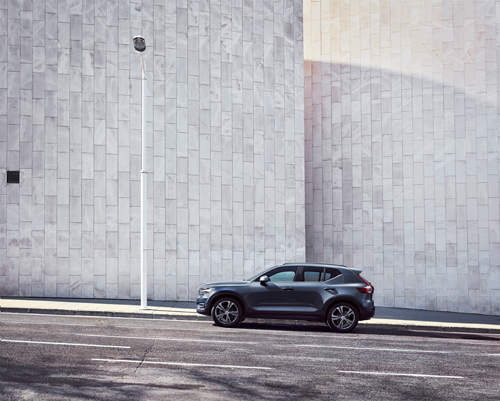 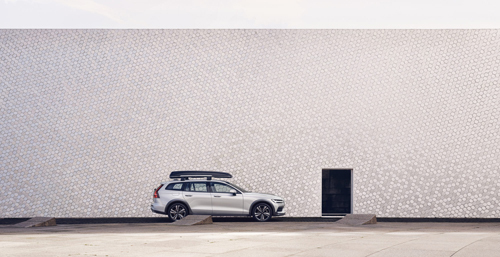 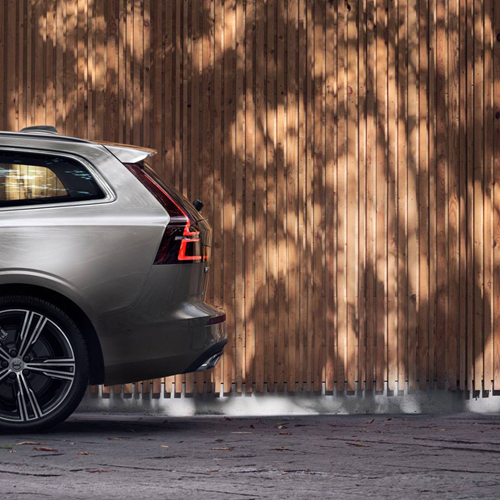 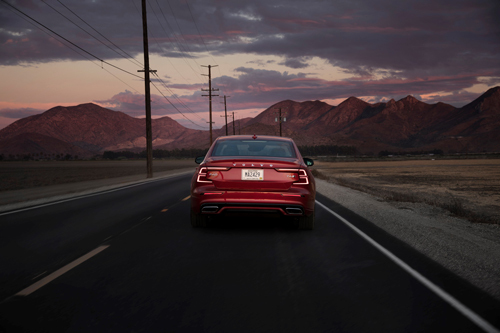 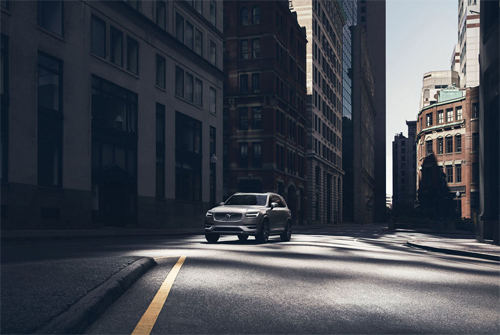 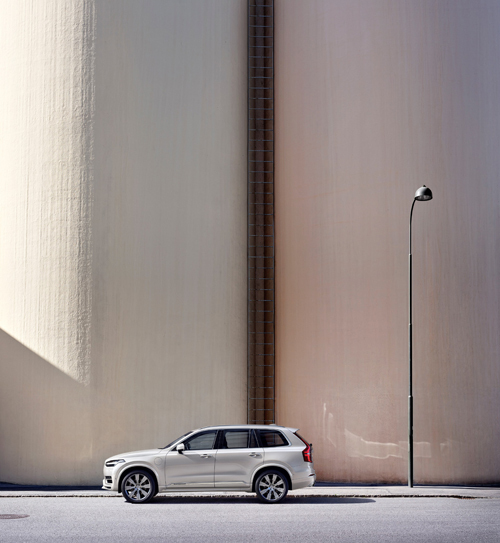 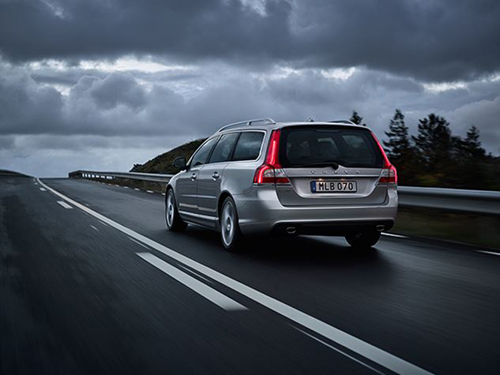 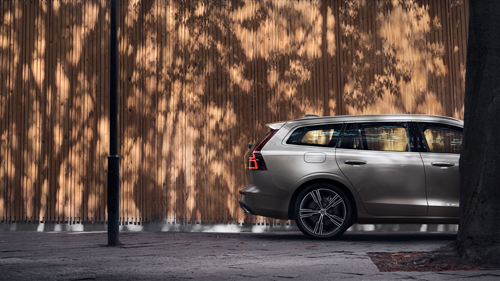 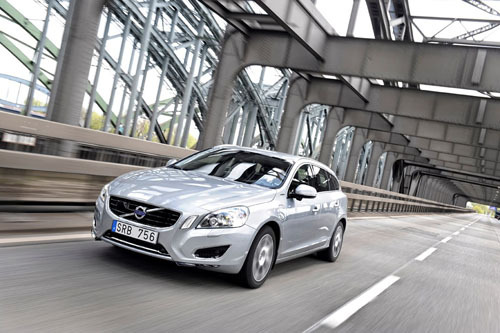 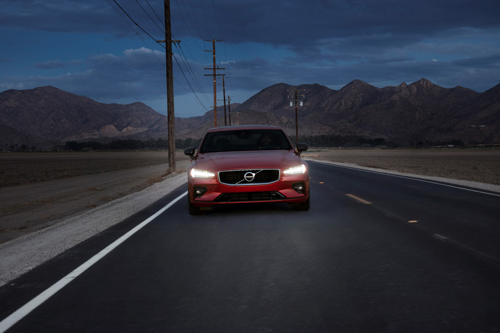 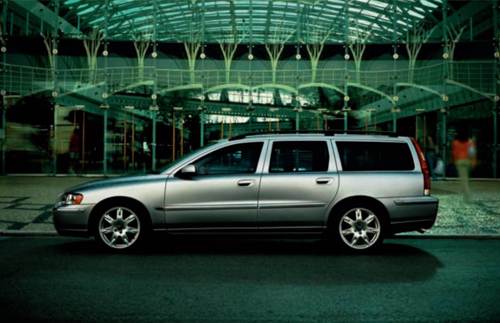 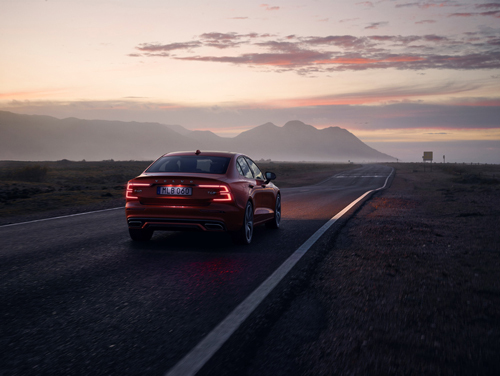 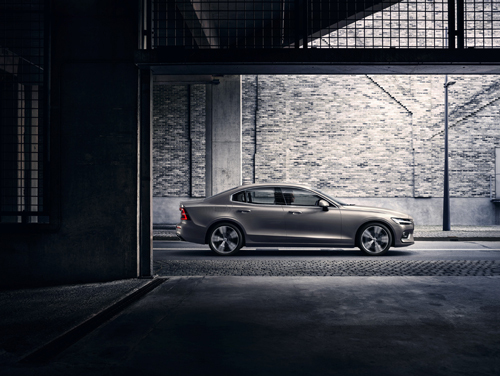 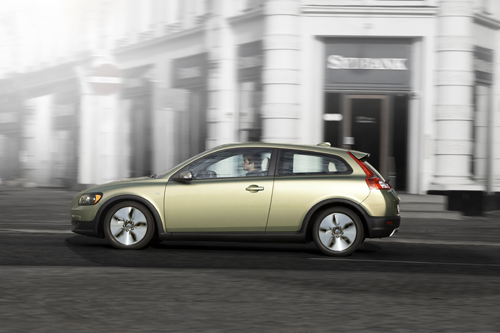 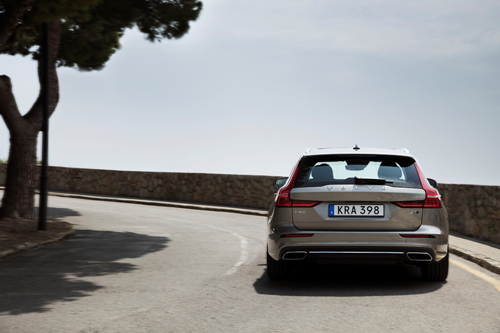 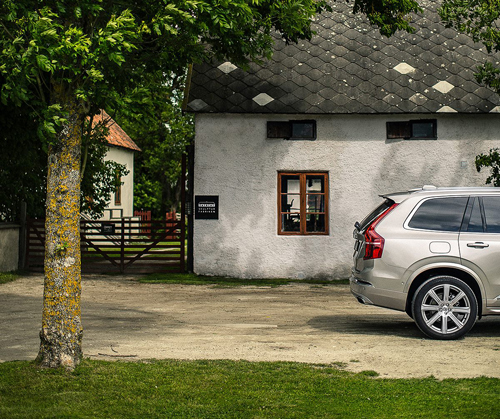 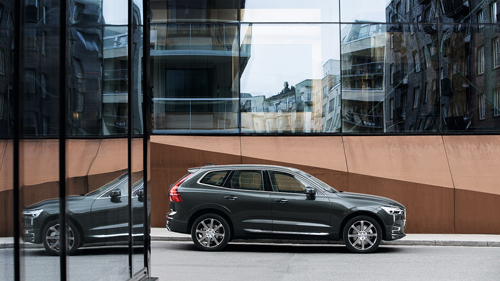 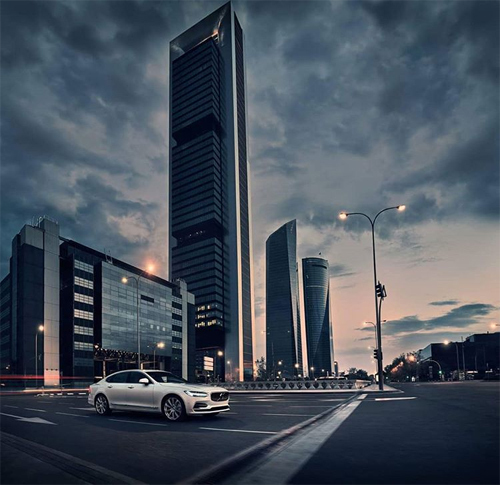 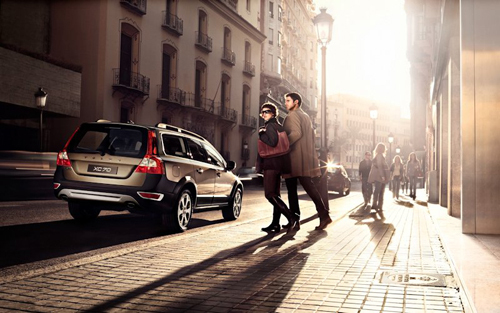 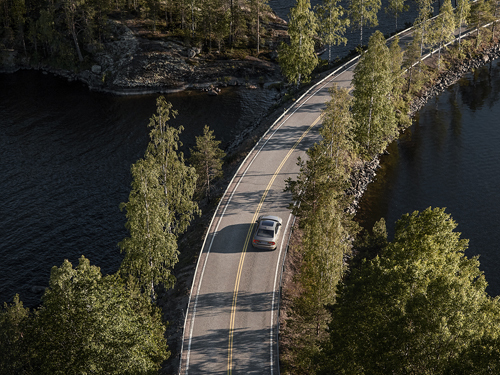 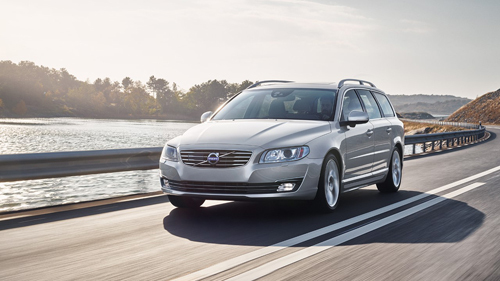 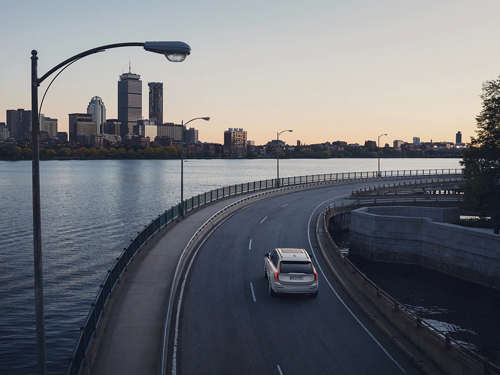 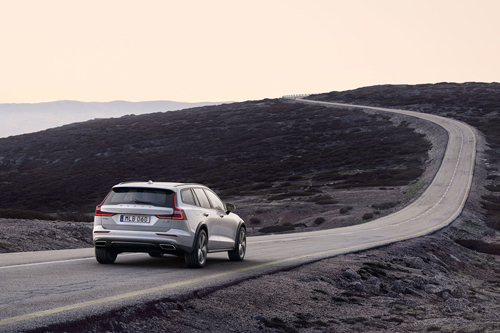 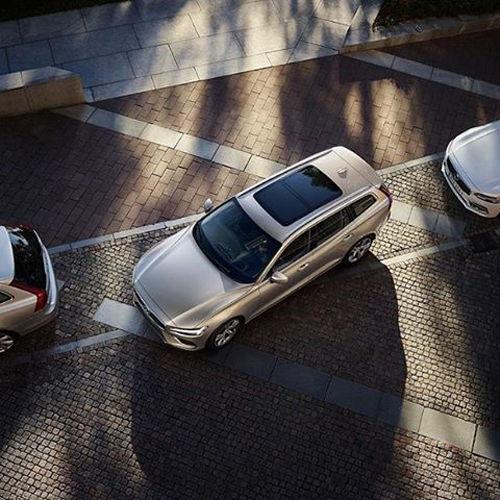 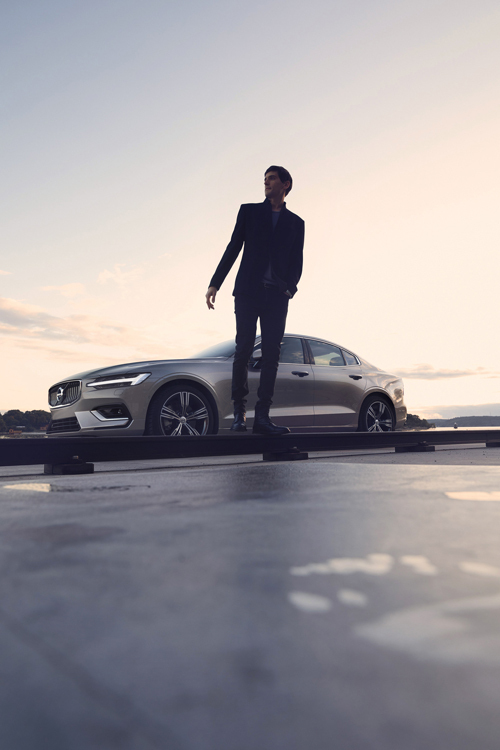 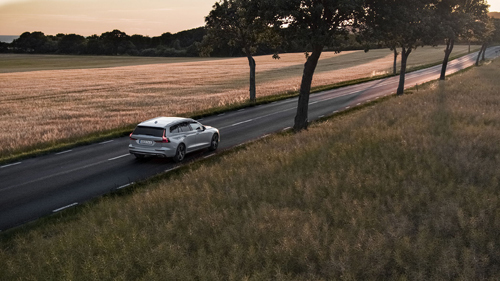 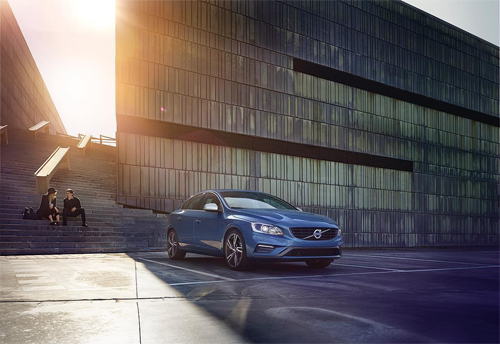 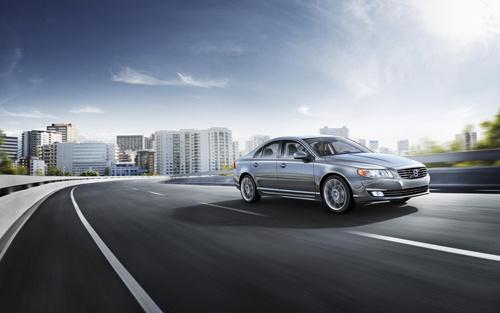 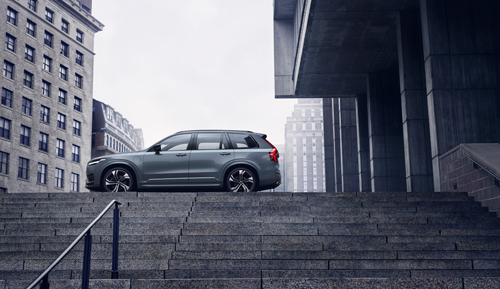 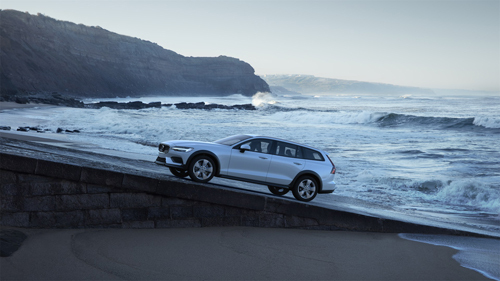 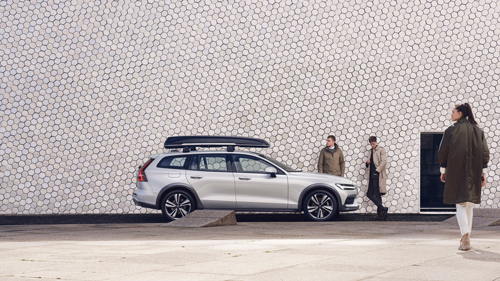 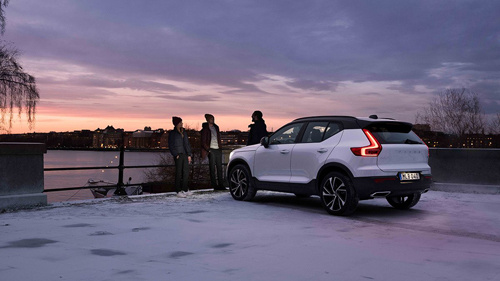 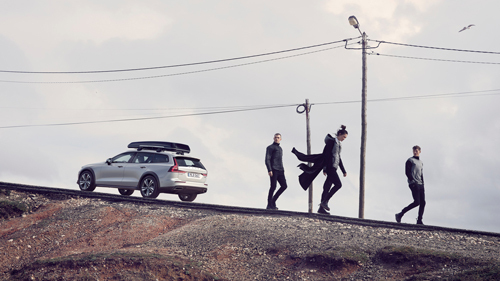 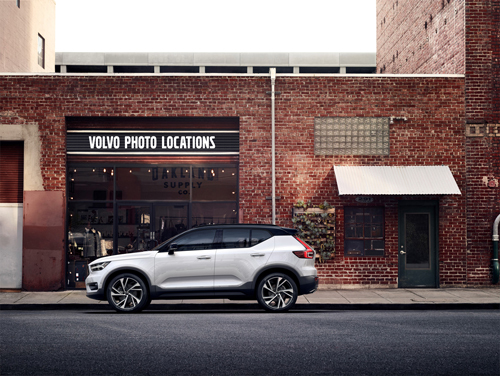 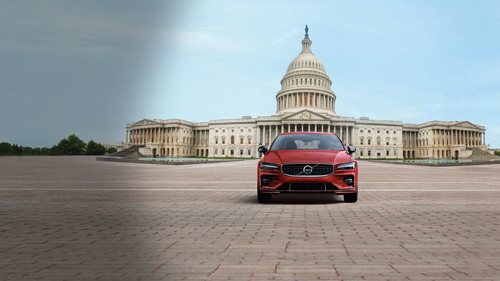 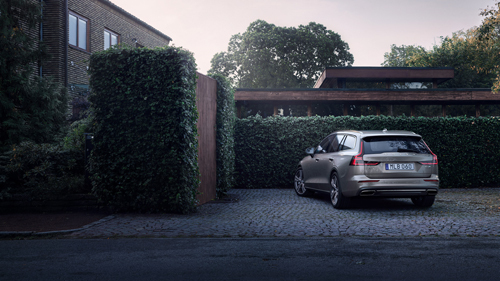 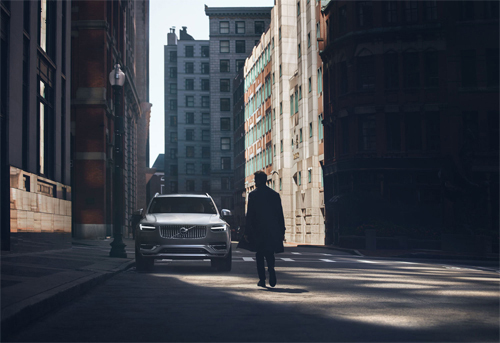 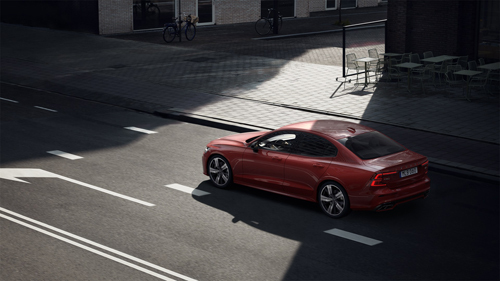 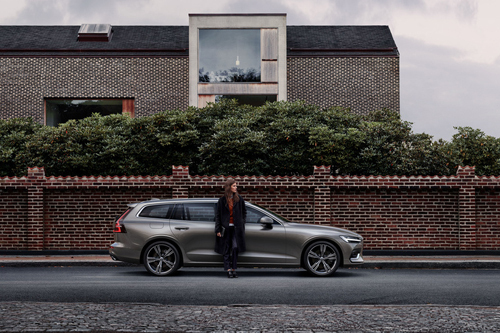 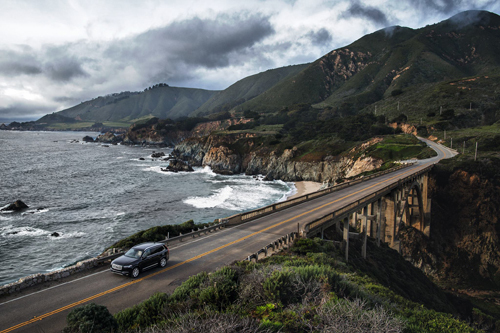 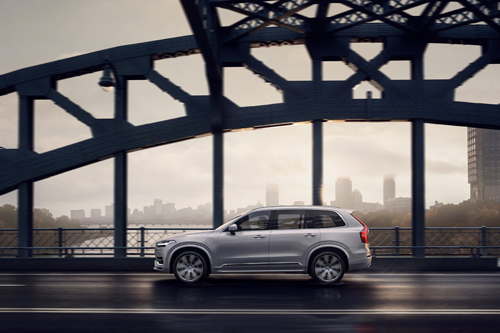 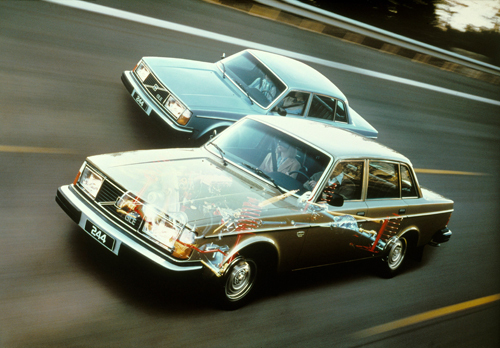 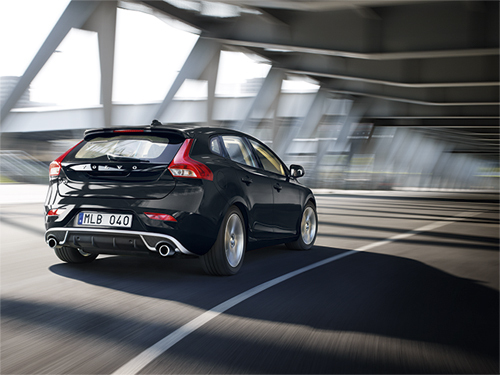 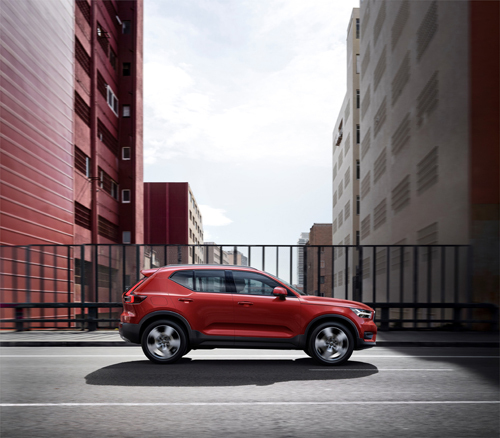 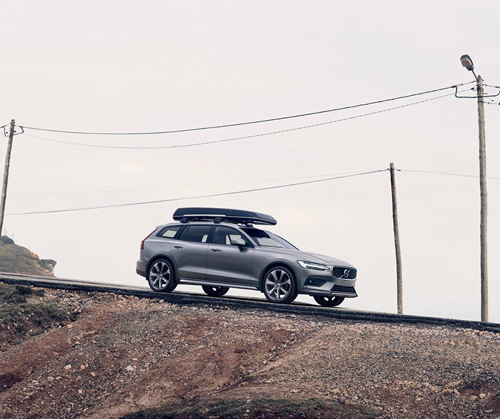 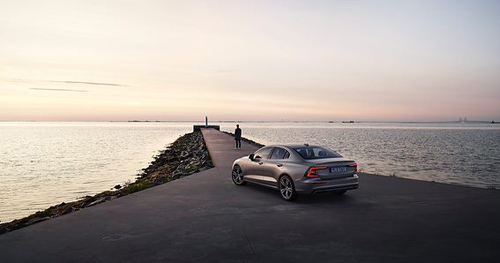 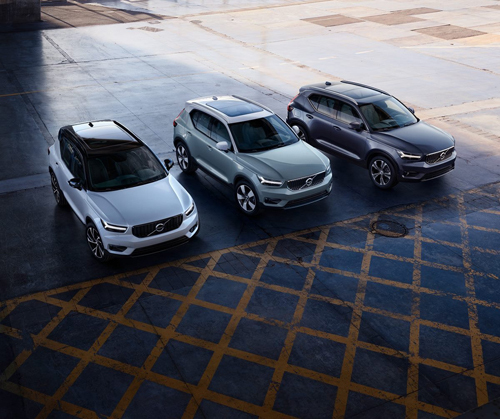 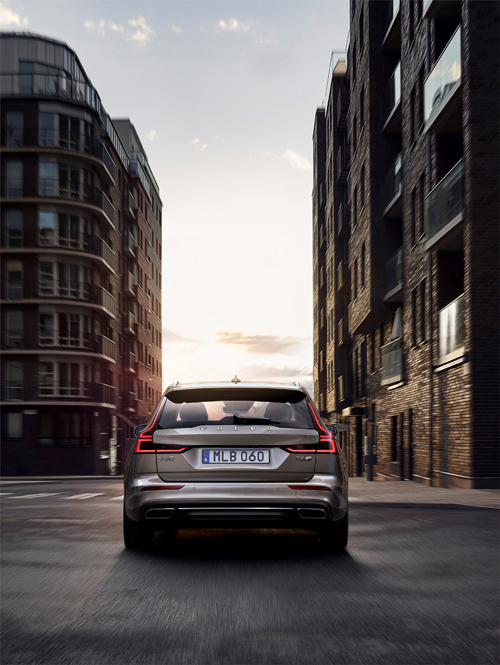 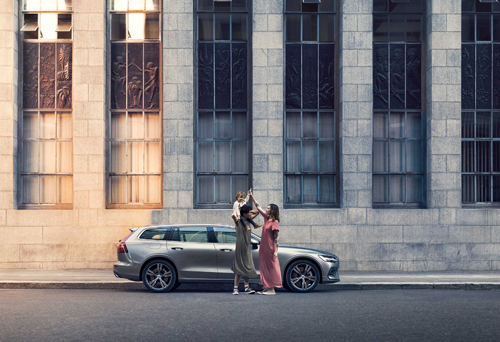 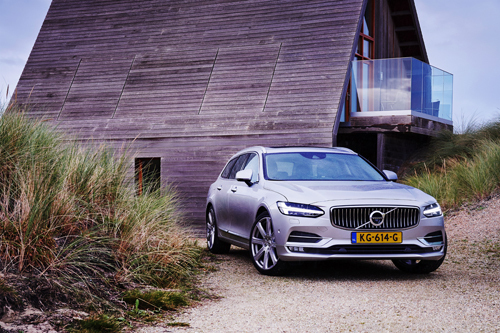 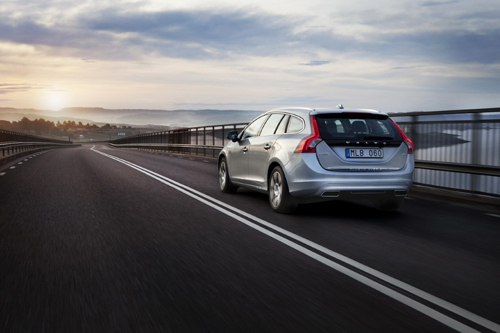 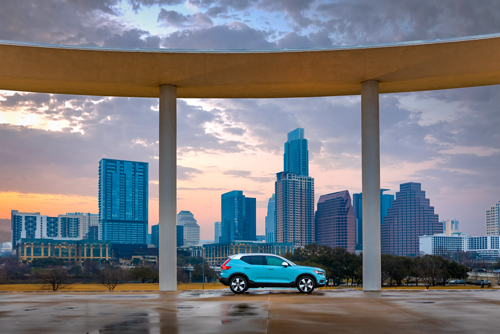 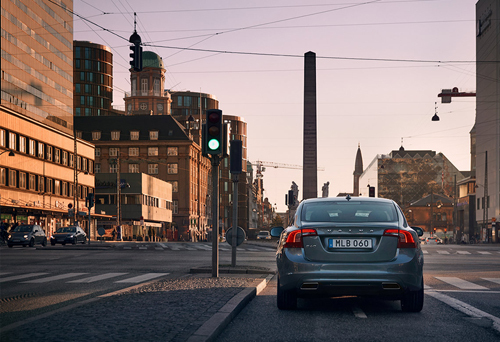 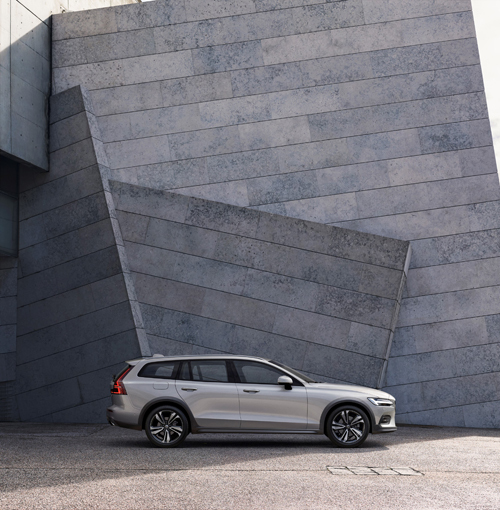 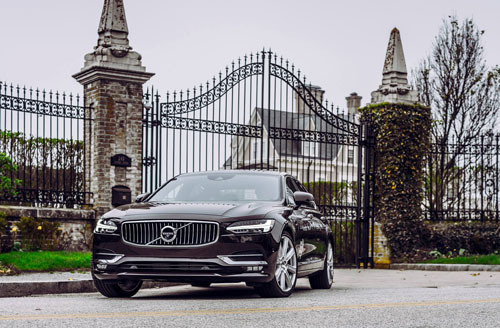 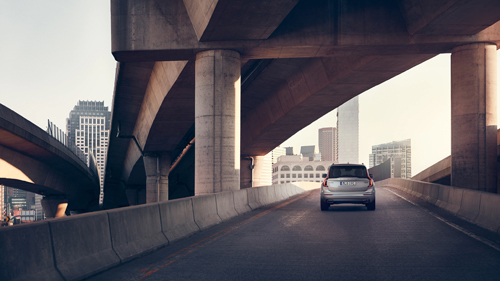 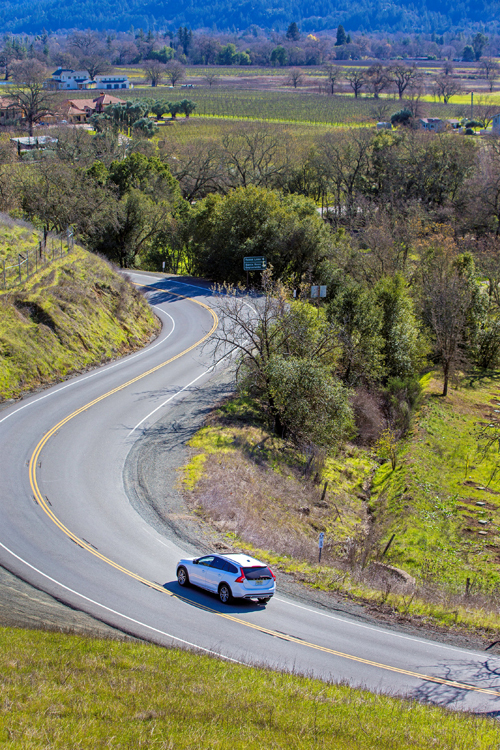 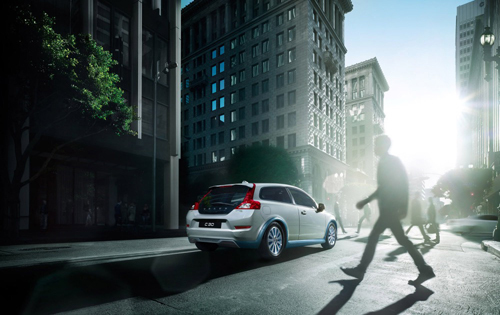 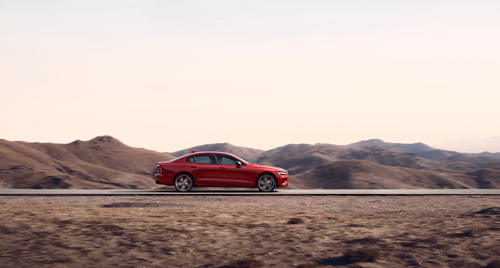 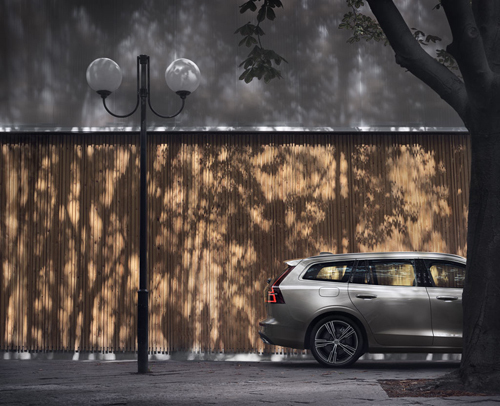 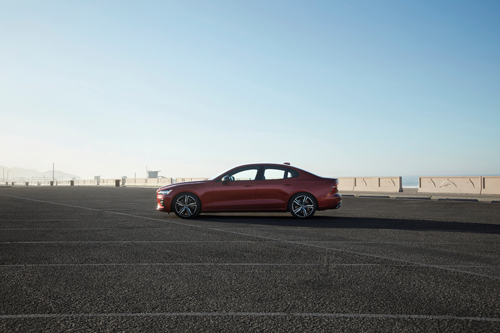 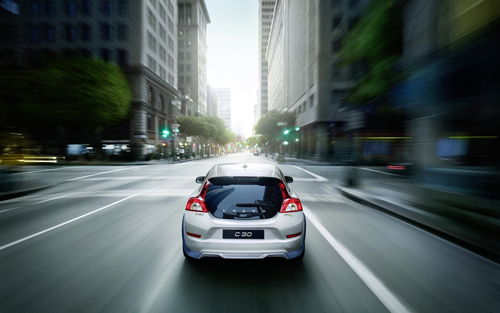 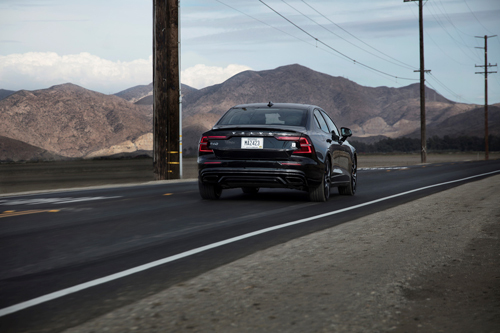 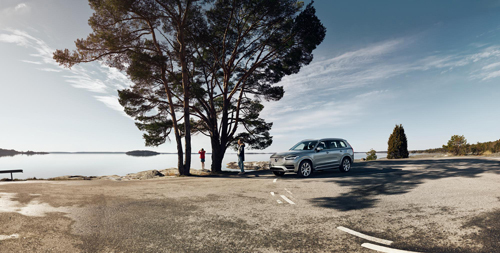 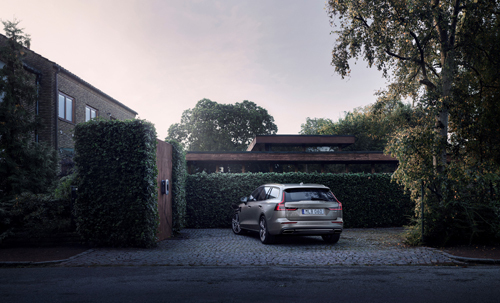 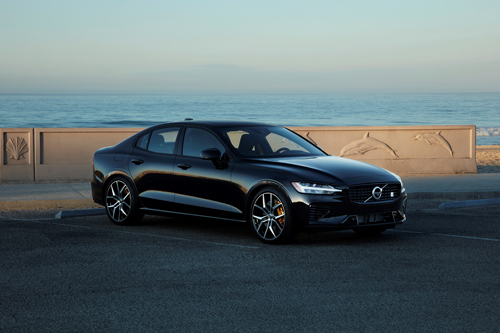 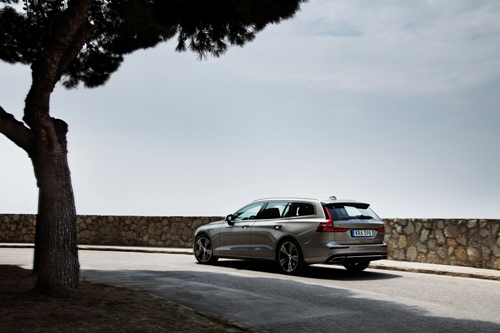 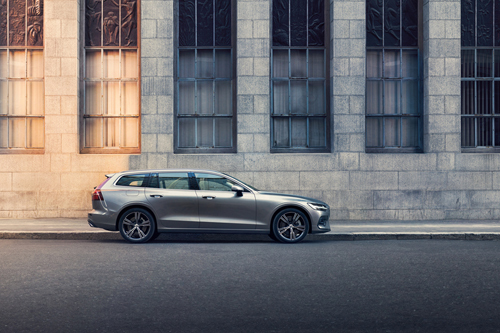 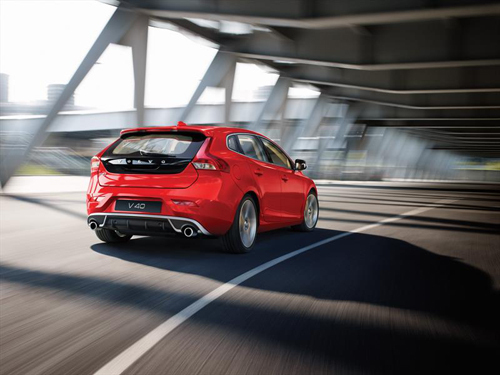 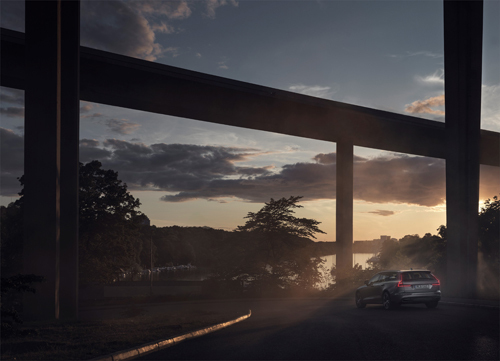 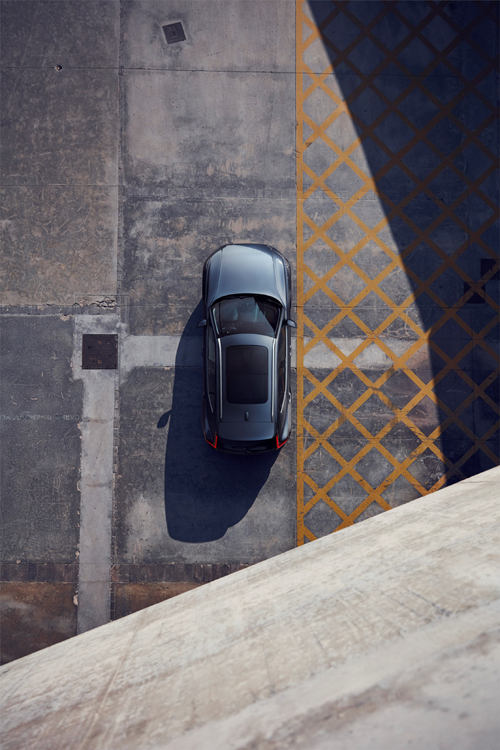 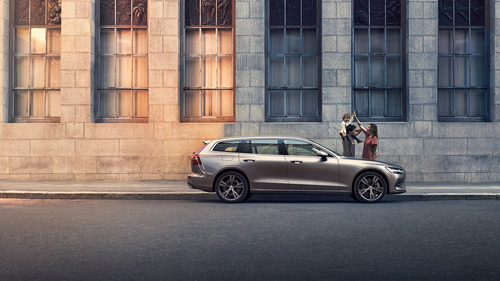 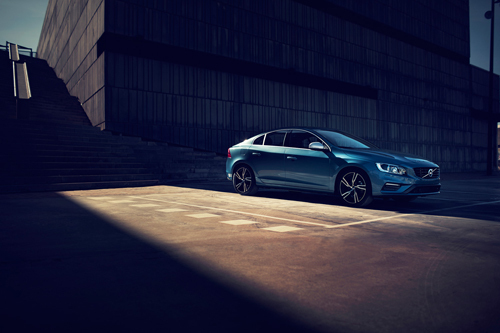 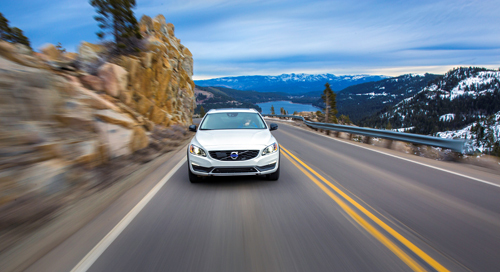 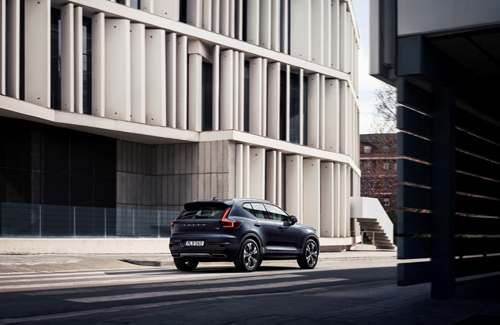 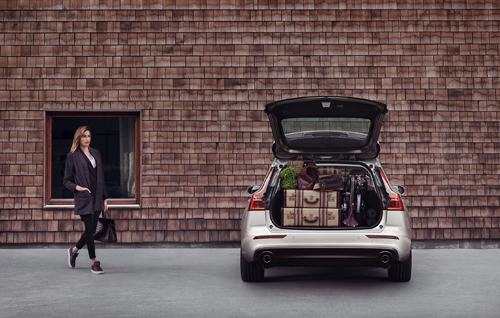 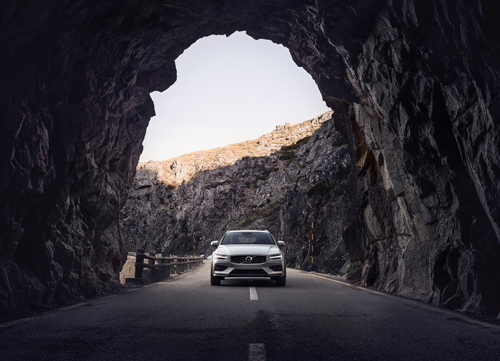 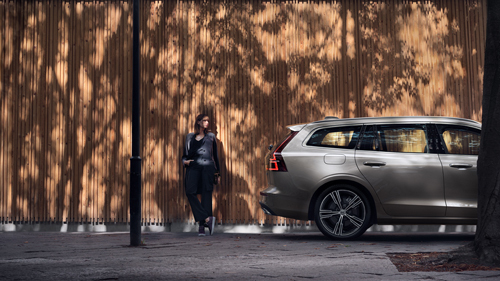 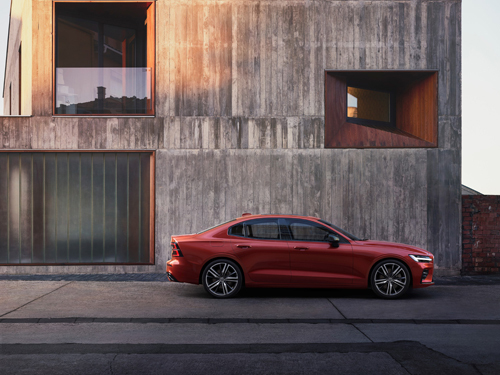 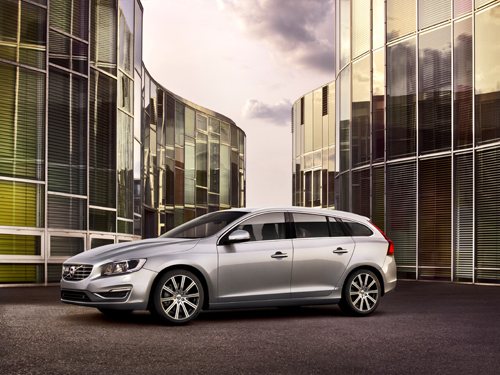 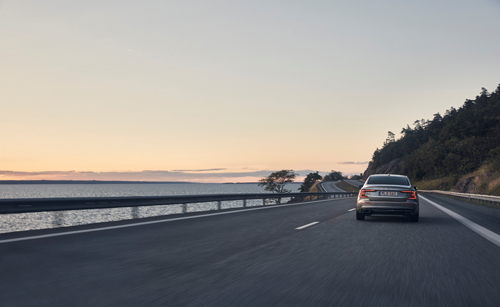 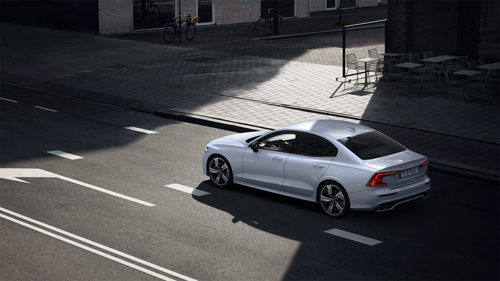 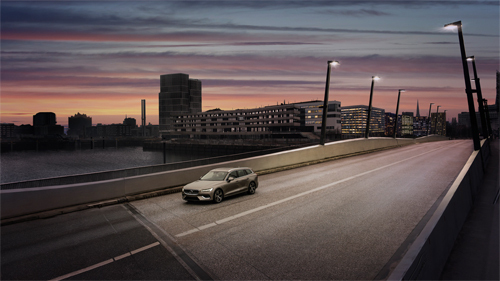 Note: a special Volvo Photo Location pages with detailed information and maps will be made later for these locations. 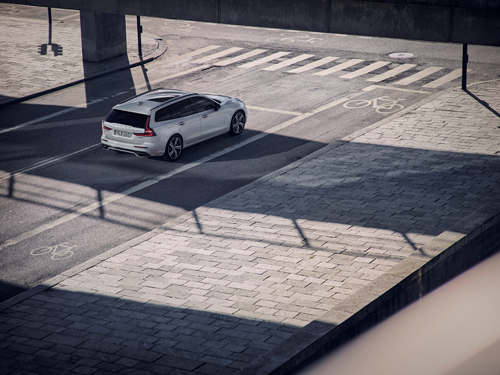 2012 – Volvo V60 Plug In Hybrid at Basel Messeturm on Rosentalstrasse in Basel, Switzerland. 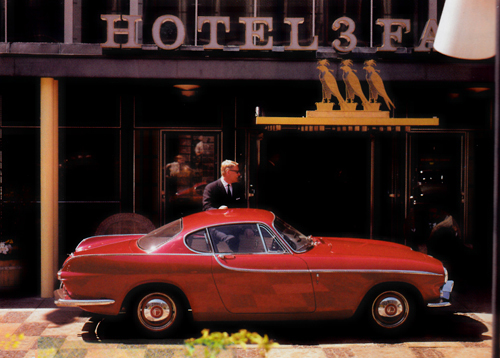 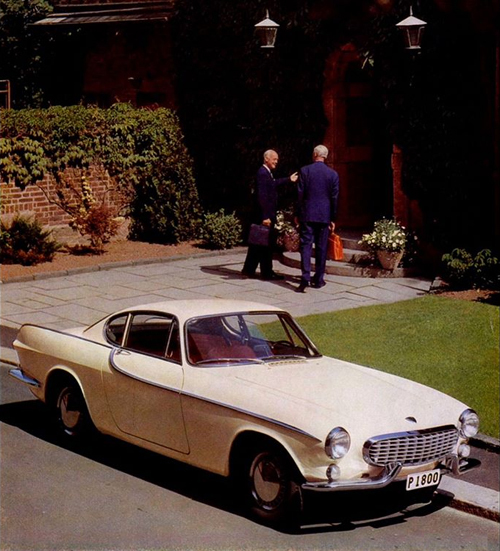 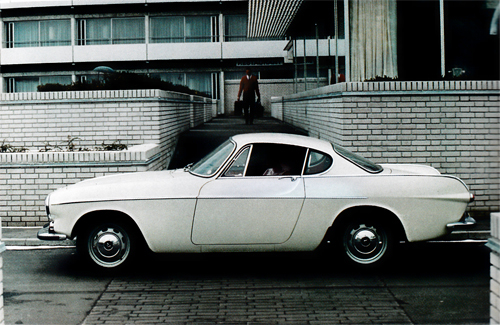 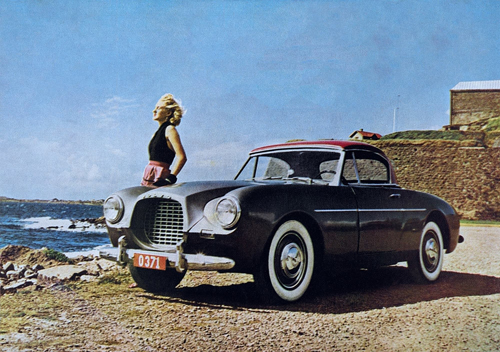 1956 – Volvo P1900 Sport at Varbergs Fästning on Sjöallén in Varberg. 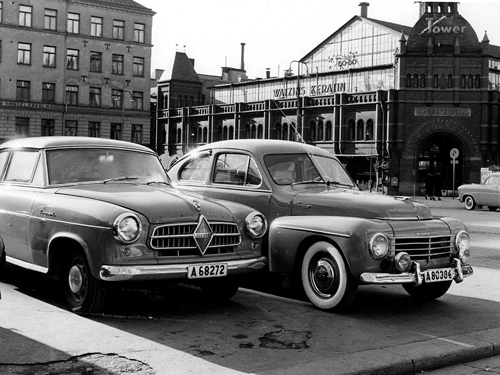 This is one of the three P1900s that travelled during summer 1954 through Sweden to demonstrate the cars to the sales persons. 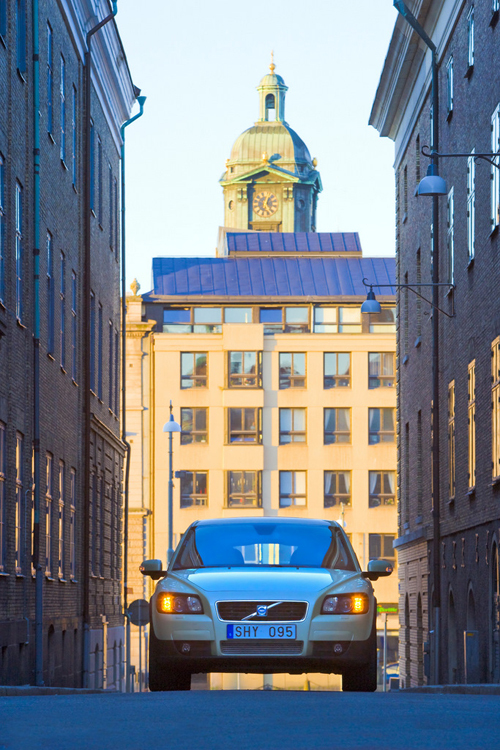 Thank you Kåre for finding this location! 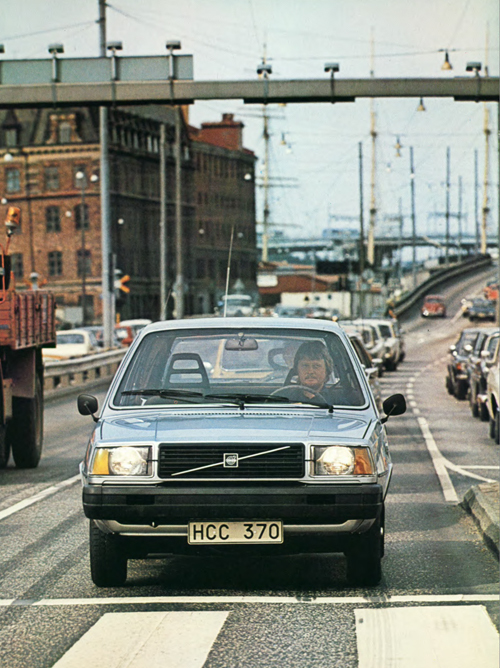 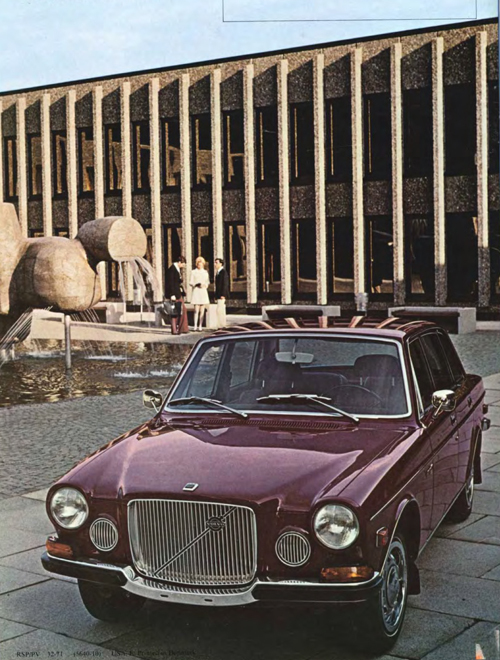 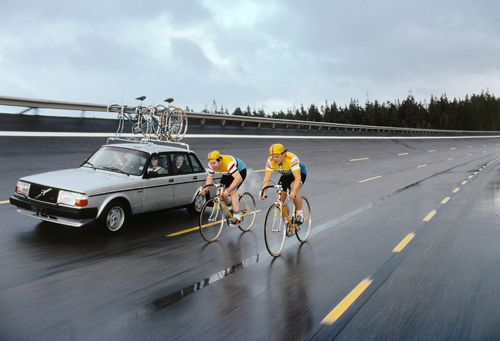 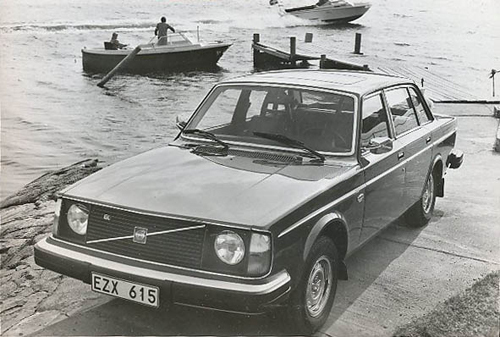 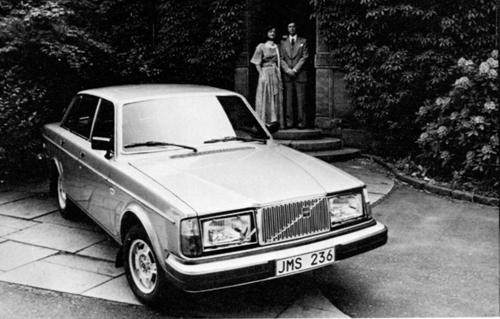 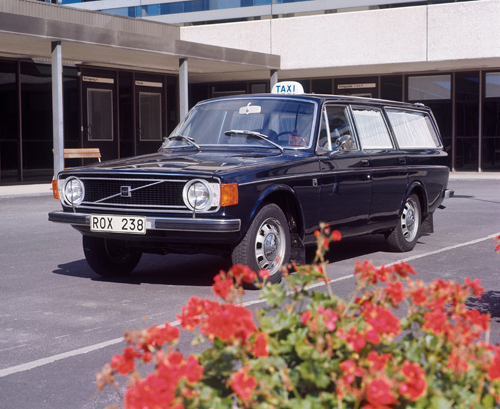 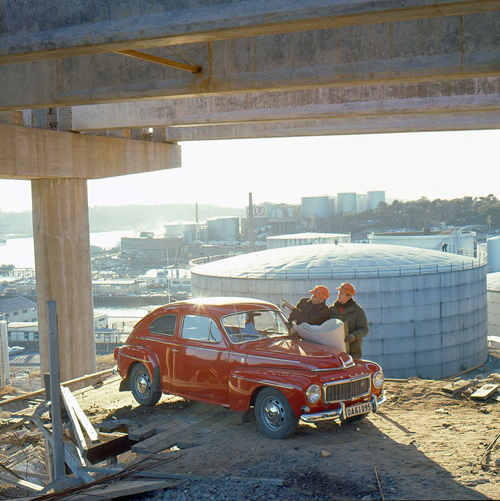 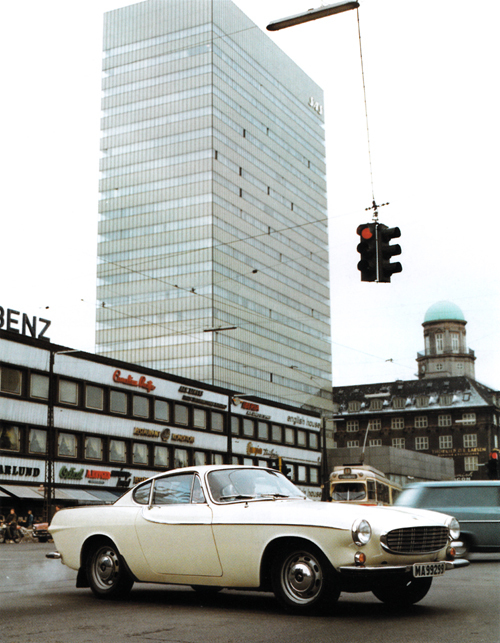 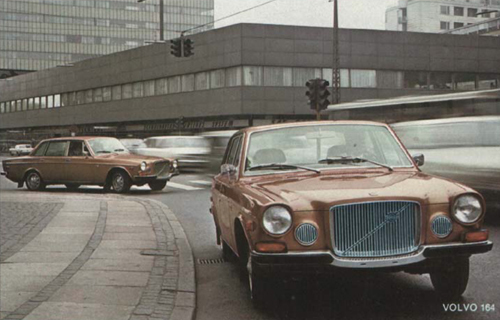 1978 – Volvo 343 on Västra Sjöfarten near Packhusplatsen in Göteborg, the building on the left is replaced by the Operahouse of Göteborg. 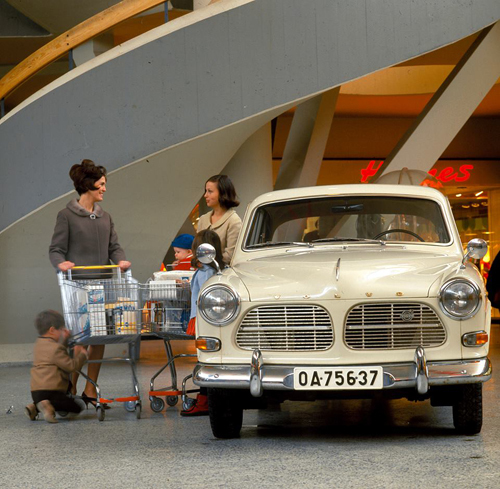 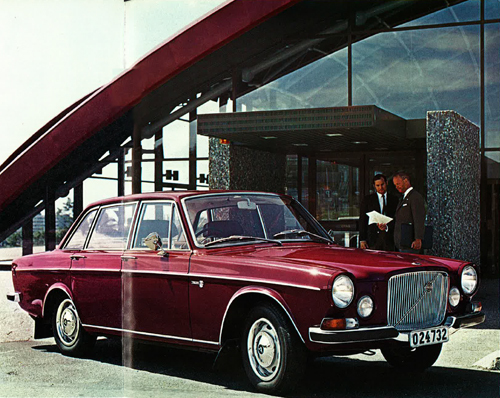 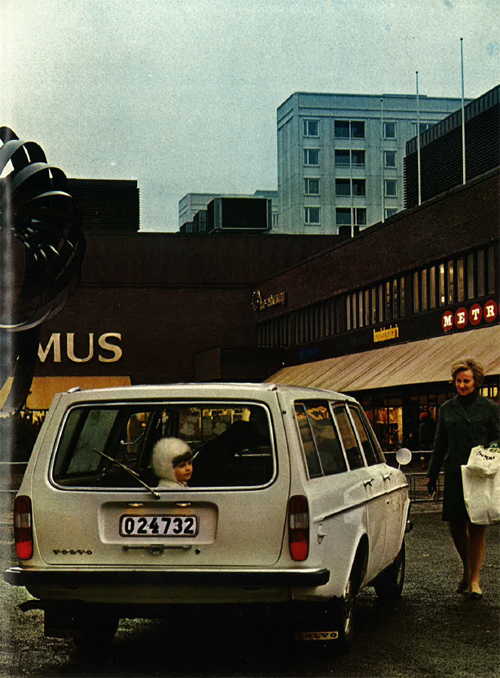 1968 – Volvo 145 at Frölunda torg shopping center in Järnbrott in south west sydvästra Göteborg? 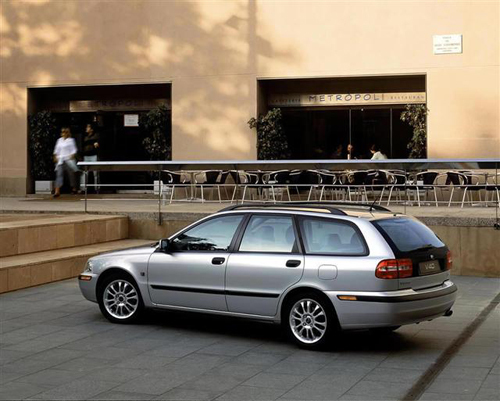 2000 – Volvo V40 at Fundació Pere Coromines restaurant on Plaça de Joan Coromines in Barcelona, Spain. 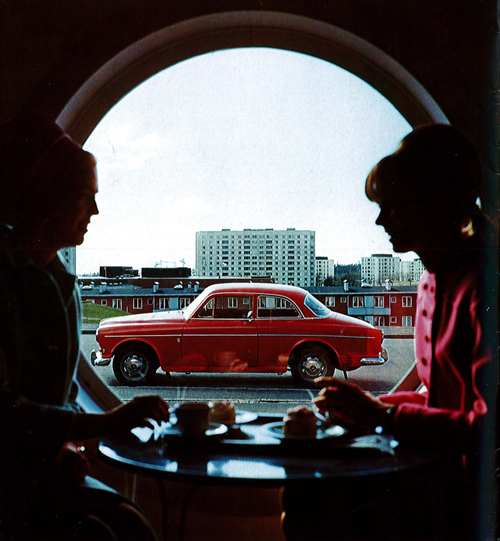 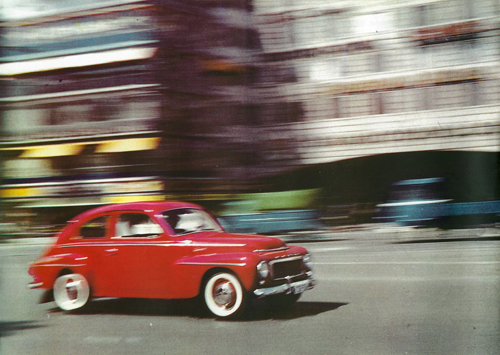 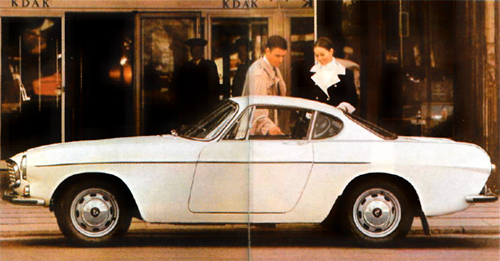 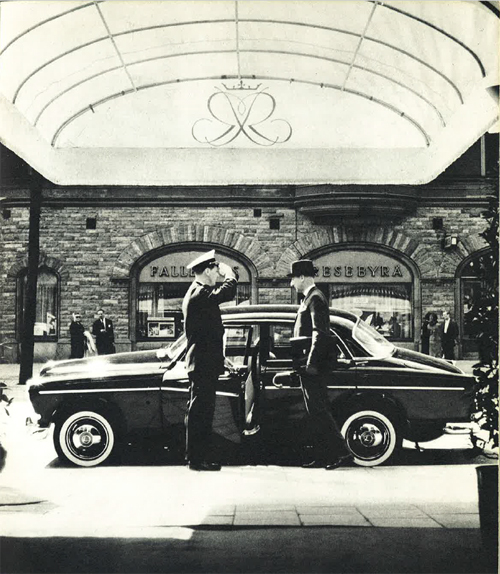 1963 – Volvo Amazon at Restaurant Riche on Birger Jarlsgatan in Stockholm (Volvo Magazine Ratten 1 1963 – photography by Kary H Lasch). 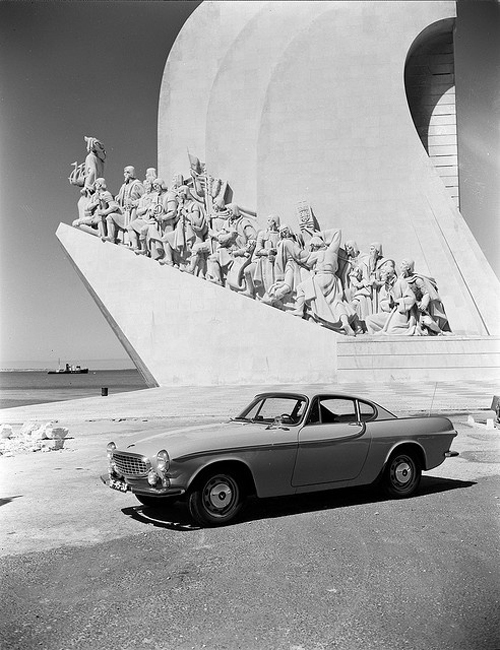 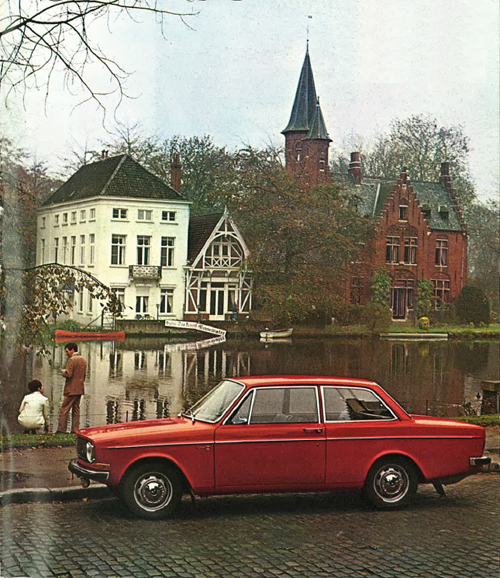 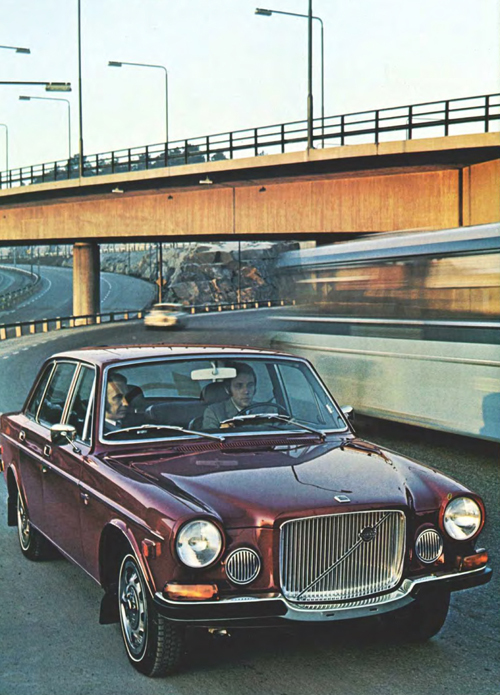 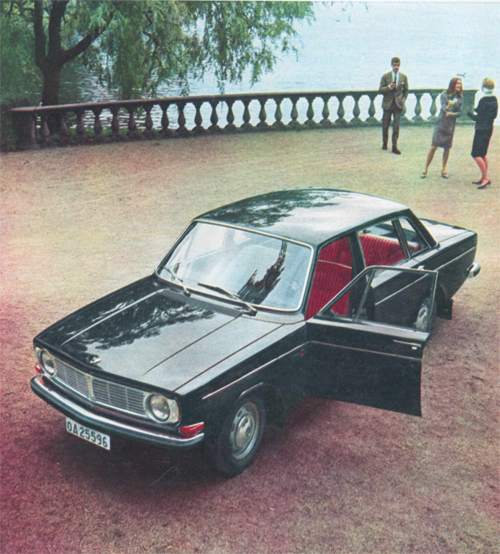 1969 – Volvo 142 at Minnewaterpark in Gent Belgium. 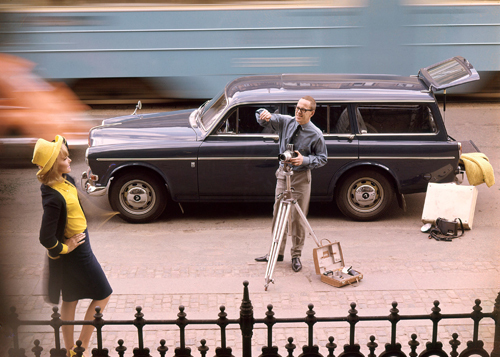 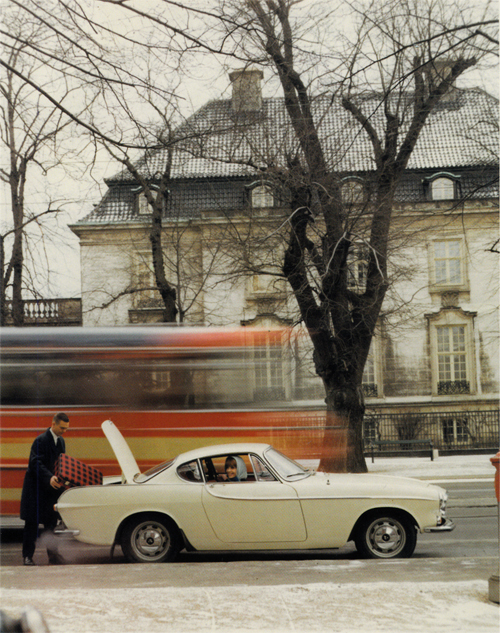 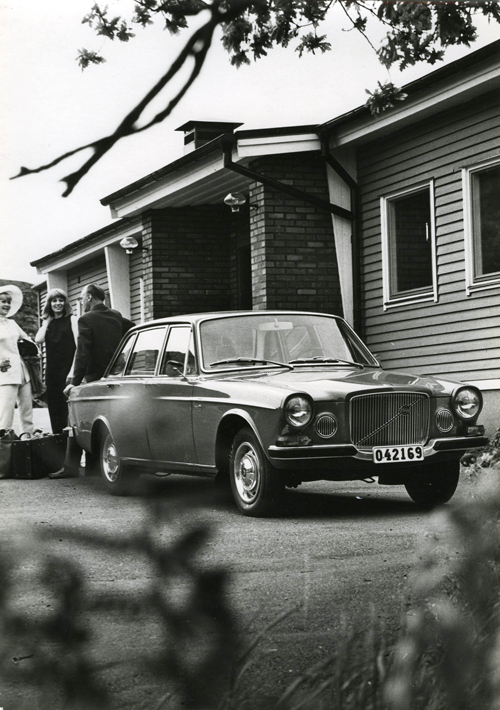 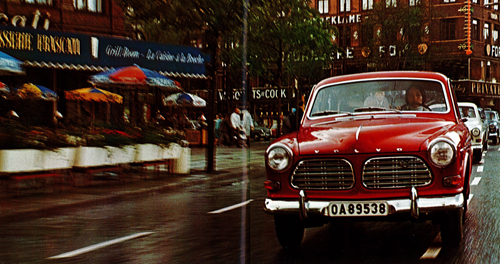 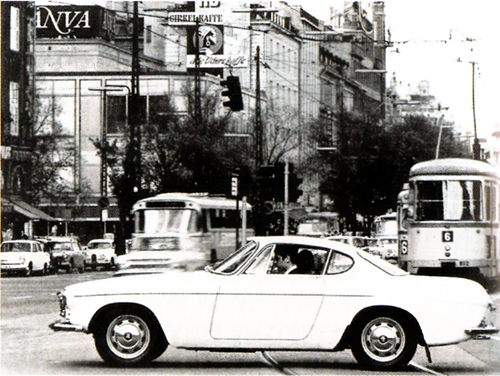 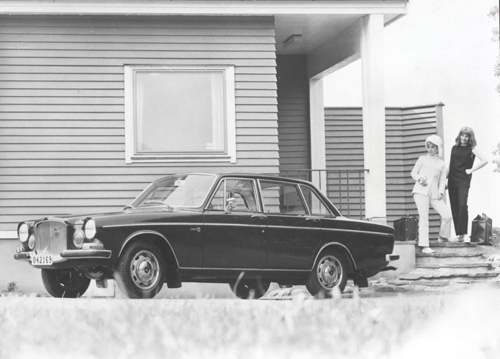 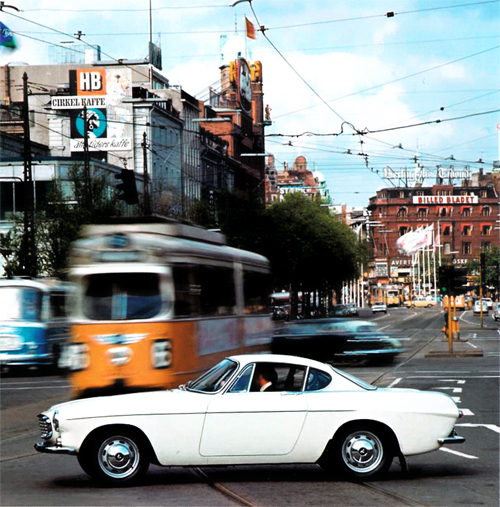 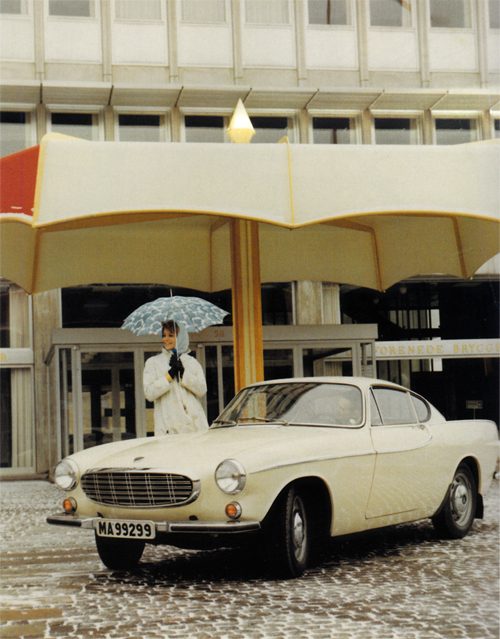 1966 – Volvo 144 in Kungsparken close to Slottsparken in Malmö (Photography by Georg Oddner). 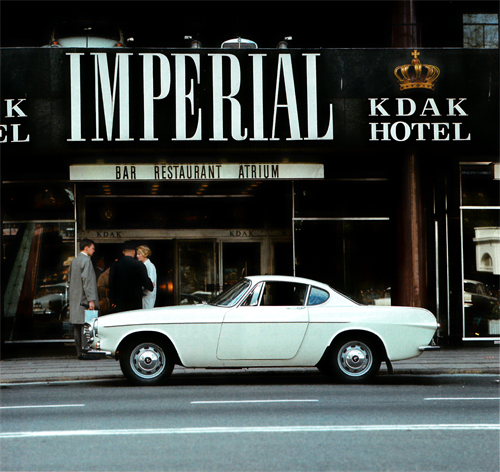 Thanks to Kåre Gundersen for finding this place! 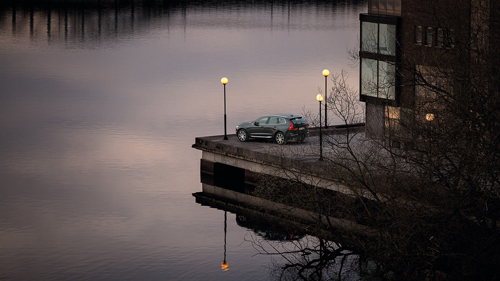 2015 – Volvo V60 on Kalvebod Bølge on Kalvebod Brygge in København or Copenhagen, Denmark. 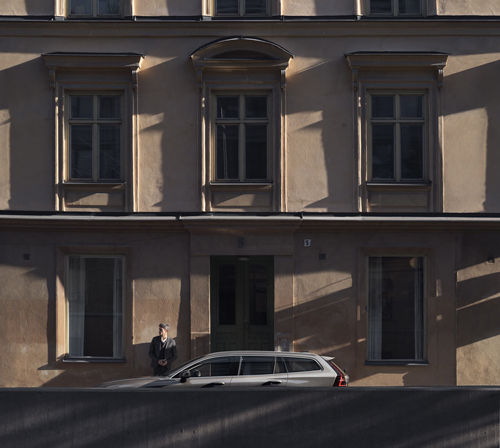 Thanks to Kåre Gundersen for finding this place! 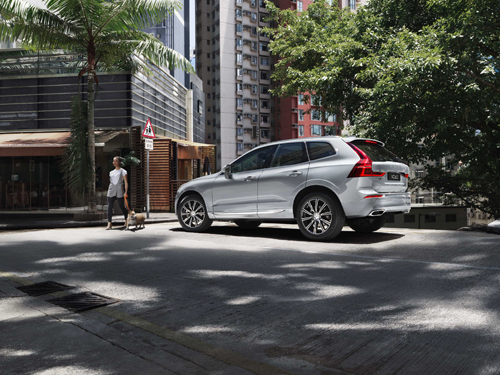 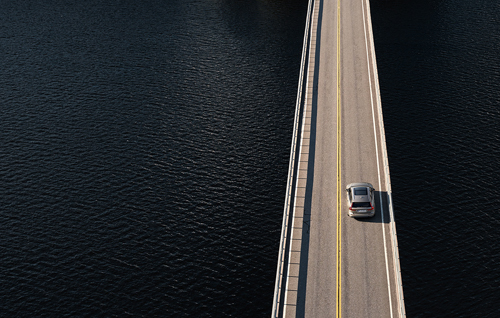 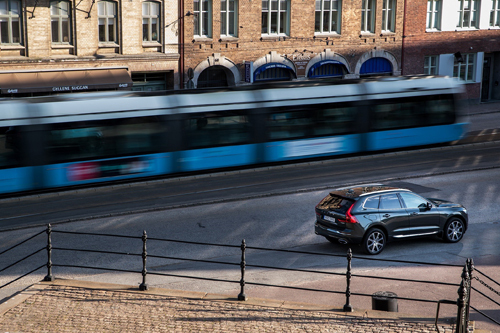 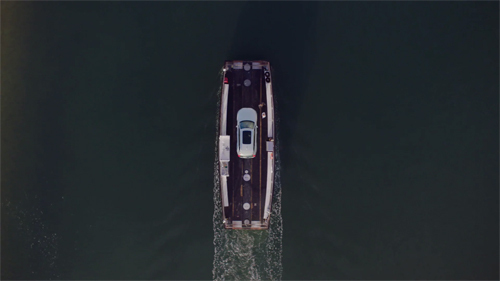 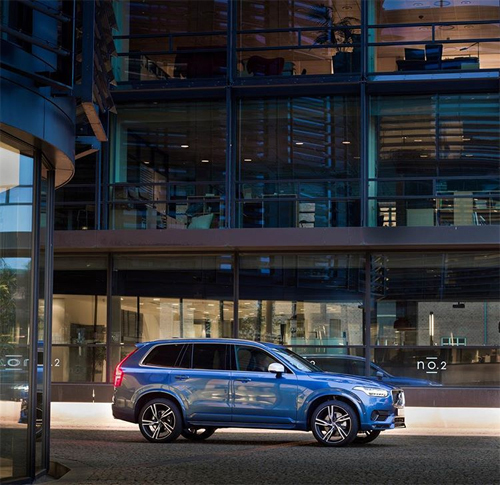 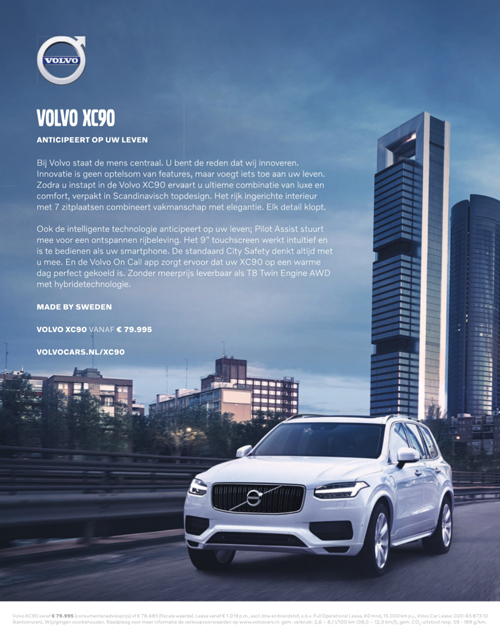 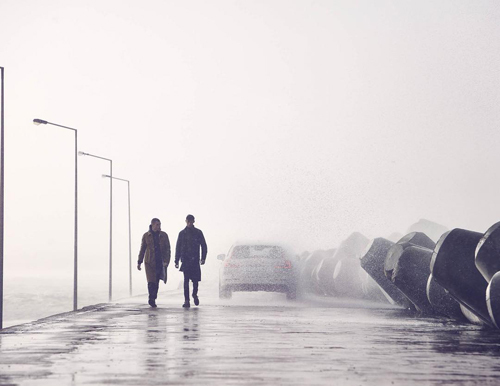 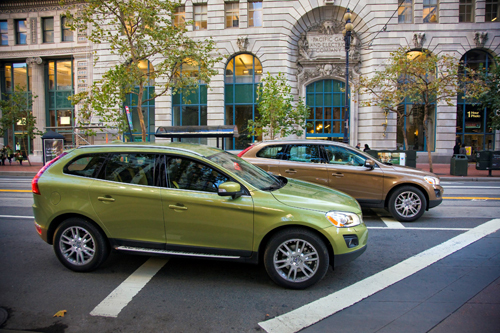 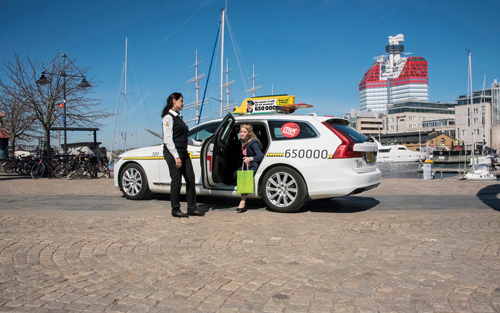 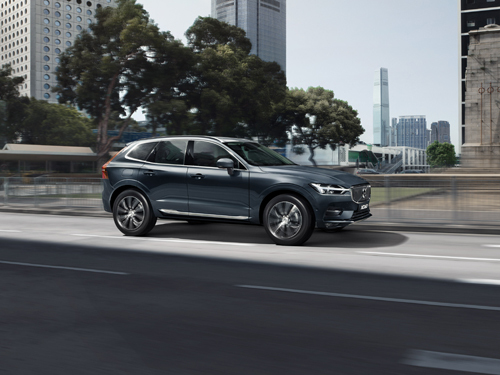 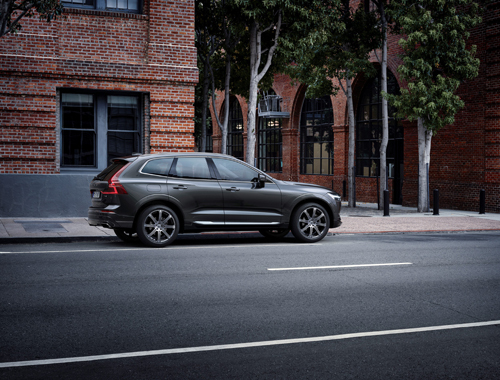 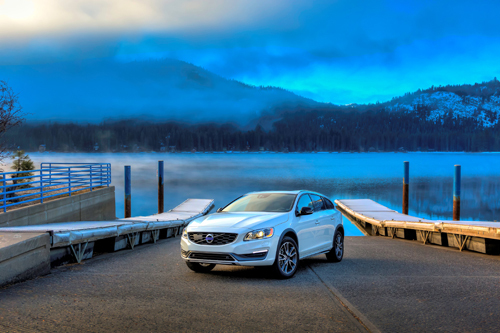 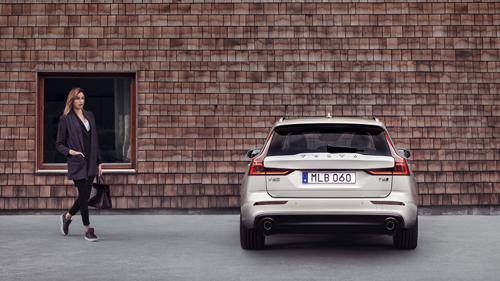 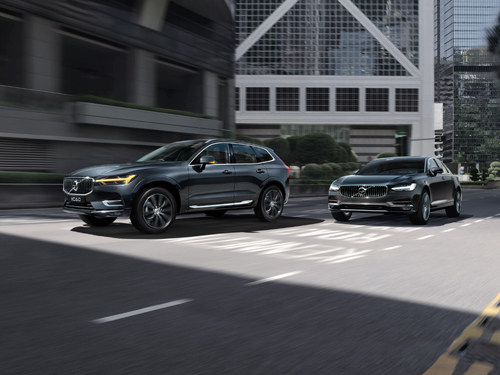 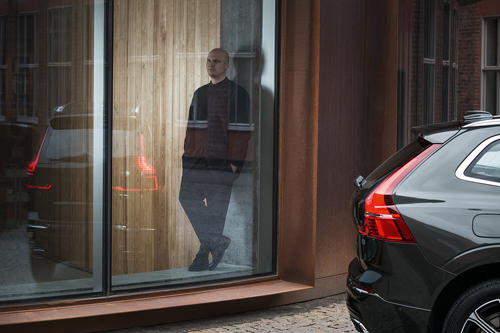 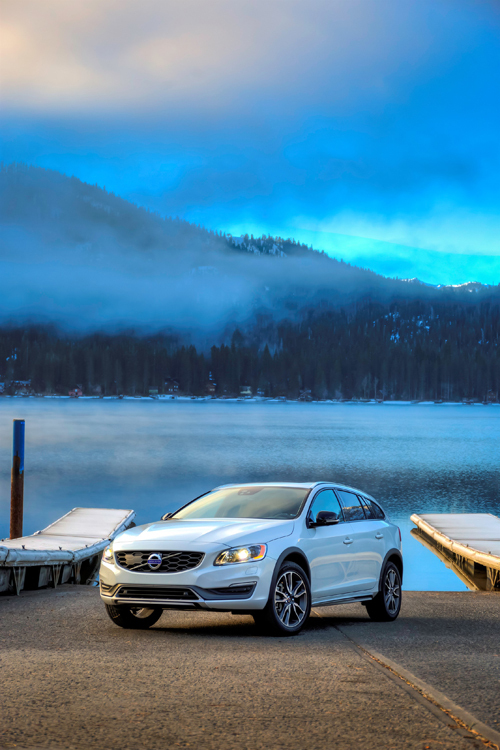 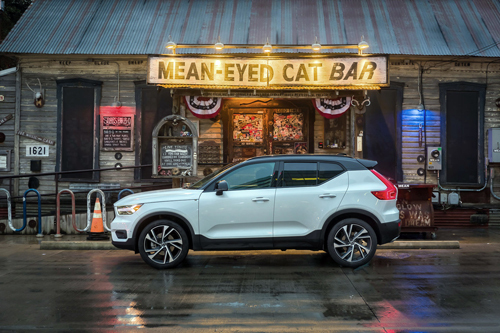 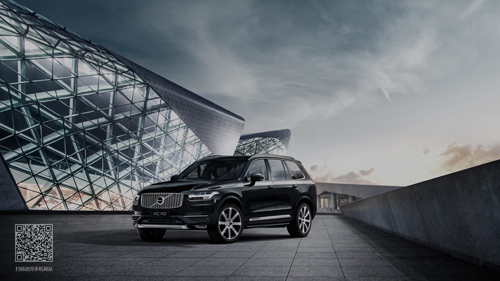 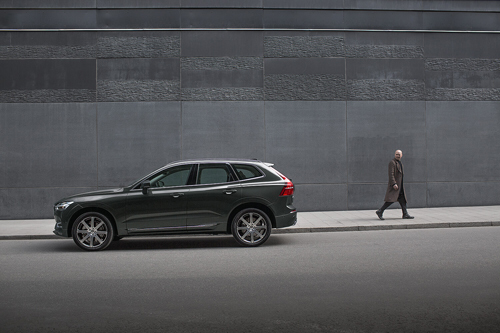 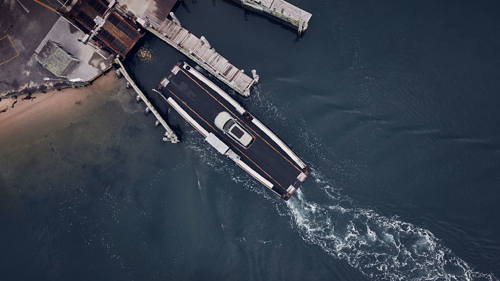 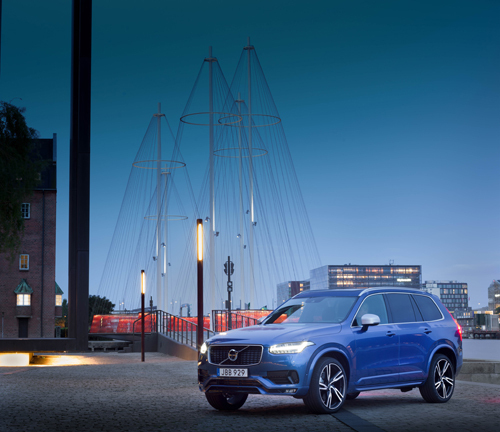 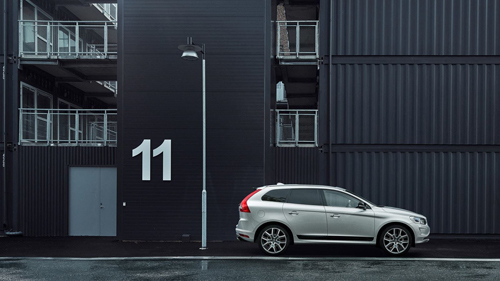 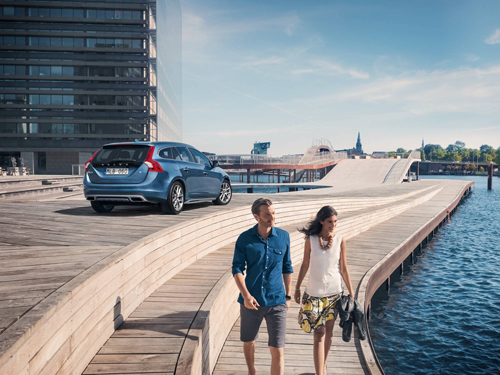 2015 – Volvo XC60 in the harbor at Tuborg Blvd. 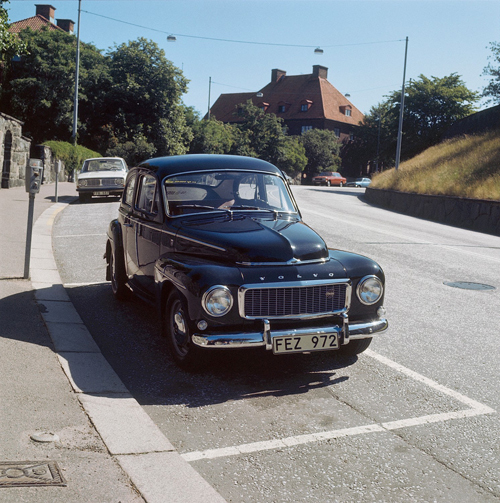 in Hellerup, north of Copenhagen. 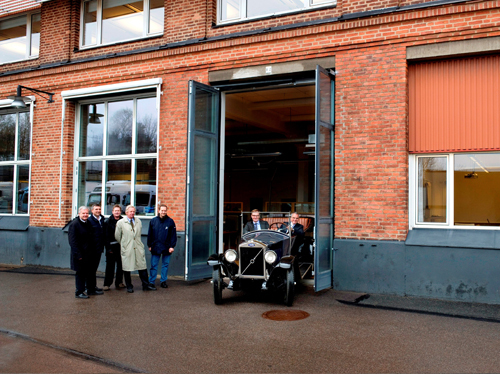 Thanks to Johan Ekström for finding this place! 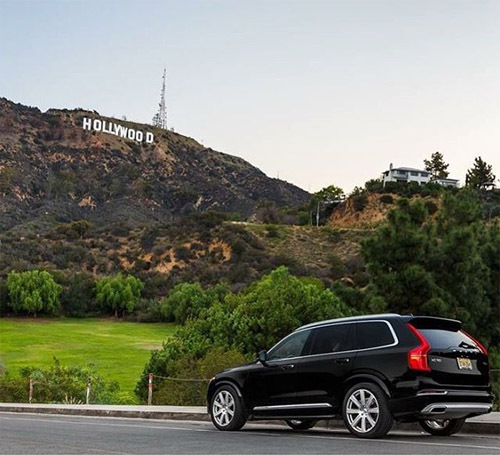 2015 – Volvo XC90 near Hollywood sign, at 3149 Canyon Lake Dr in Los Angeles, USA. 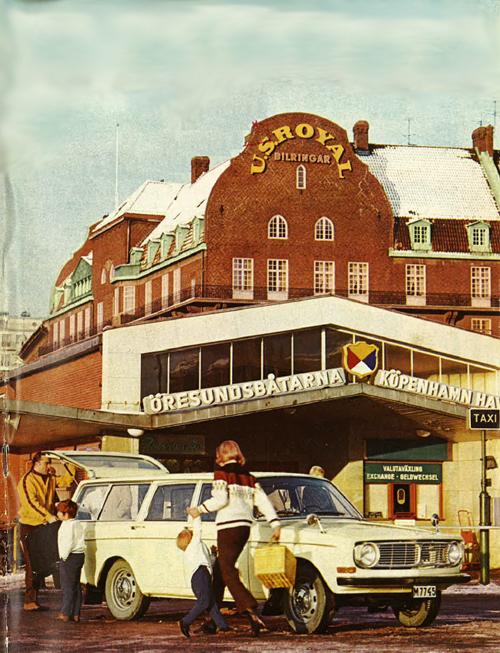 Thanks to Johan Ekström for finding this place! 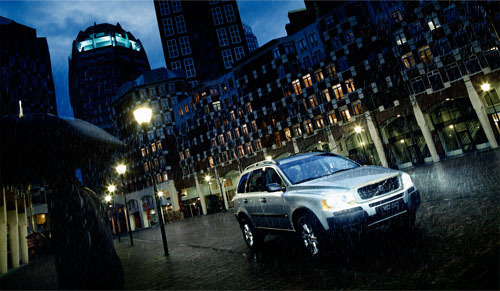 2008 – Volvo S40 Drive at Bistro Royal at Gothersgade and Kongens Nytorv in Köpenhamn or Copenhagen. 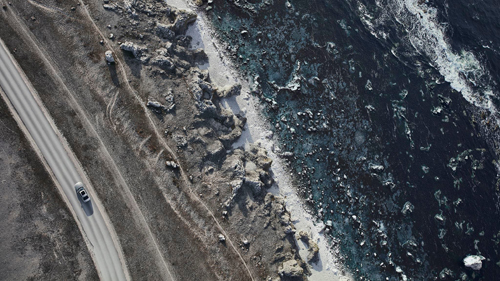 Thanks to Kåre Gundersen for finding this place! 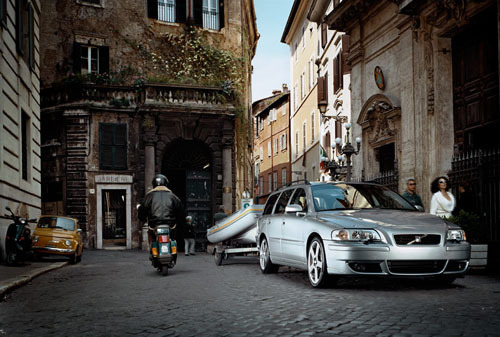 1997 – Volvo V40 at Spiaggia di Seno dell’Arena Calazza at Contrada Macari in San Vito Lo Capo, Trapani, Italy. 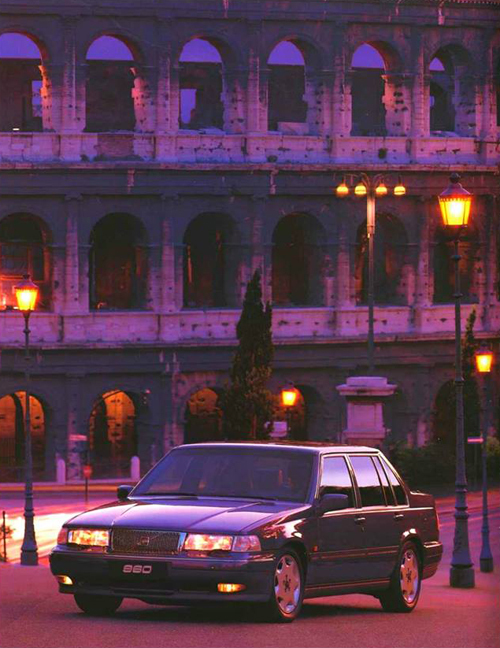 1995 – Volvo 960 at Via della Domus Aurea with view on Piazza de Colosseo and the Colosseo in Rome, Italy. 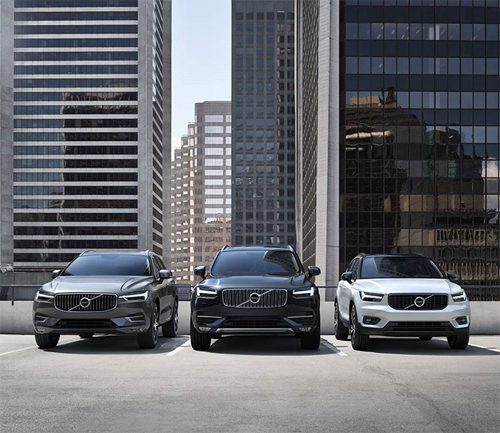 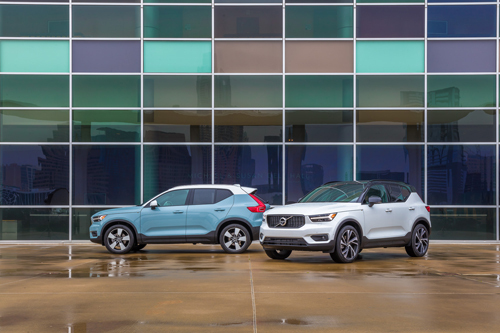 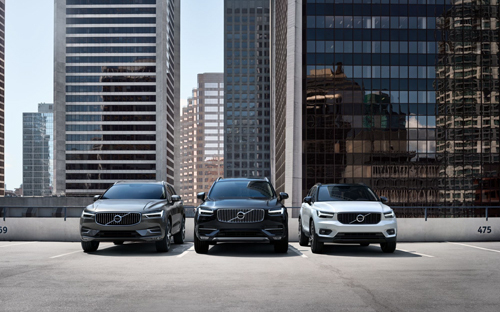 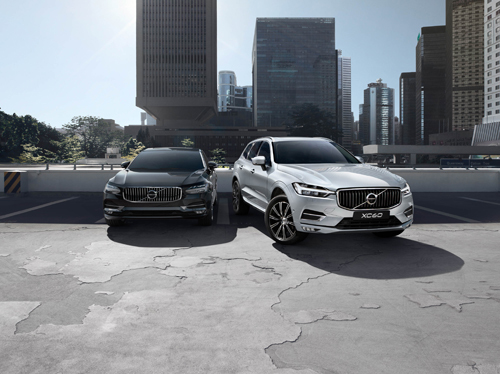 2017 – Volvo XC60, XC90 and XC40 at Bentall Centre Parking in Vancouver, Canada. 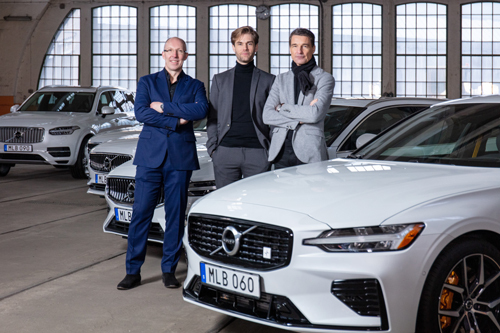 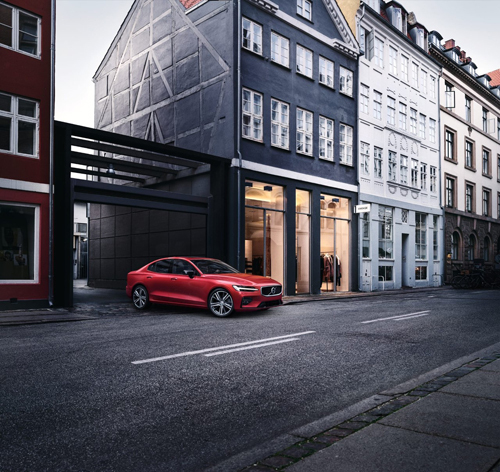 2018 – Volvo S90 at Kungliga Musikhögskolan in Stockholm on Valhallavägen on Östermalm in Stockholm, Sweden. 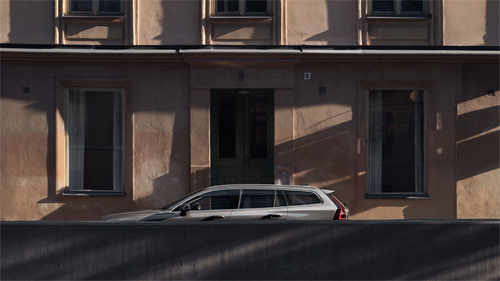 2018 – Volvo XC90 T8 at Krankajen in Malmö, Sweden. 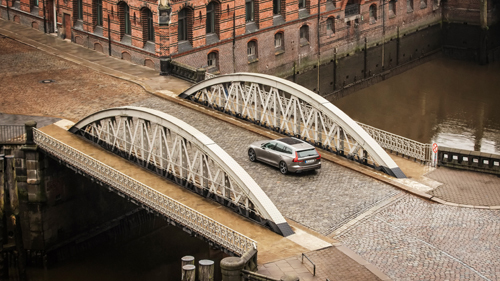 2012 – Volvo V60 D6 Plug in Hybrid on Freihafenelbbrücke in Hamburg in Germany. 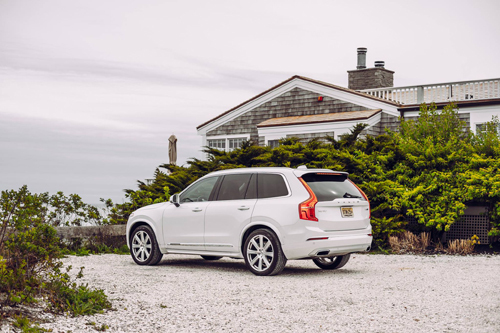 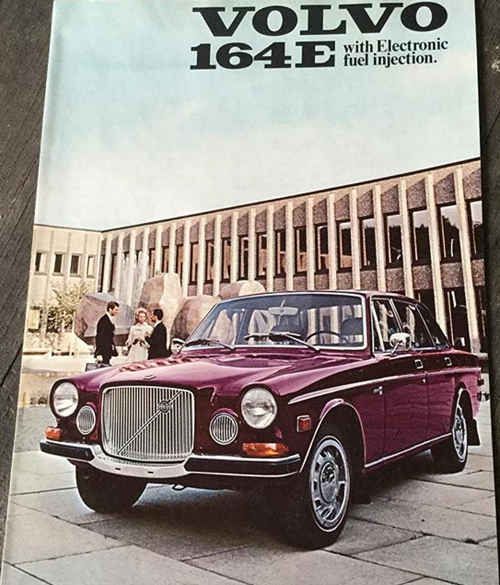 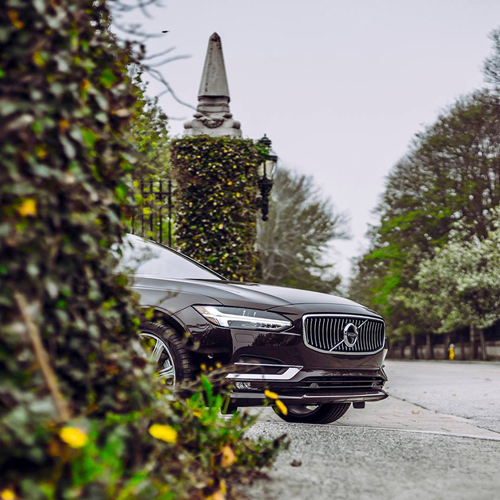 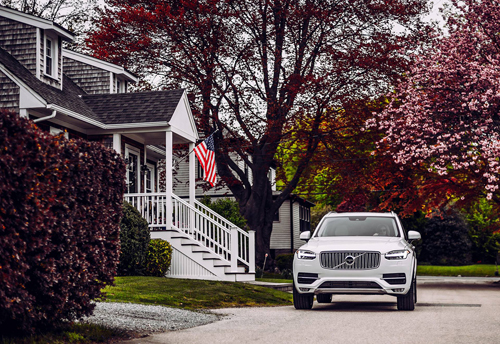 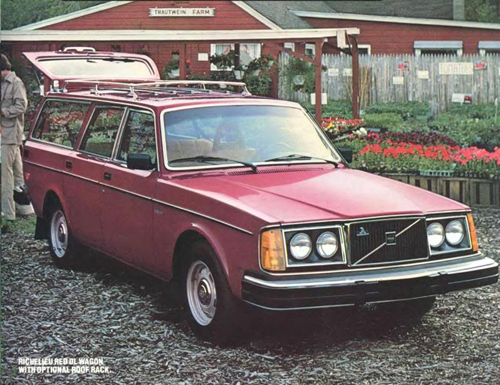 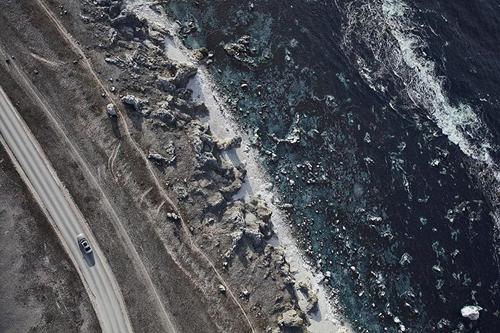 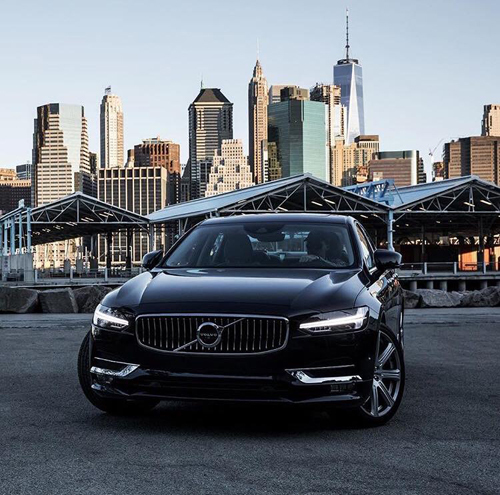 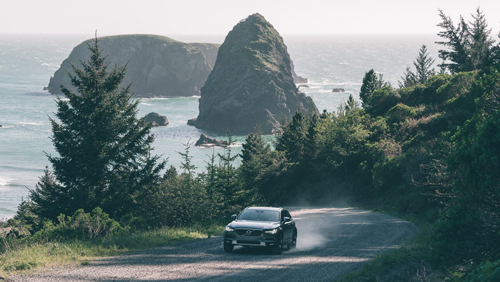 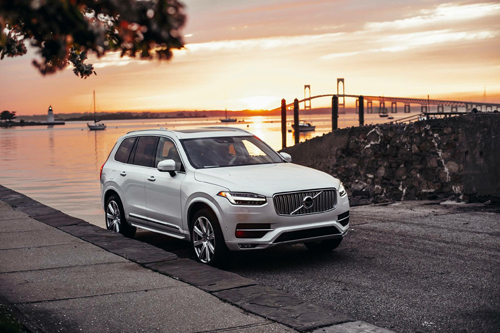 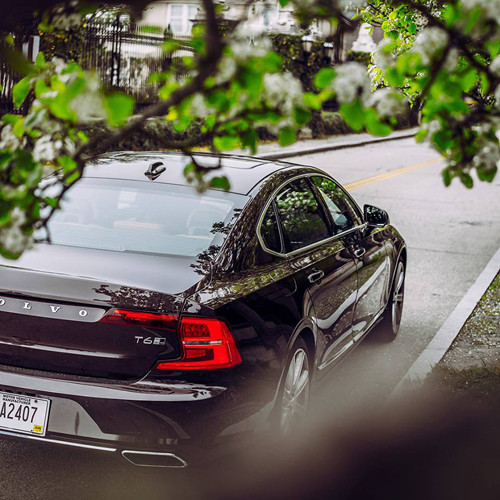 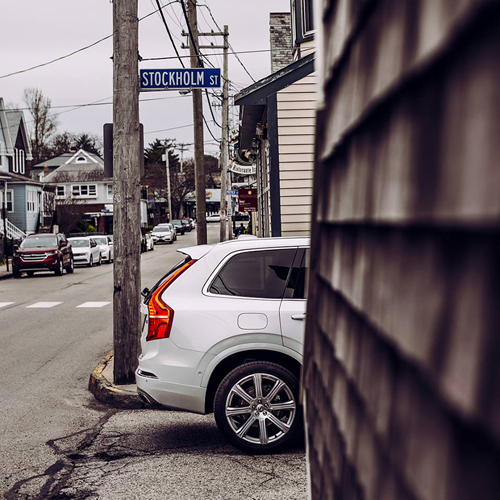 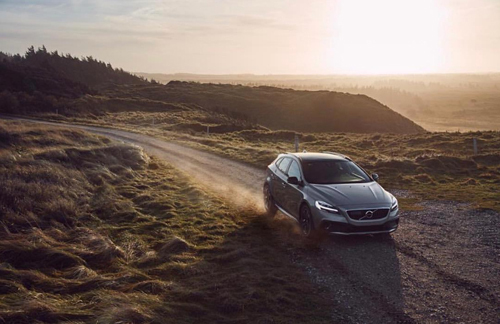 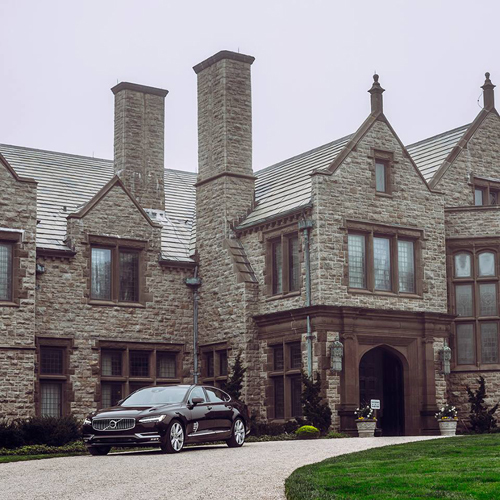 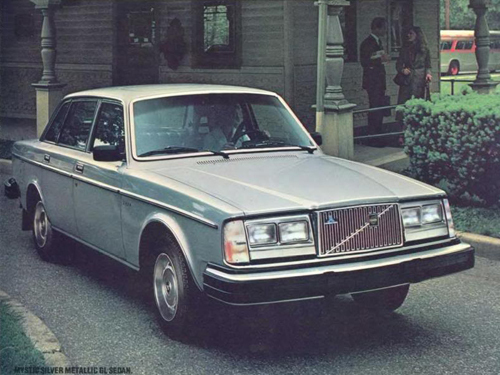 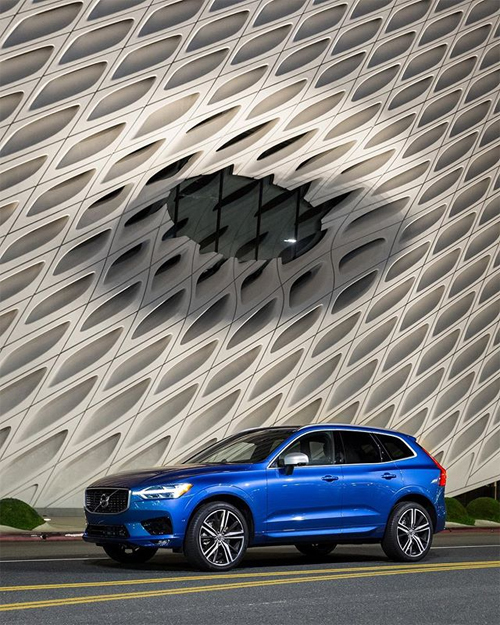 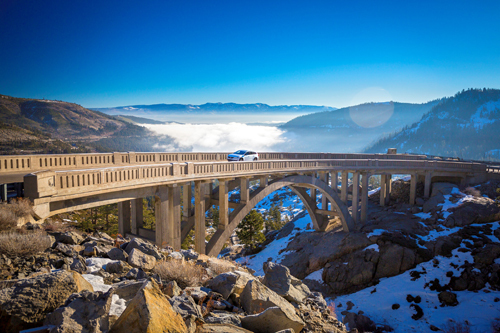 Thanks to Tom S. for finding this Volvo Photo Location! 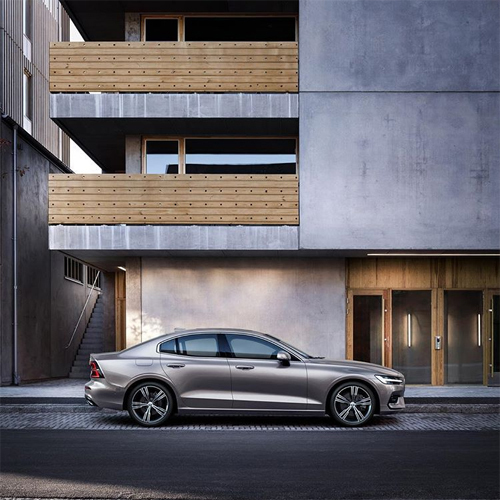 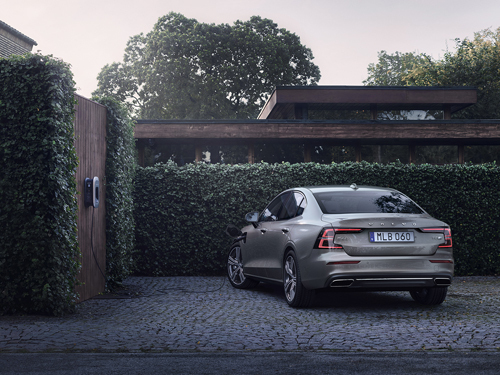 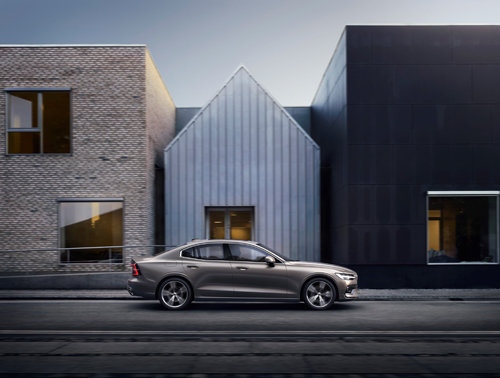 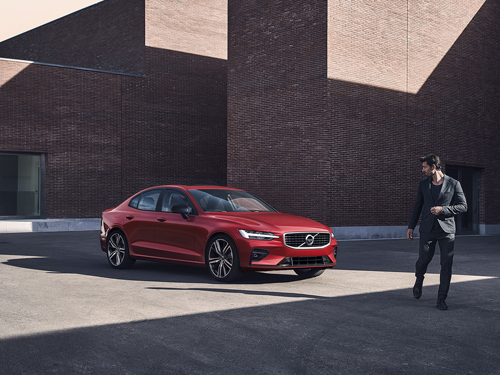 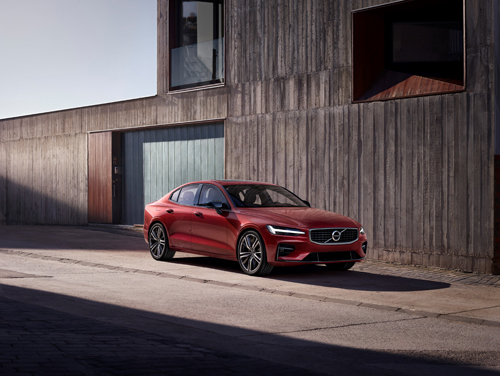 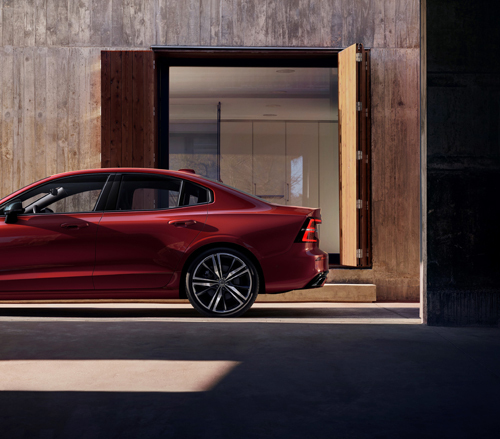 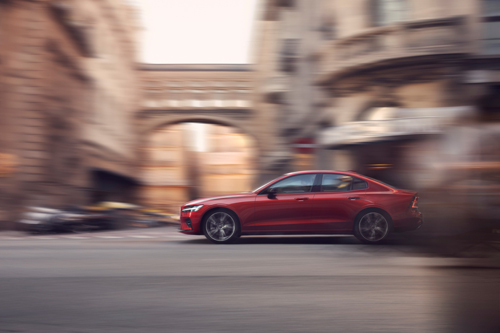 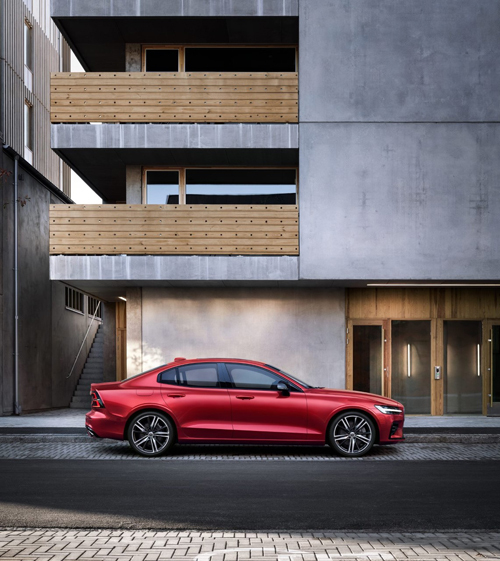 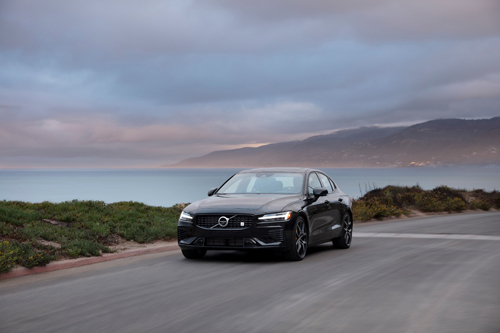 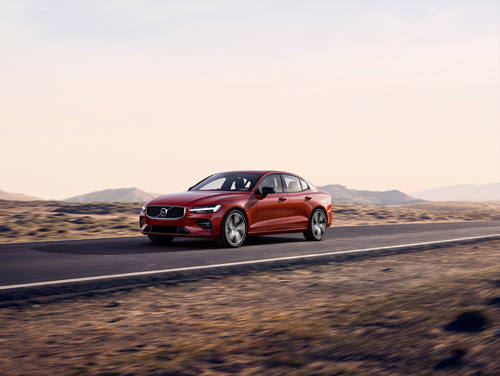 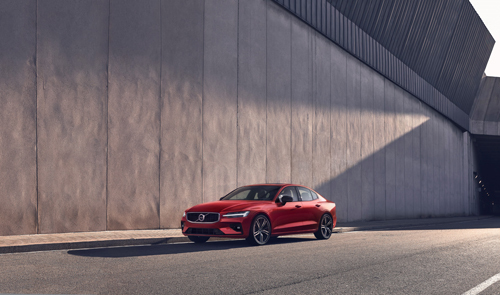 2018 – Volvo S60 at Magasinet 2 on Lärdomsgatan 12 in Vallastaden near Linköping in Sweden. 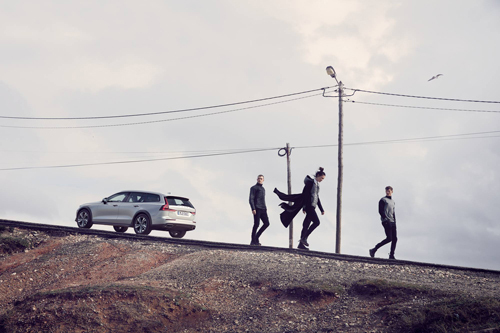 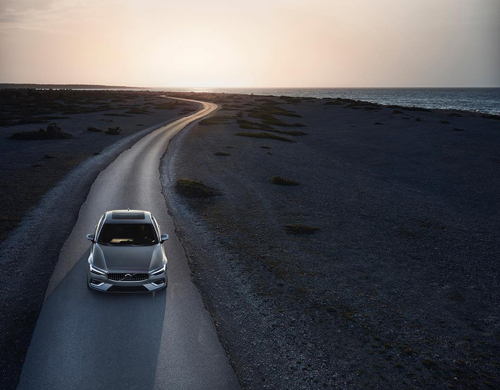 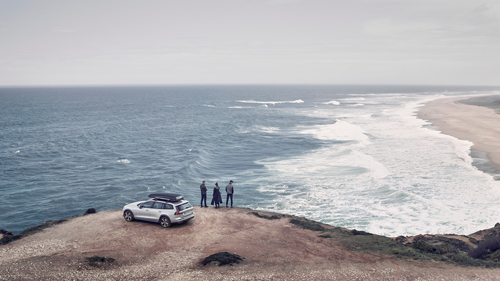 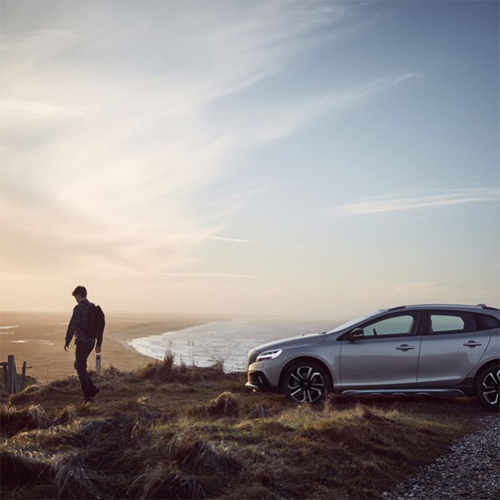 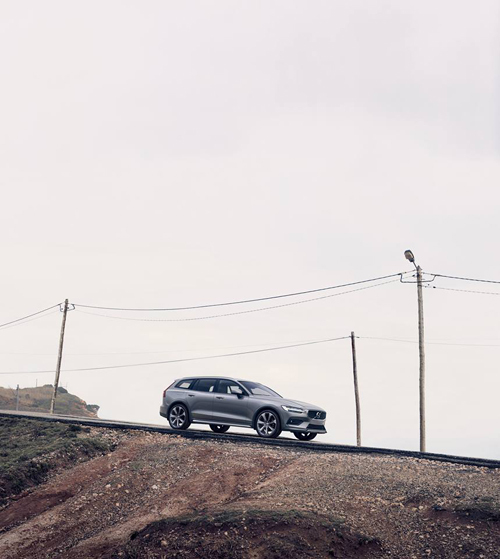 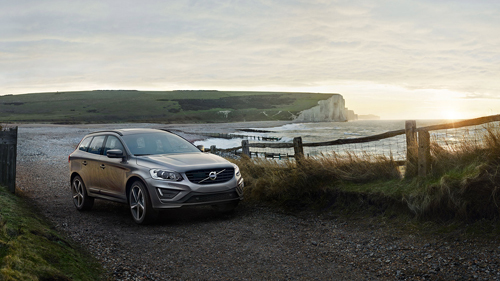 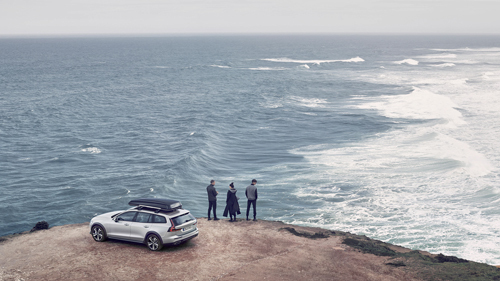 2016 – Volvo XC60, at the Seven Sisters, a series of chalk cliffs by the English Channel in East Sussex, between the towns of Seaford and Eastbourne in southern England. 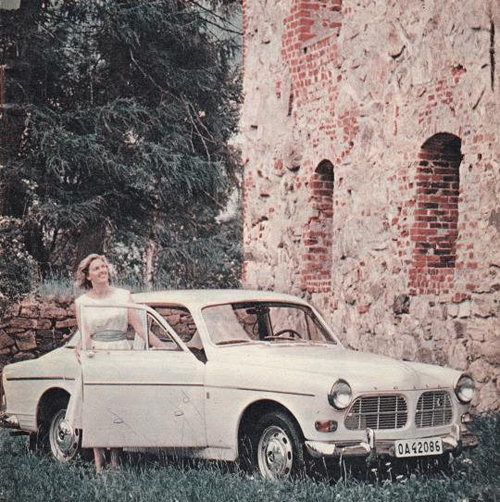 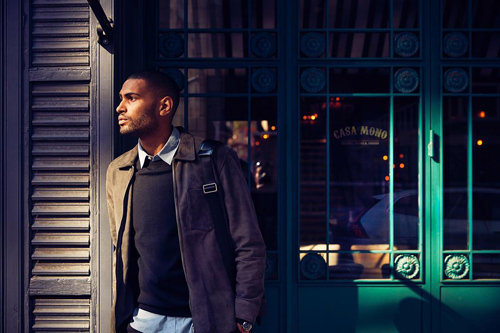 This phot was part of the Made by England campaign? 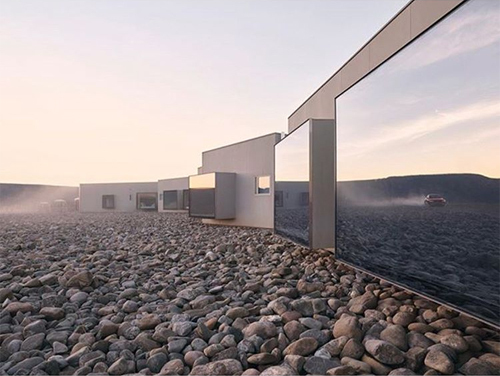 Thanks to Markus for finding this place! 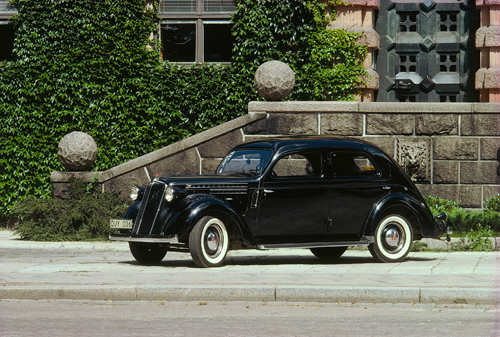 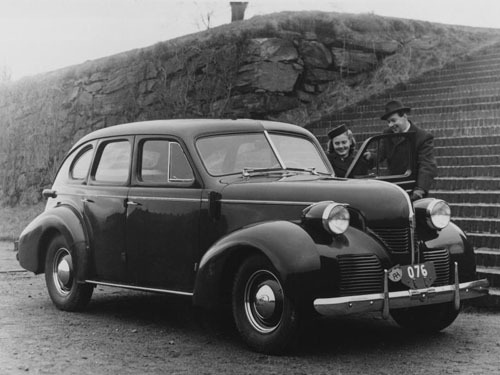 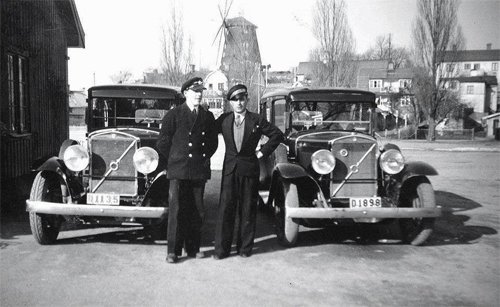 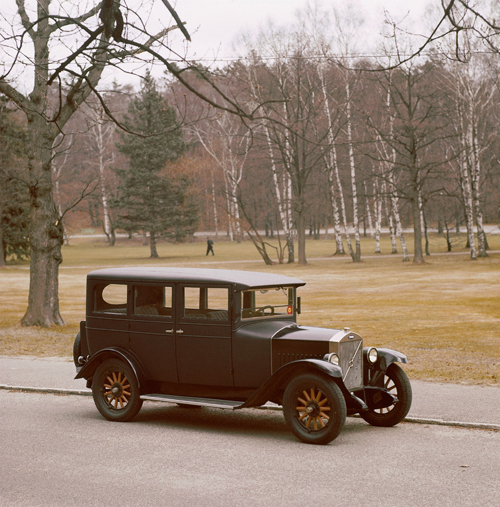 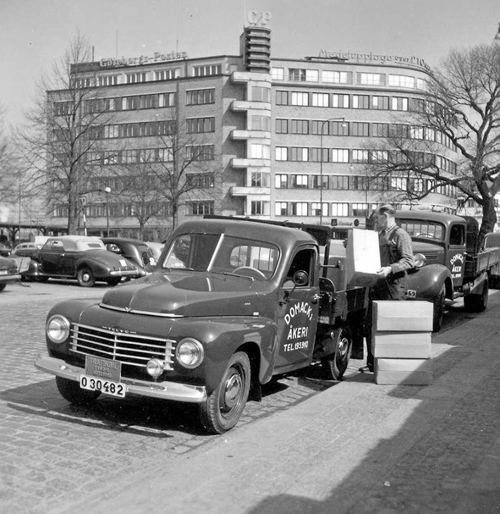 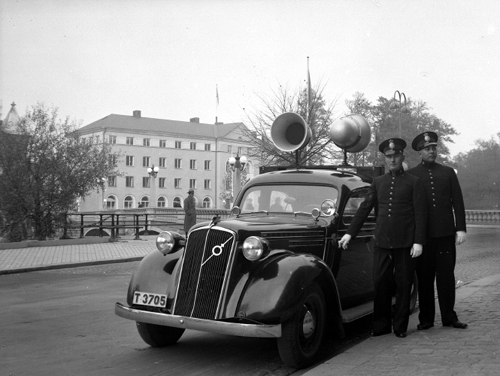 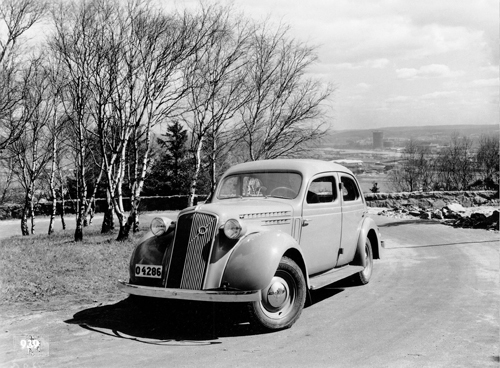 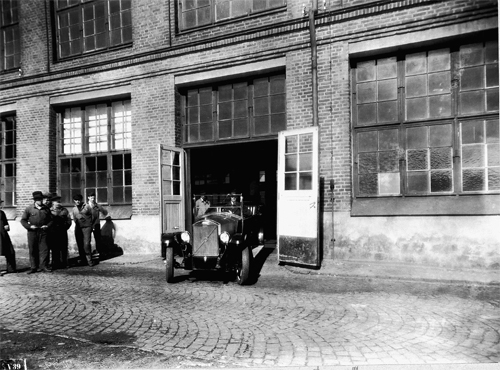 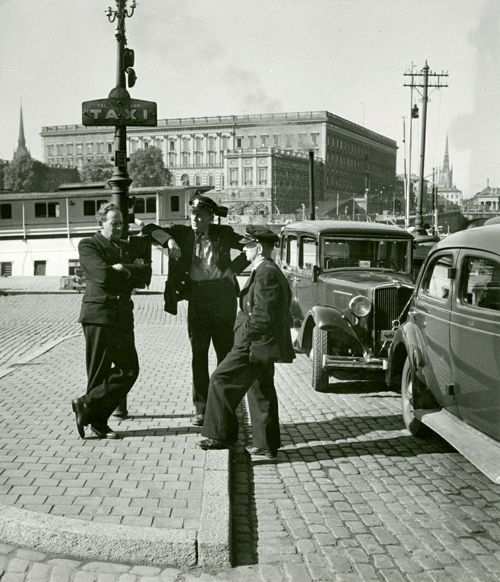 1936 – Volvo PV51 at Gamla Hovrätten (now High Court Meetings) on Malmöhusvägen in Malmö, Sweden. 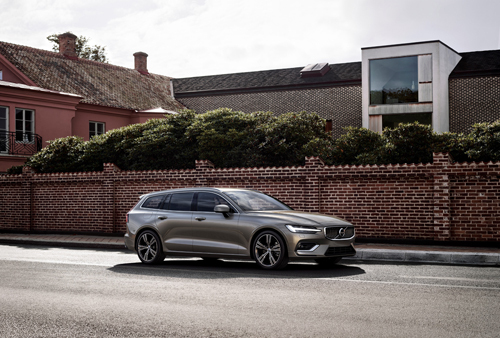 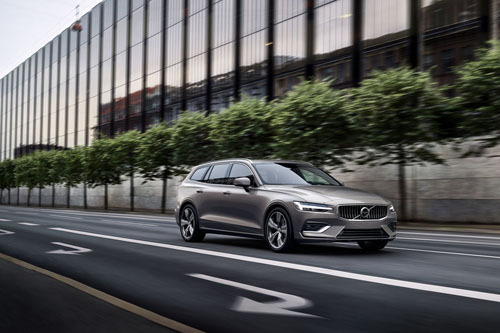 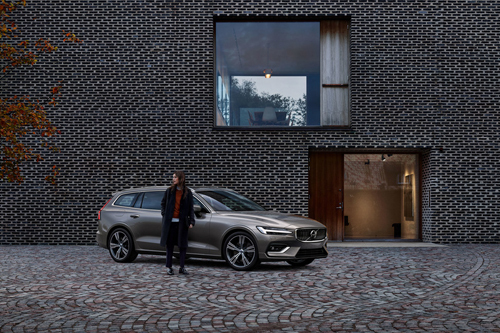 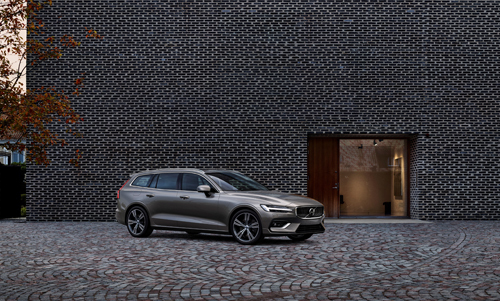 2018 – Volvo V60 at Kannengiesserort in Hamburg, Germany. 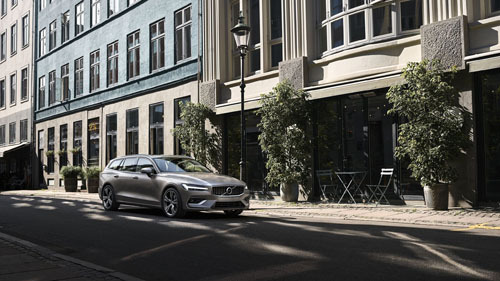 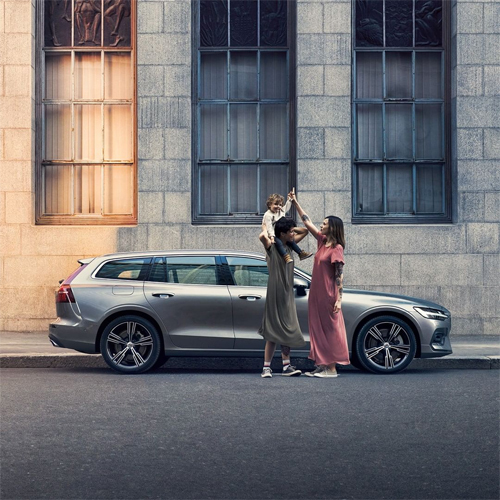 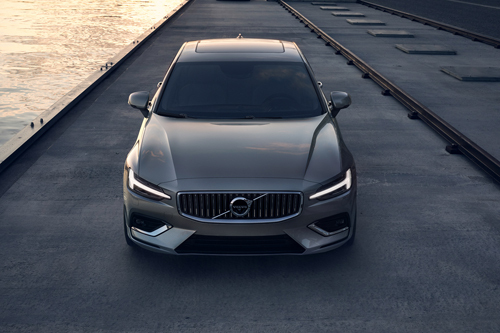 2018 – Volvo V60 at Neuerwegsbrücke in Hamburg, Germany. 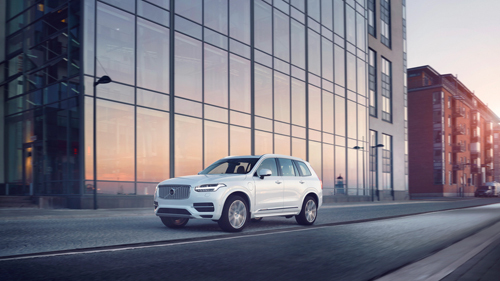 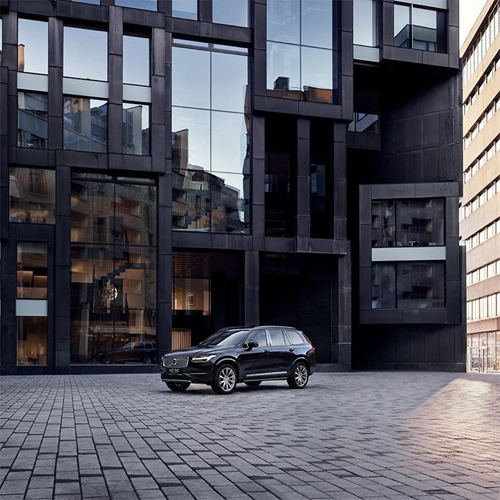 2018 – Volvo XC90 at Olav Selvaags plass on Tjuvholmen in Oslo, Norway. 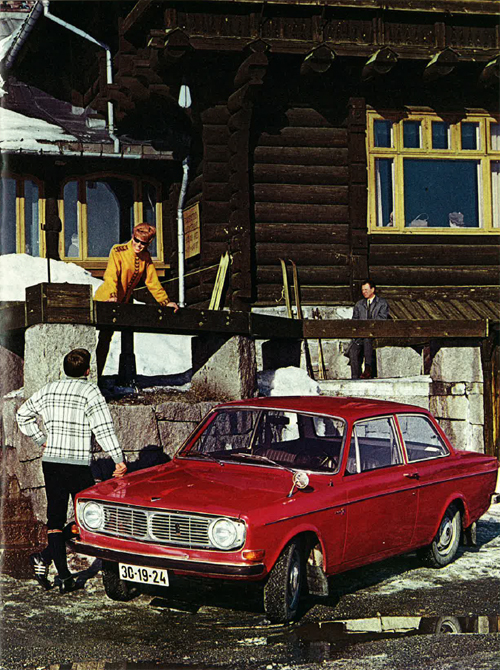 1975 – Volvo 264 DL att Trälen Restaurant on Trälen island (which was a former Volvo Summer Camp) or Lilla Fjellsholmen near Vedhall in Kungälv, Sweden. 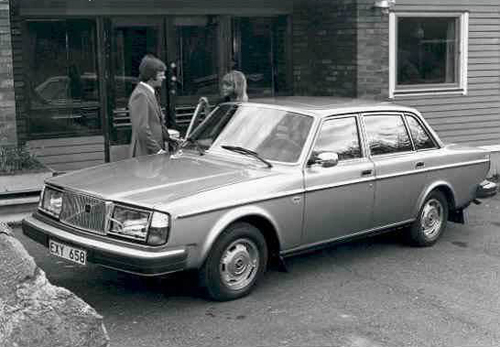 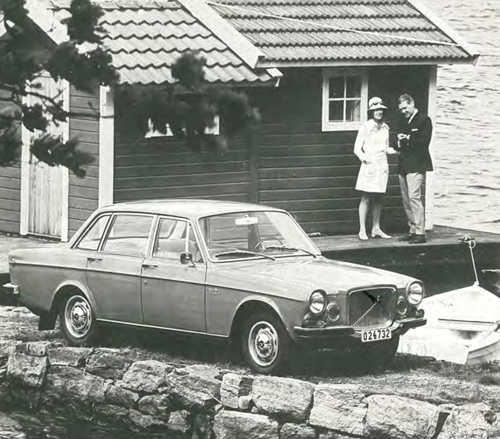 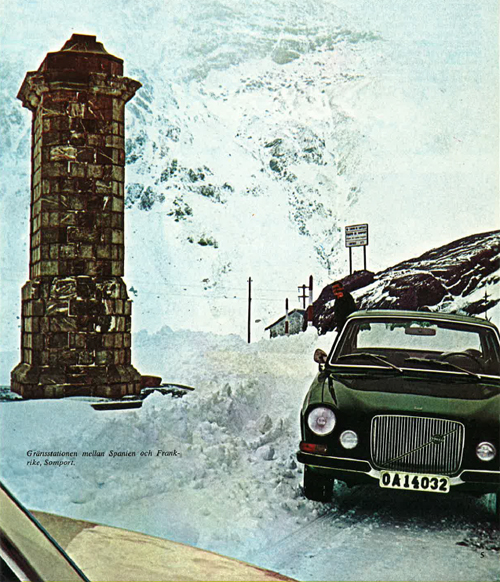 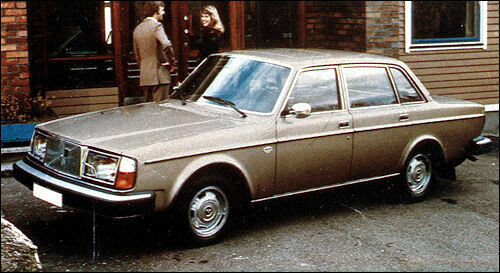 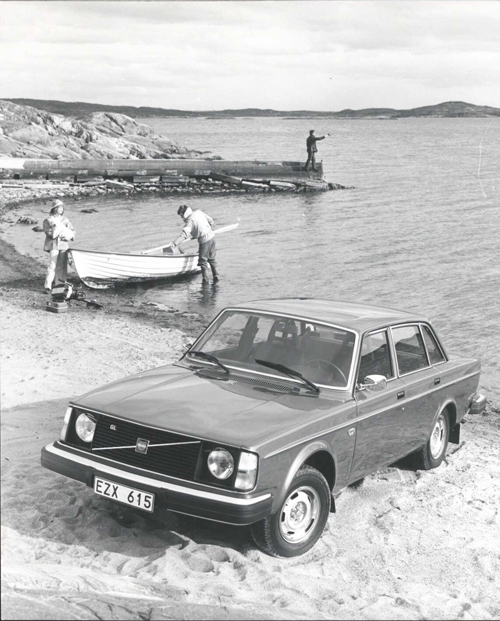 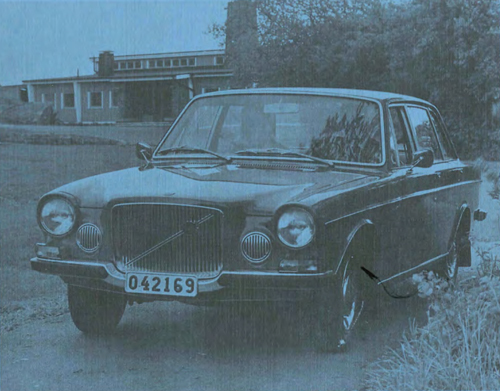 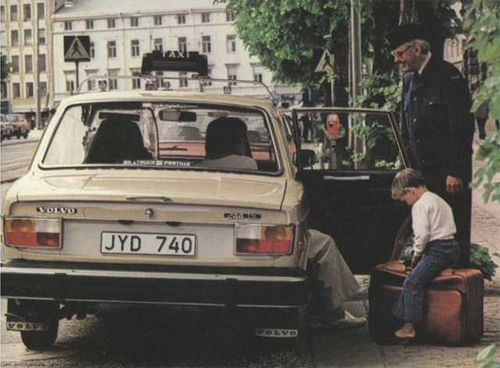 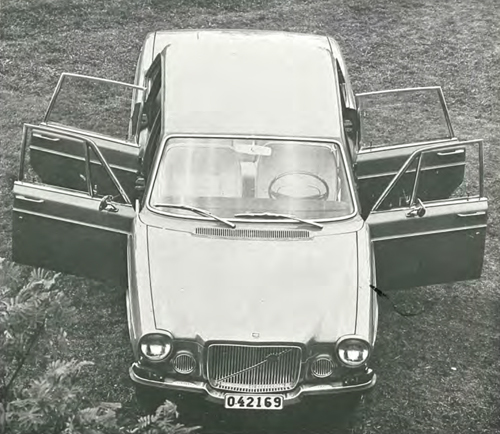 1975 – Volvo 264 at Trälen, Volvo vacation Island in Sweden. 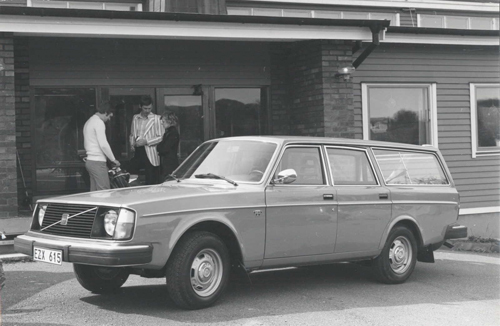 1975 – Volvo 264 GL att Trälen Restaurant on Trälen island (which was a former Volvo Summer Camp) or Lilla Fjellsholmen near Vedhall in Kungälv, Sweden. 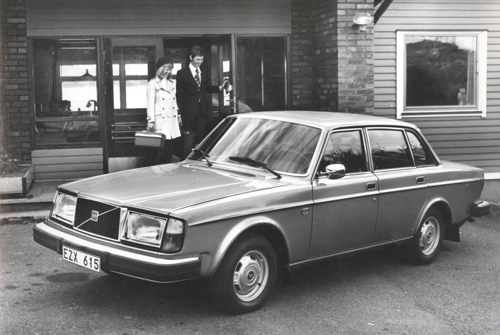 1975 – Volvo 245 at Trälen Restaurant on Trälen island (which was a former Volvo Summer Camp) or Lilla Fjellsholmen near Vedhall in Kungälv, Sweden. 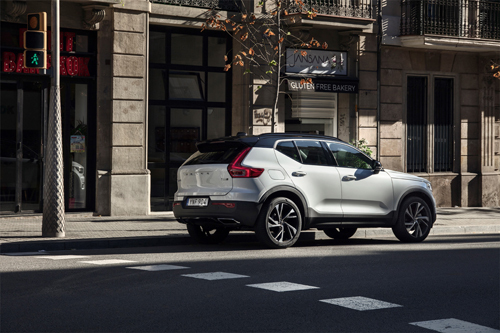 2017 – Volvo XC40 at Casa Migdia on Carrer Migdia in Granollers, outside Barcelona, Spain. 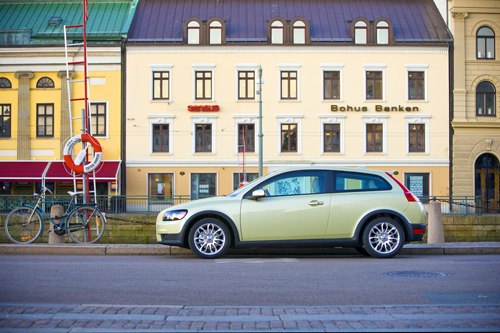 2018 – Volvo XC60 T8 Twin Engine AWD at Sockerbruket at Banehagsgatan in Majorna in Göteborg, Sweden. 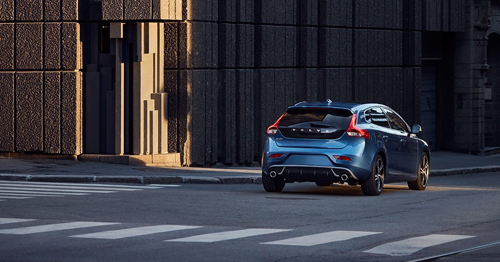 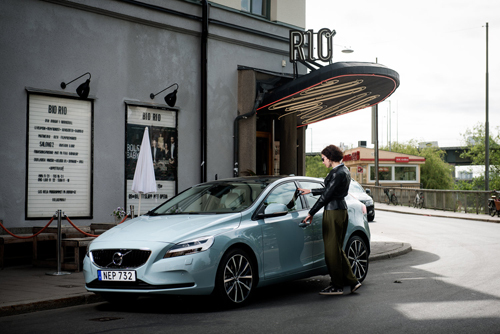 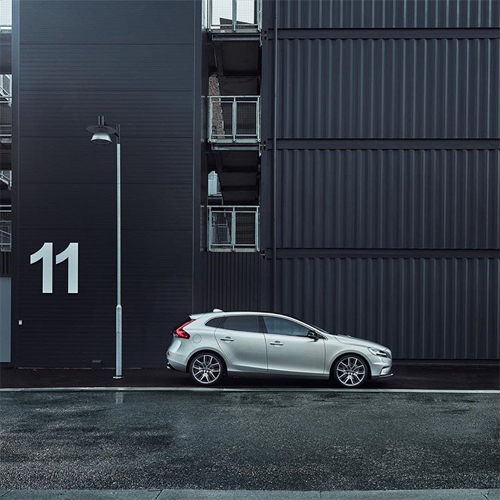 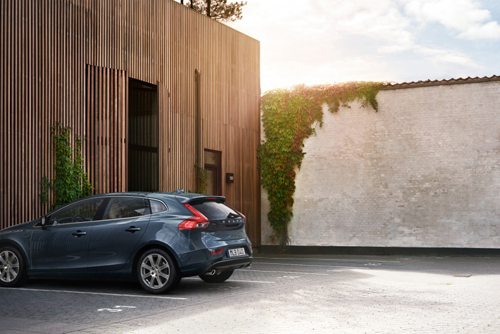 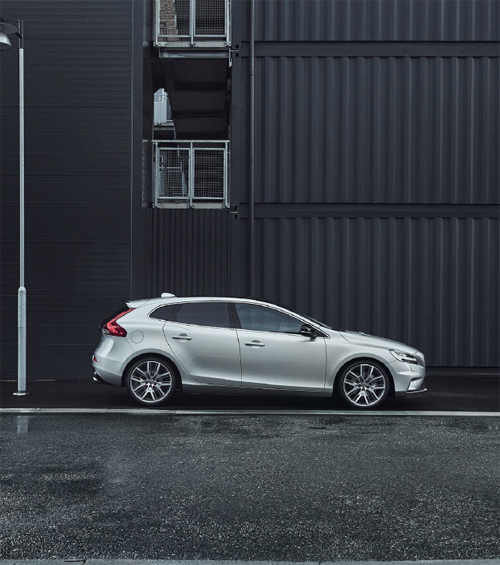 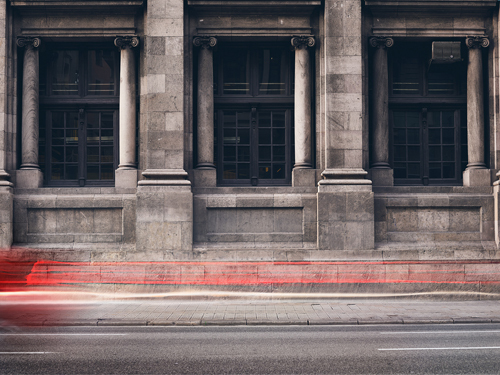 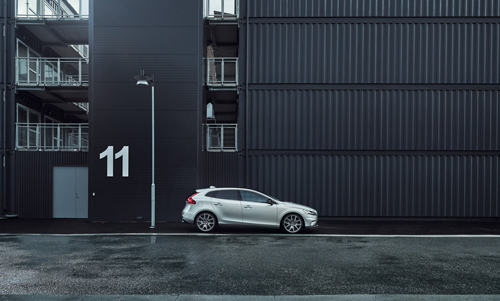 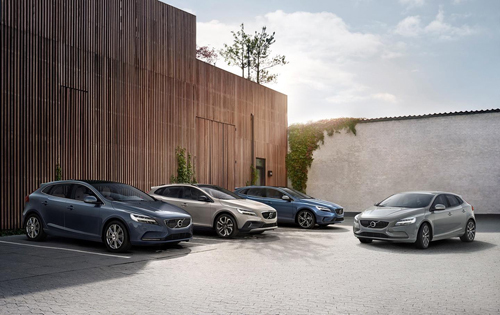 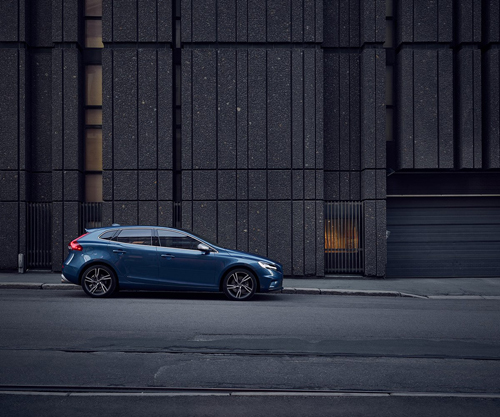 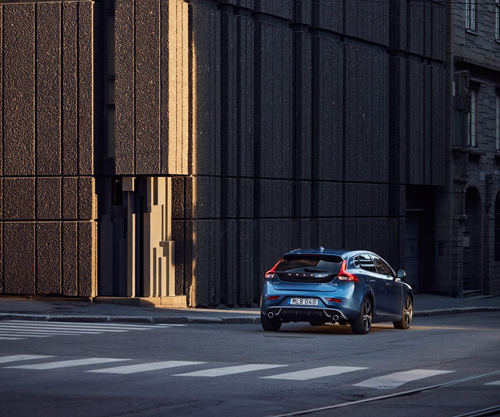 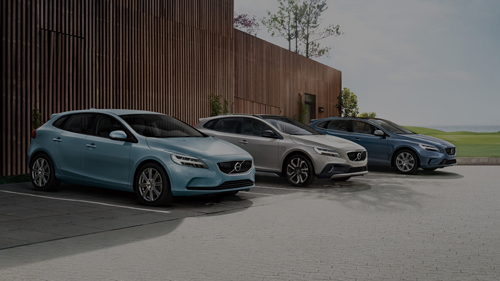 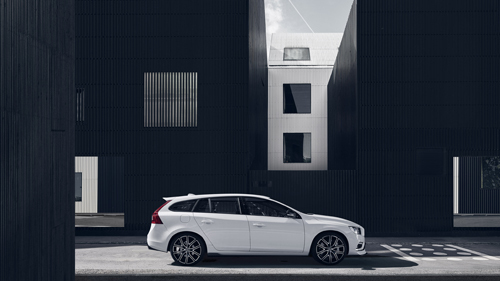 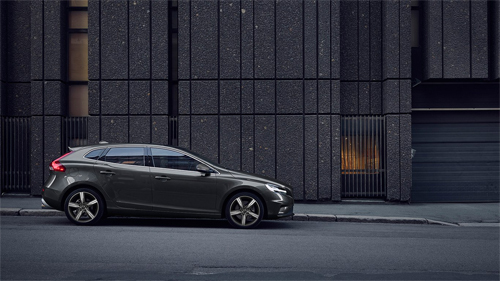 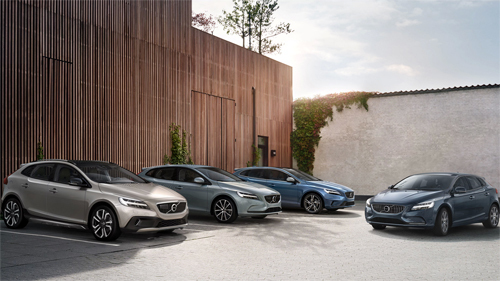 2017 – Volvo V40 R-Design at the corner of Nedre Slottsgate and Tollbugata in Oslo, Norway. 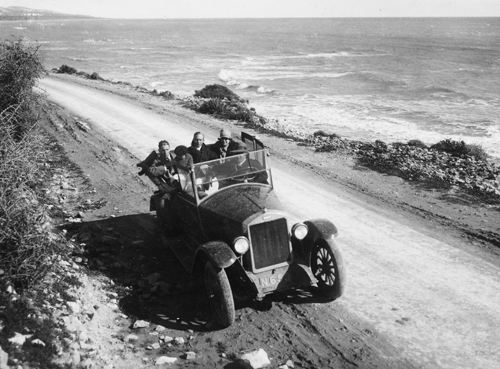 1928 – Volvo ÖV4 on B1 road to Limassol at Amathus in Agios Tychos, Cyprus. 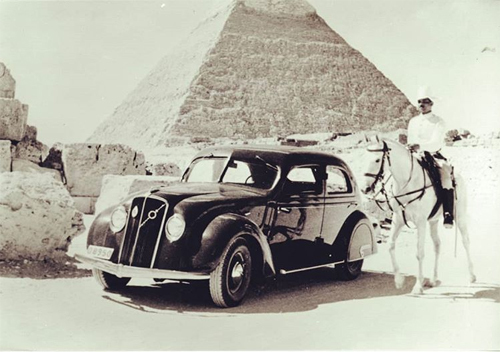 1936 – Volvo PV36 Carioca at the pyramids of Giza at Al Haram, Nazlet El-Semman, Al Haram, Giza Governorate, Egypt. 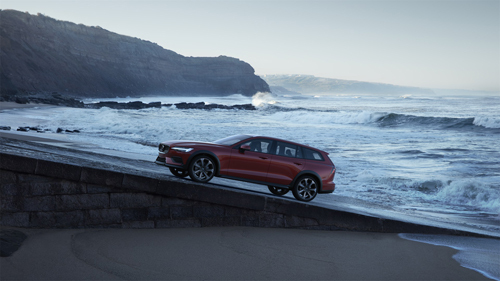 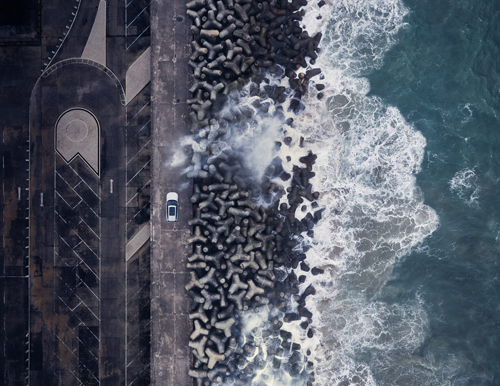 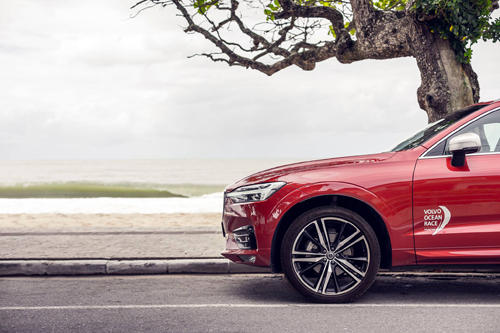 2018 – Volvo XC60 R-Design at Volvo Ocean Race on R. Juvêncio Taváres D’amaral, 21 in Itajai, Brazil. 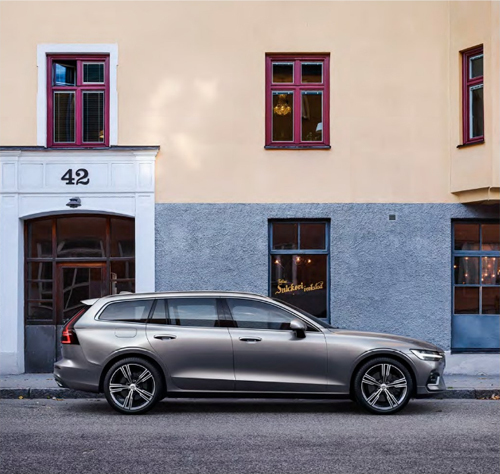 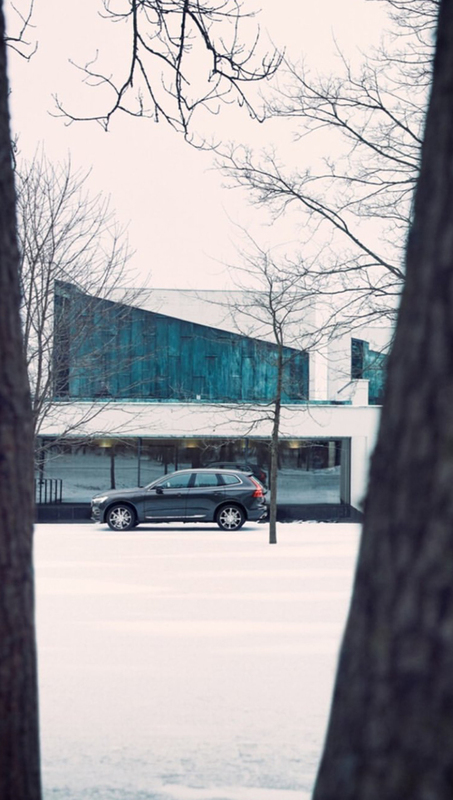 2018 – Volvo V60 T6 AWD Inscription at Lindéngruppen AB HQ at Bruksgården on Prins Carlsgatan in Höganäs, Skåne, Sweden. 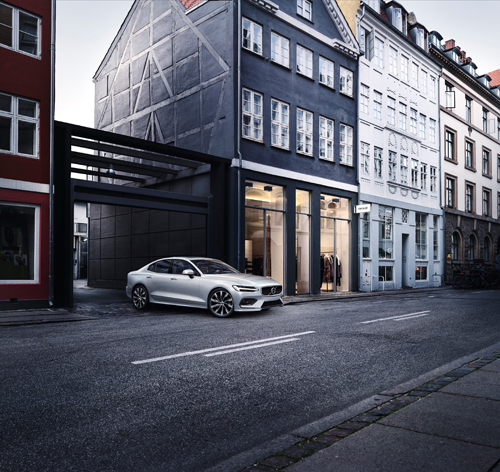 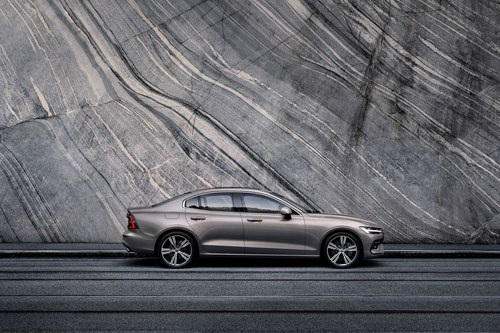 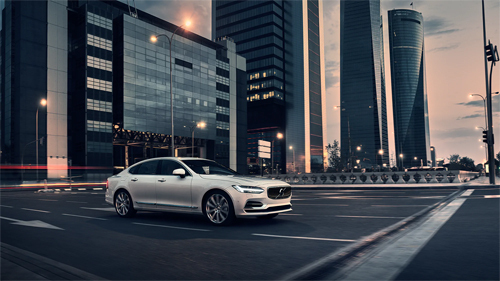 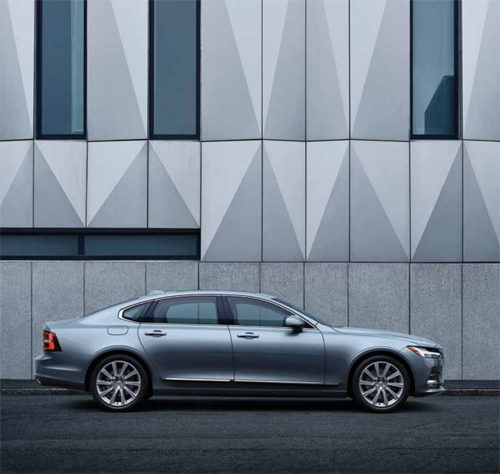 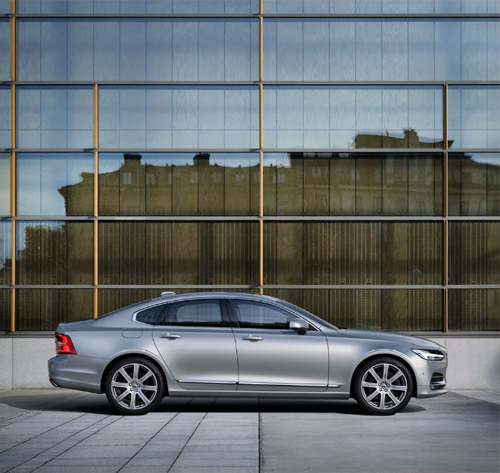 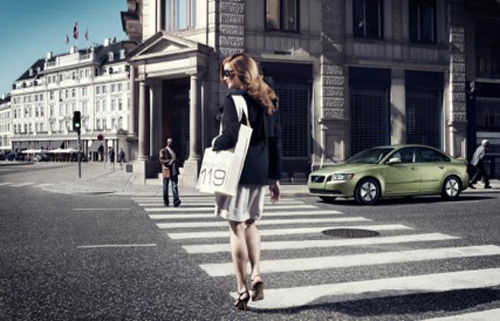 2017 – Volvo S90 at Jönköpings Tingsrätt on Hamngatan in Jönköping. 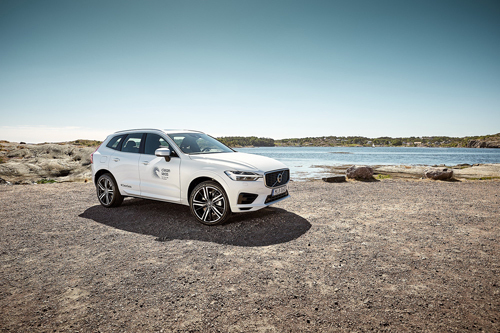 2017 – Volvo XC60 at Årstaängsvägen at Årstaviken in Liljeholmen in Stockholm, Sweden. 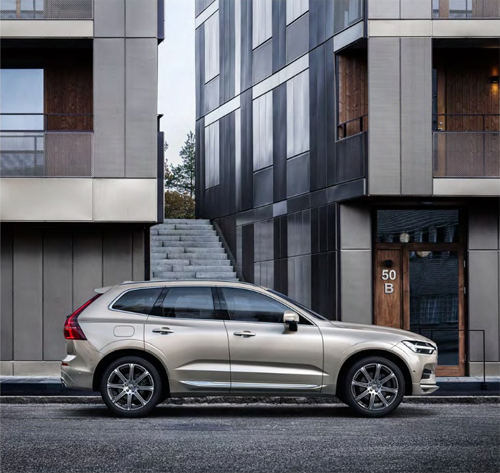 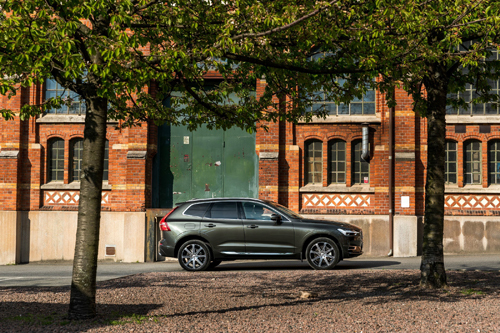 2017 – Volvo XC60 at Stora Bryggeriet or Octapharma Brewery on Lars Forssells gatan and Franzéngatan on Kungsholmen in Stockholm, Sweden. 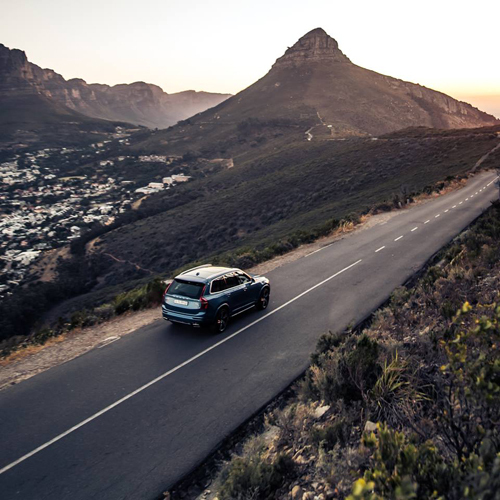 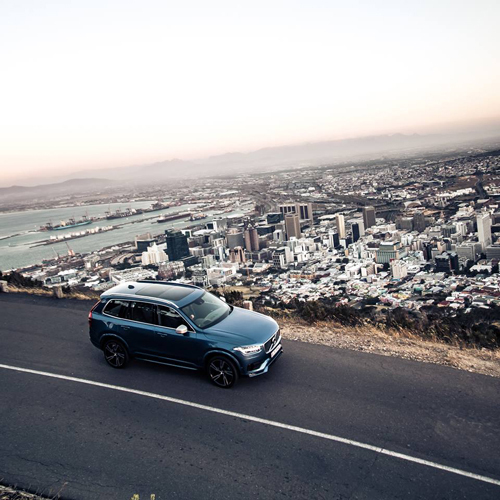 2017 – Volvo XC90 R-Design on Signal Hill Road in Cape Town, South Africa. 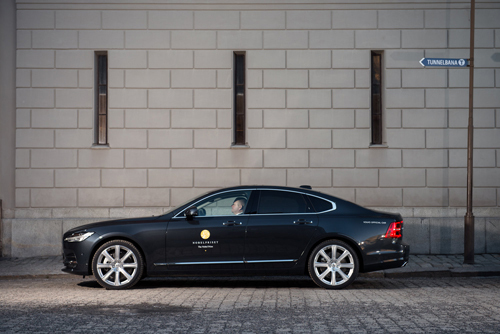 2016 – Volvo S90 at Högvaktsterrassen on Gamla Stan in Stockholm. 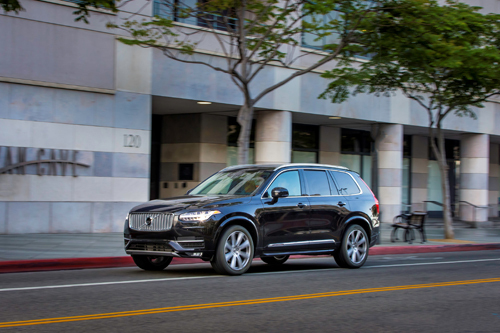 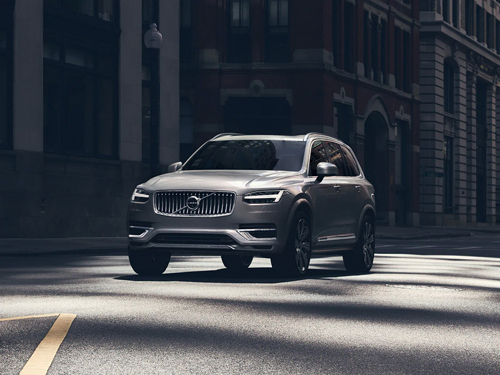 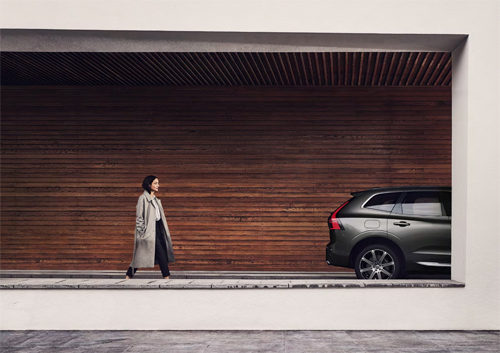 2016 – Volvo XC90 at Bryan Cave on 120 Broadway in Santa Monica, USA. 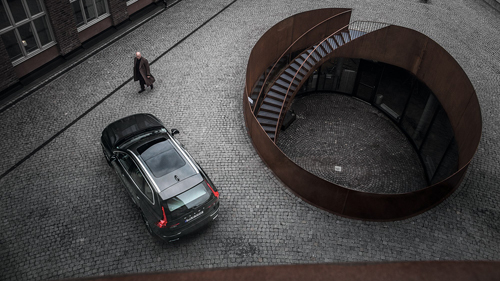 2016 – Volvo XC90 at No.2 Bistro & Bar on Nicolai Eigtveds Gade in København / Copenhagen, Denmark. 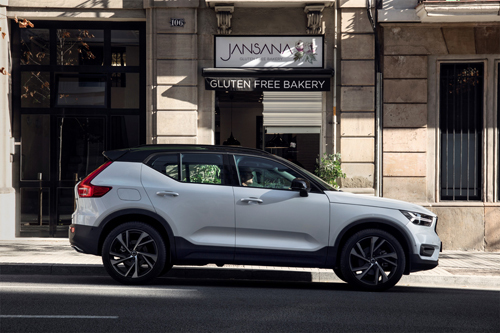 2017 – Volvo XC40 at Pastisseria Jansana Gluten Free on Carrer de Balmes 106 in Barcelona, Spain. 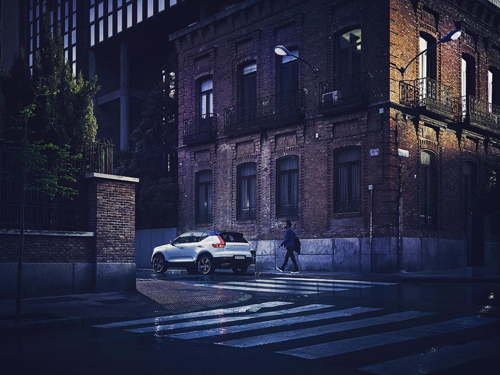 2017 – Volvo XC40 at Llop on Carrer del Carme 42 in Barcelona, Spain. 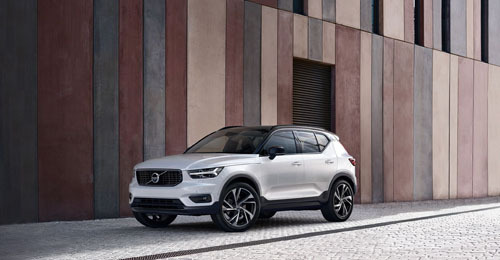 2017 – Volvo XC40 at Silom Spa on Carrer de València 304 in Barcelona, Spain. 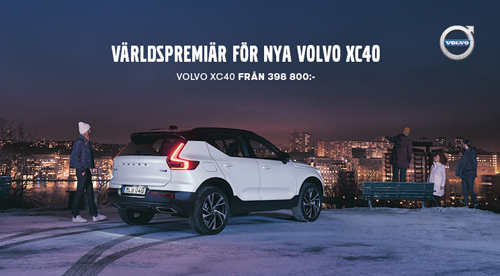 2017 – Volvo XC40 at Av. 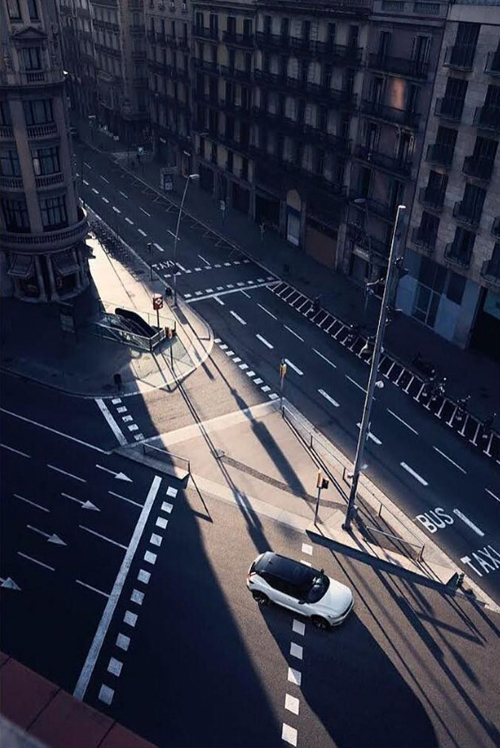 del Litoral near Parc del Fòrum in Barcelona, Spain. 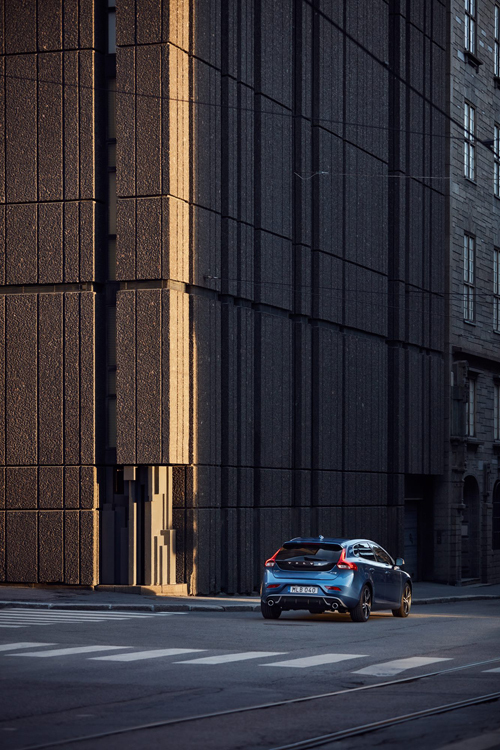 2017 – Volvo XC40 at Parròquia del Patriarca Abraham on Carrer del Bisbe Climent in Barcelona, Spain. 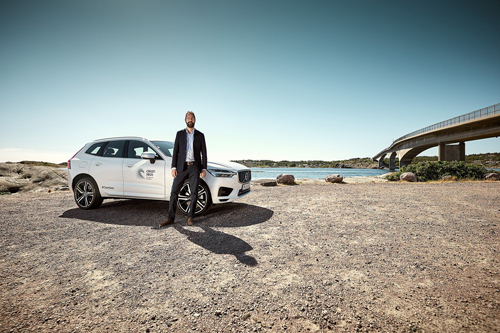 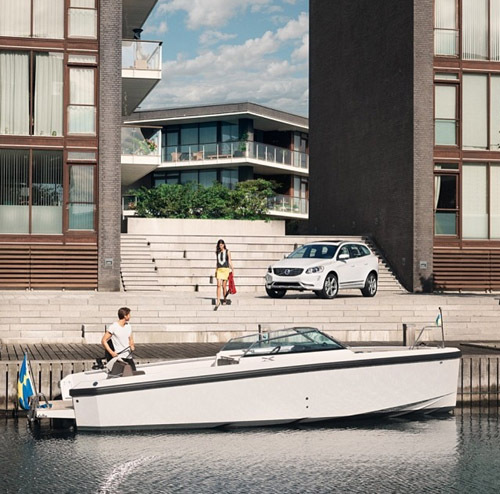 2017 – Volvo V90 Cross Country Volvo Ocean Race at North Harbour on Laivastokatu Marina in Helsinki, Finland. 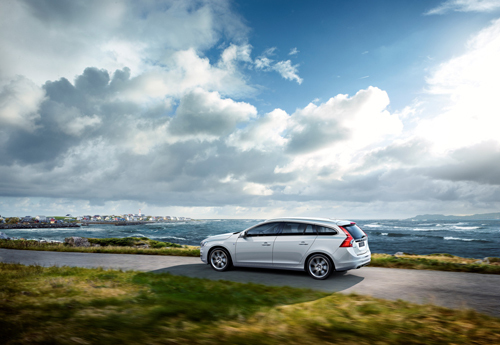 2014 – Volvo V60 Ocean Race Edition at Fv127 near Hestevika in Alnes in Godøya, Norway. 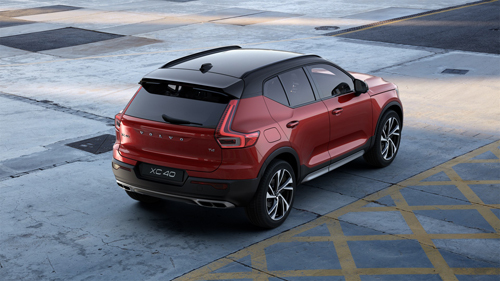 2017 – Volvo XC40 at Plaça Montserrat on Carrer de Montserrat in Manresa, Catalonia, Spain. 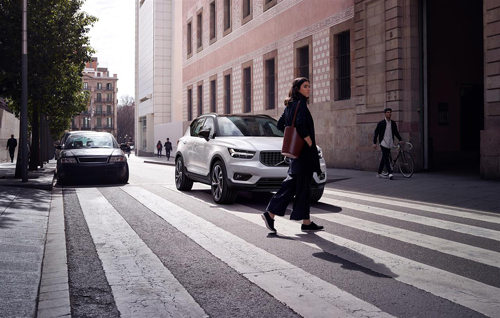 2017 – Volvo XC40 at Diagonal 197 on Avinguda Diagonal in Barcelona, Catalonia, Spain. 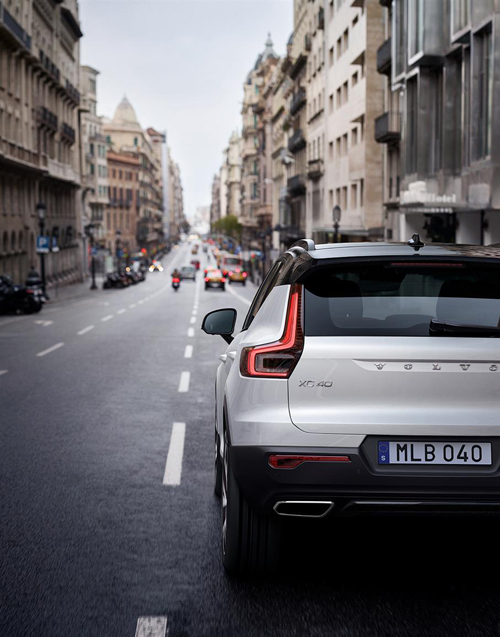 2017 – Volvo XC40 on 94 Carrer dels Almogàvers in Barcelona, Spain. 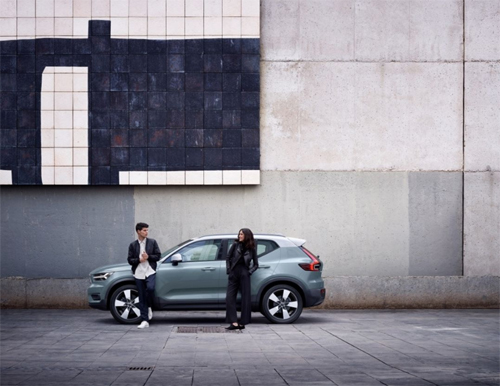 2017 – Volvo XC40 at CCCB Centre de Cultura Contemporània de Barcelona on 4 Carrer de Montalegre in Barcelona, Spain. 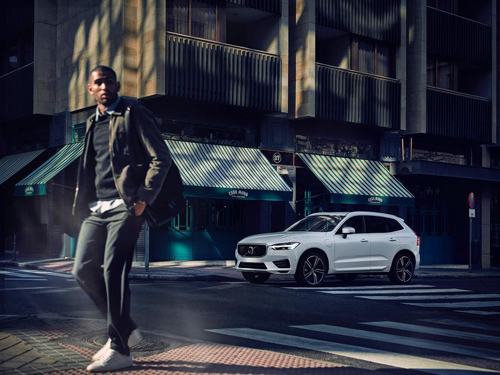 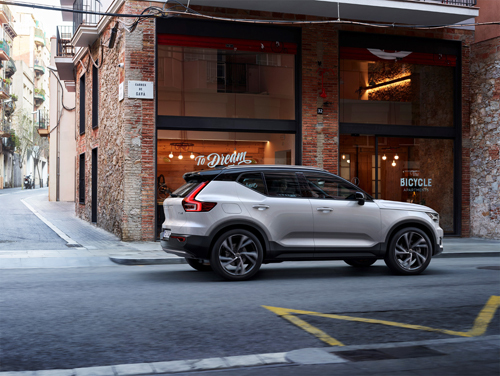 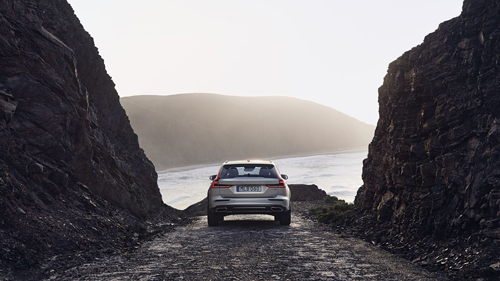 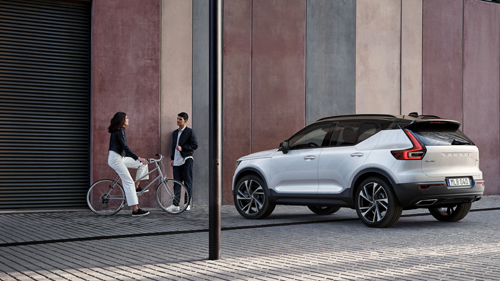 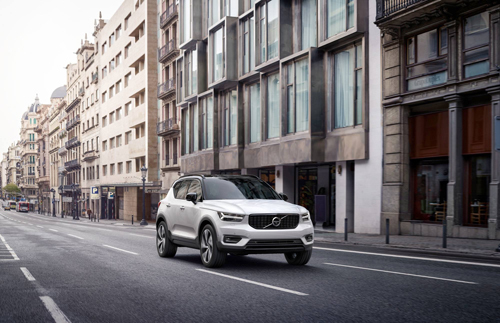 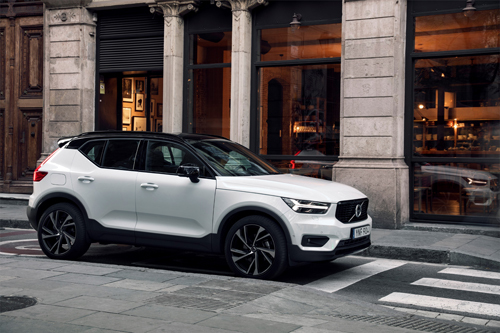 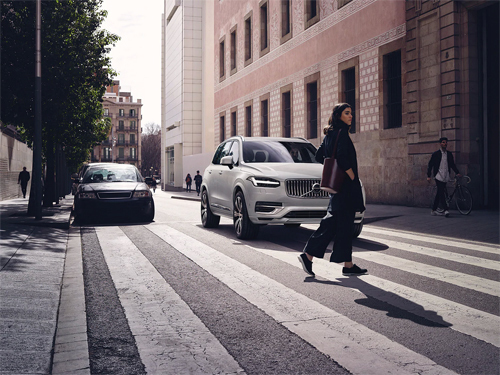 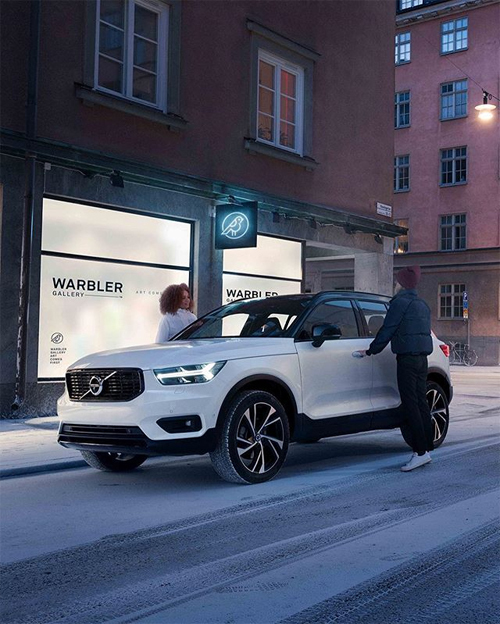 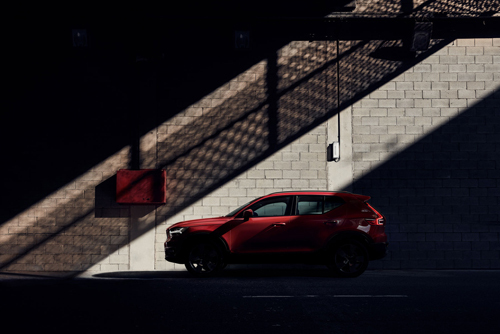 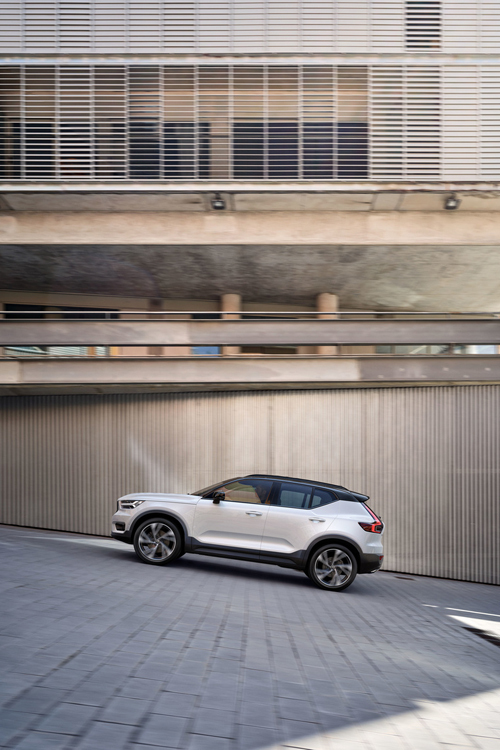 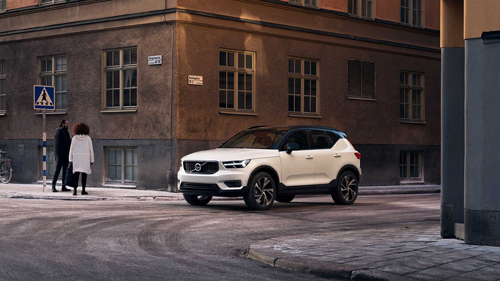 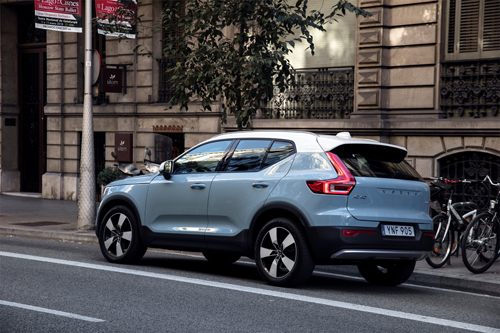 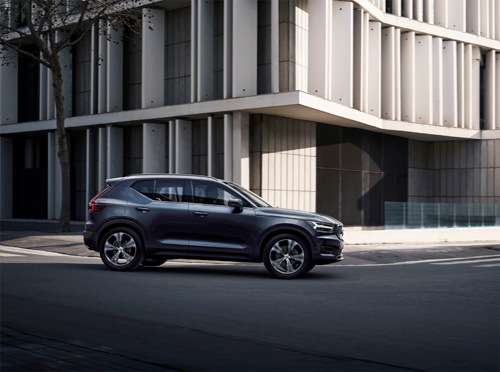 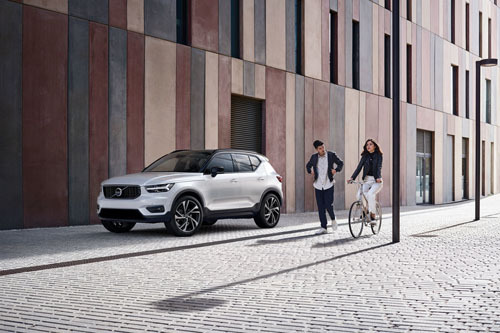 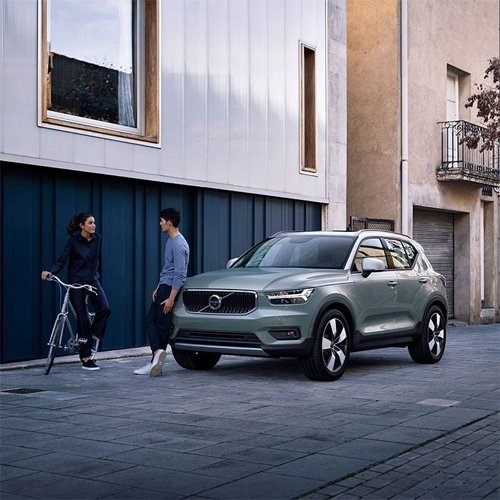 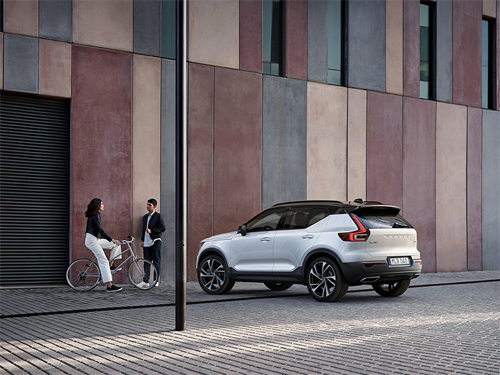 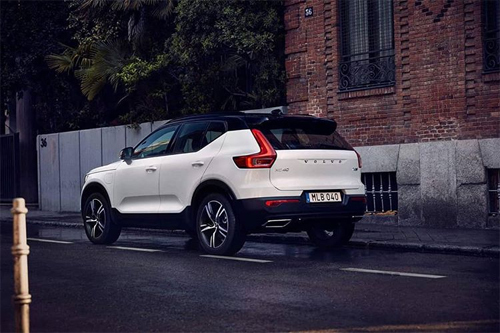 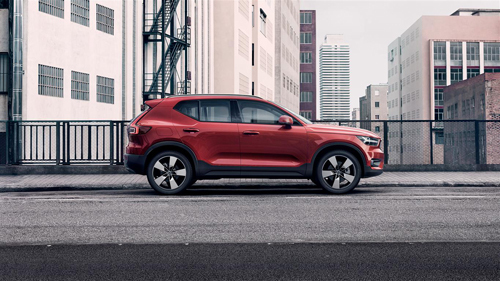 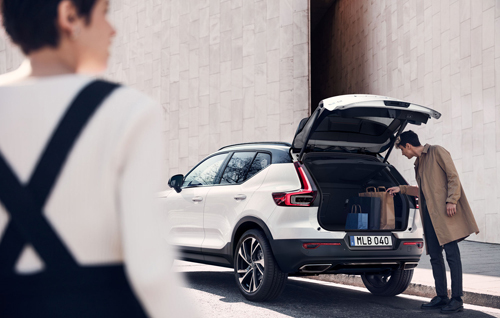 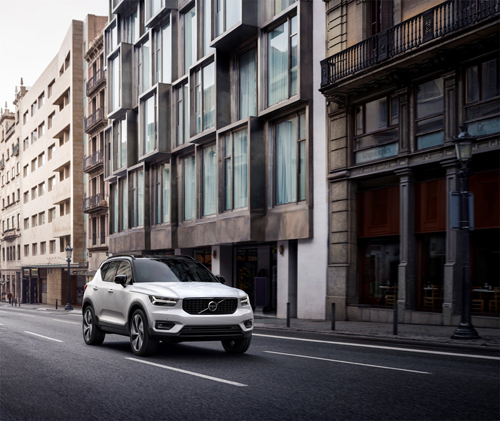 2017 – Volvo XC40 at 90 Carrer de Pallars in Barcelona, Spain. 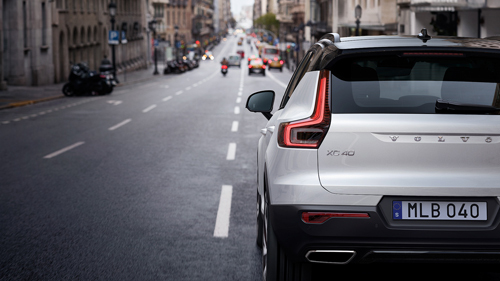 2017 – Volvo XC40 at Carrer de Ferlandia near Plaça dels Àngels in Barcelona, Spain. 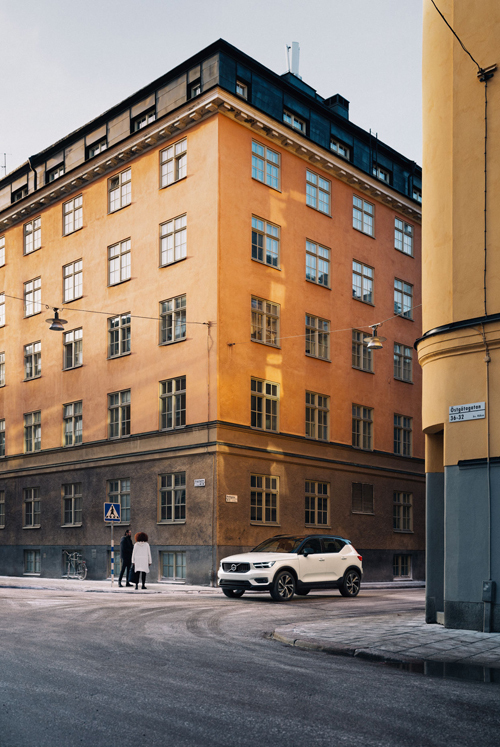 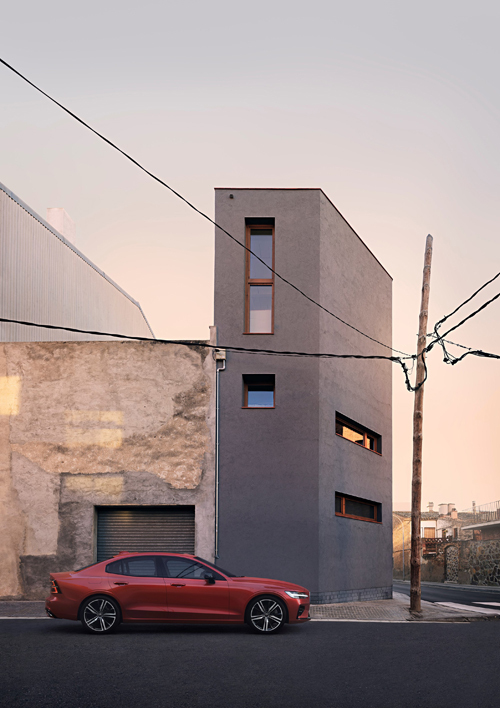 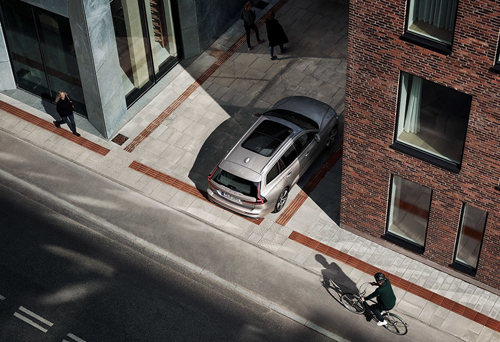 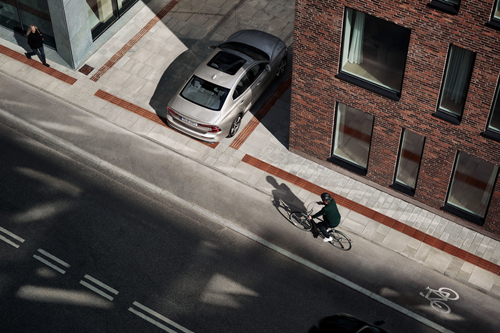 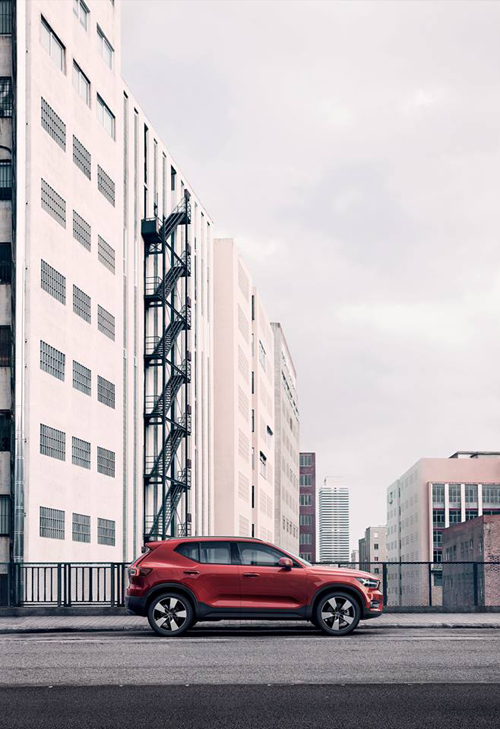 2017 – Volvo XC40 T5 R-Design at The Bicycle Apartments on Carrer de Gavà 32 in Barcelona, Spain. 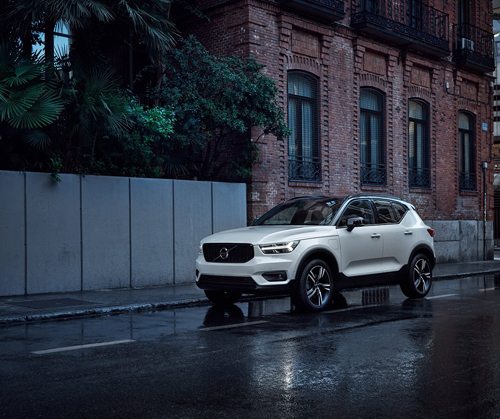 2017 – Volvo XC40 at Via Laietana in Barcelona, Spain. 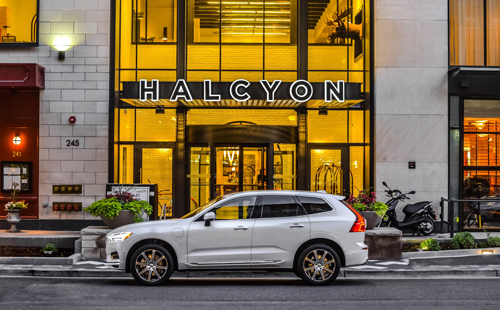 2017 – Volvo XC60 T8 Inscription at Halcyon, a hotel in Cherry Creek on 245 Columbine St in Denver, Colorado, USA. 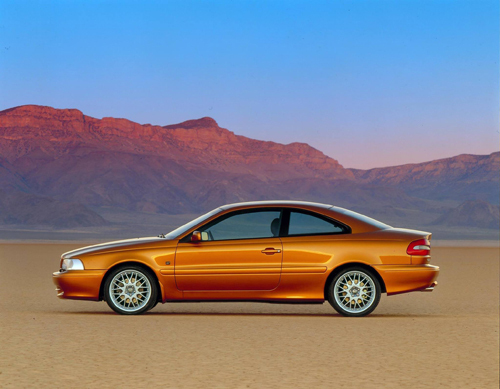 1999 – Volvo C70 on El Mirage Lake in the Victor Valley of the central Mojave Desert, within San Bernardino County, California, USA. 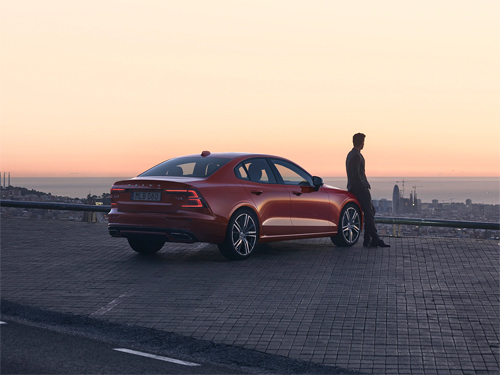 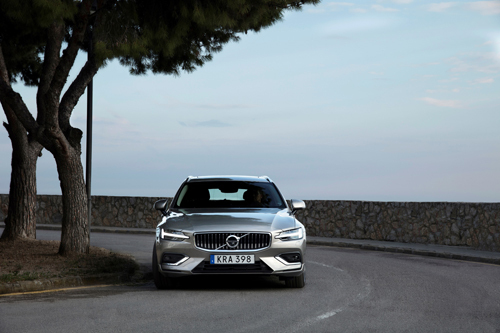 2016 – Volvo S60 at Port Fòrum at Moll de les Escaldes and Carrer de la Pau, 12, 08930 Sant Adrià de Besòs, Barcelona in Spain. 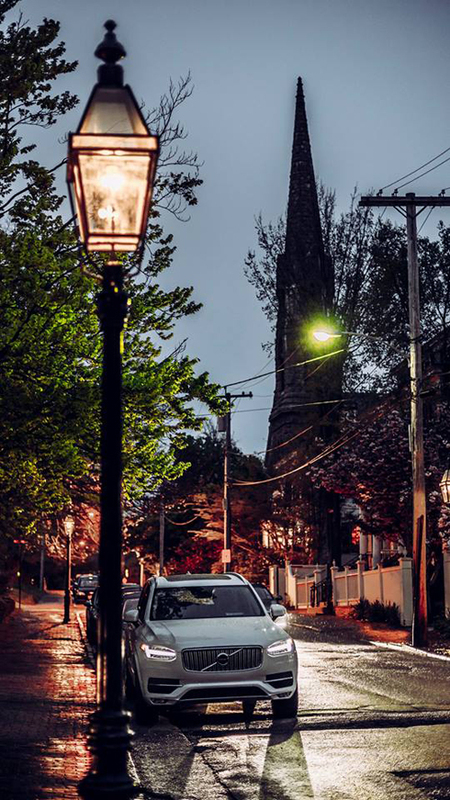 Thanks to Changyoung Jeong for finding this location! 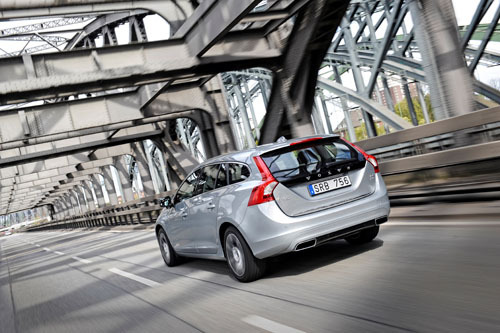 2012 – Volvo V40 Black Edition R-Design on the Puente Euskalduna (Euskalduna bridge) in Bilbao in Spain. 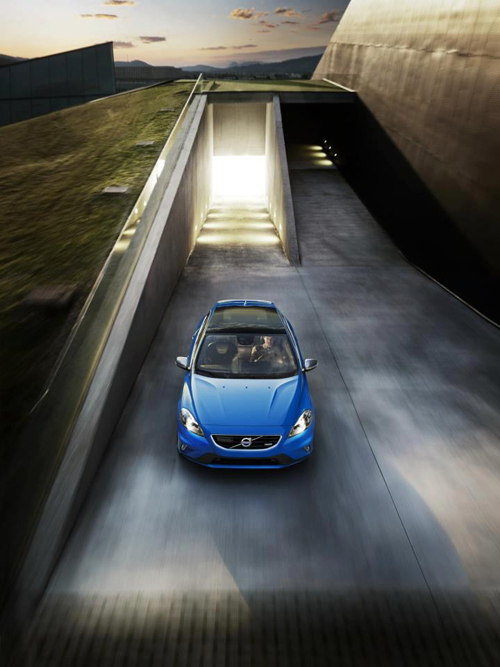 2012 – Volvo V40 R-Design on the Puente Euskalduna (Euskalduna bridge) in Bilbao in Spain. 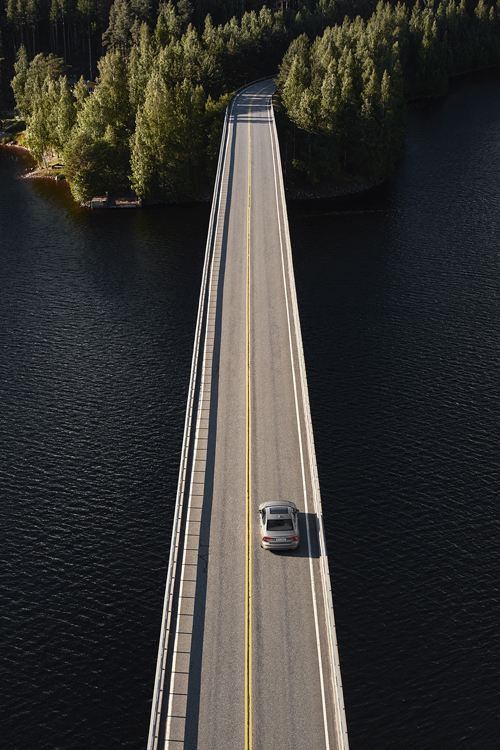 2016 – Volvo S90 R-design on Götaleden (E45) towards Götatunneln in Göteborg, Sweden. 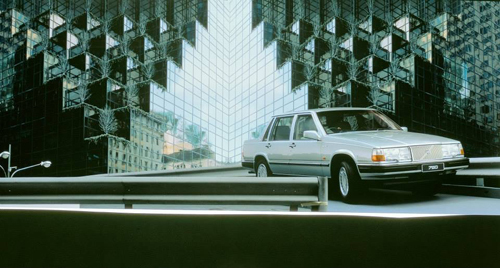 1989 – Volvo 760 GLE at Fifth Avenue and East 56th Street in Midtown Manhattan, New York City. 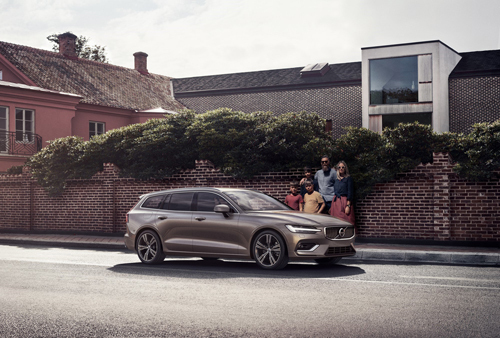 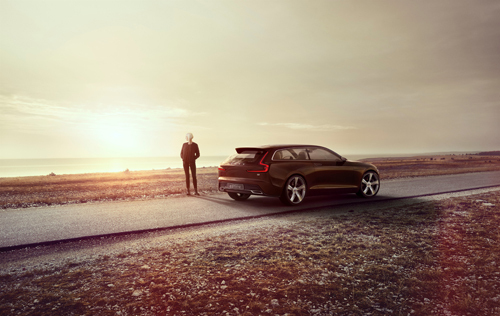 2014 – Volvo Concept Estate at coastal road southwest of Digerhuvud on Fårö on Gotland, Sweden. 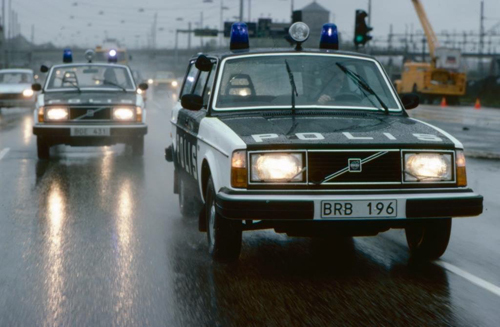 1998 – Volvo S90 near Marstrand and Strandverket, in Kungälv, Sweden. 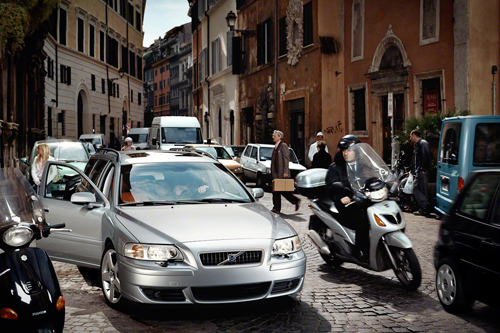 2011 – Volvo C70 somwehere near the Strada Statale Amalfitana in Cetara, Italy.